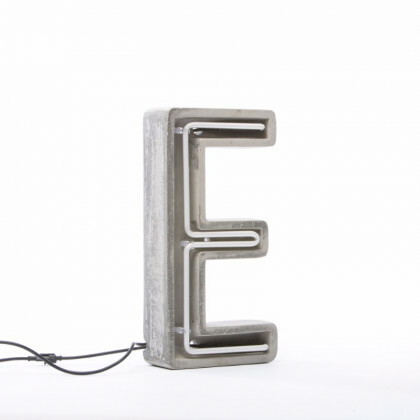 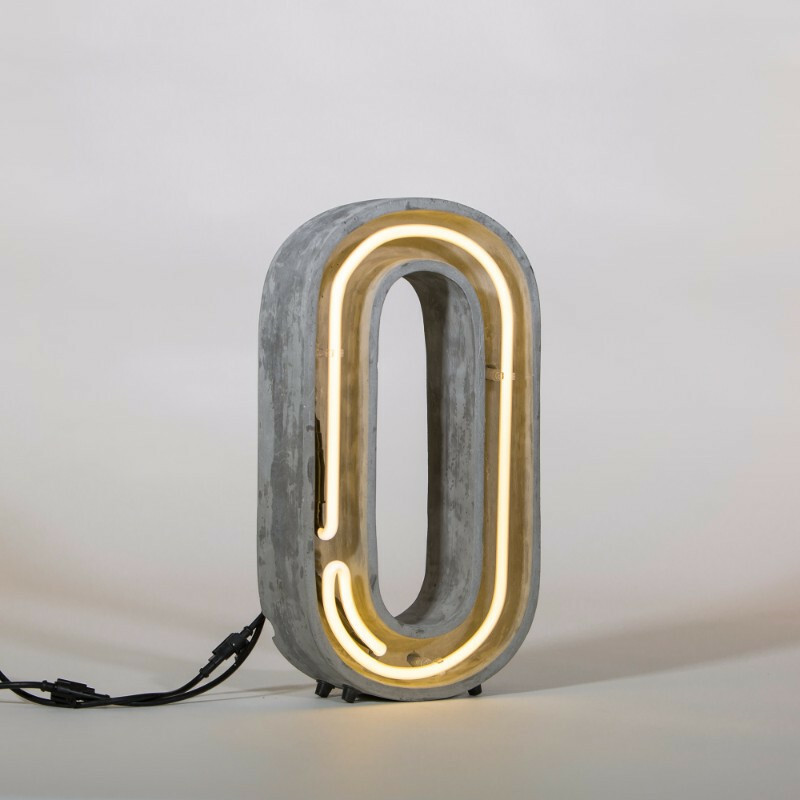 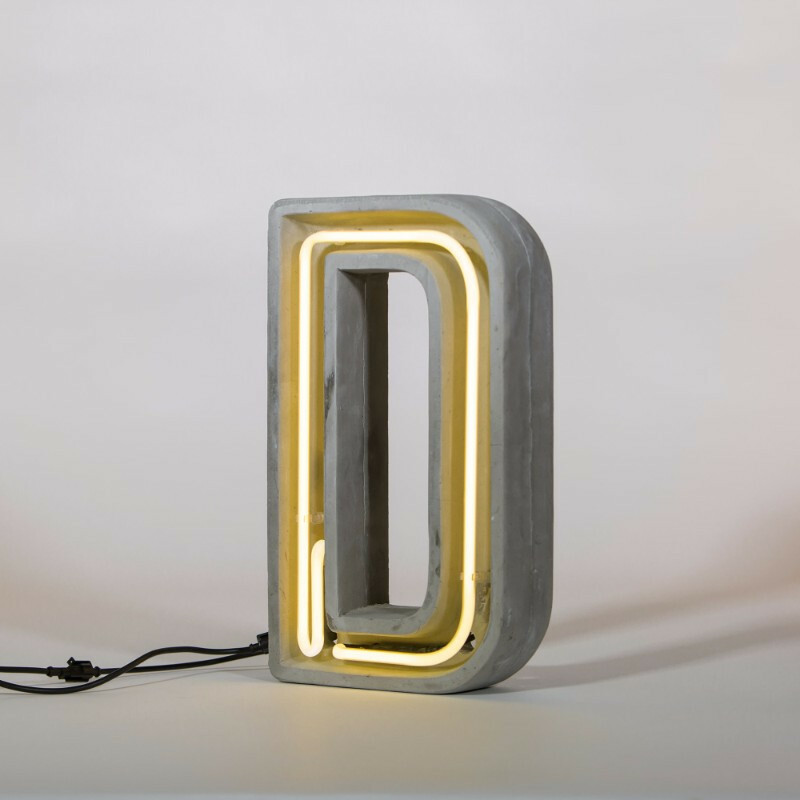 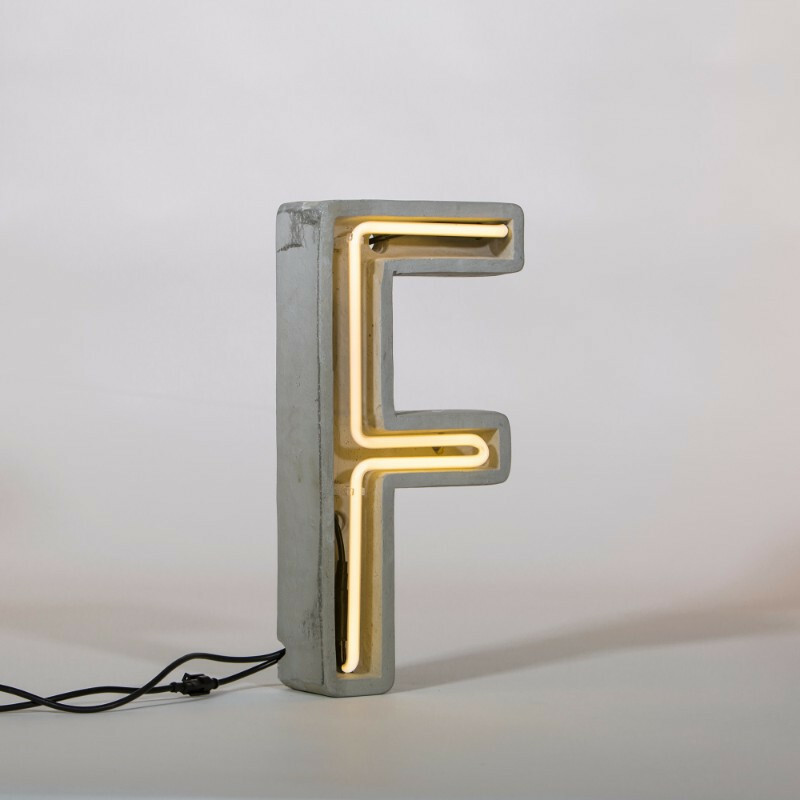 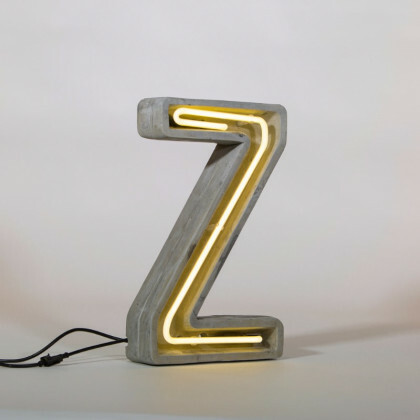 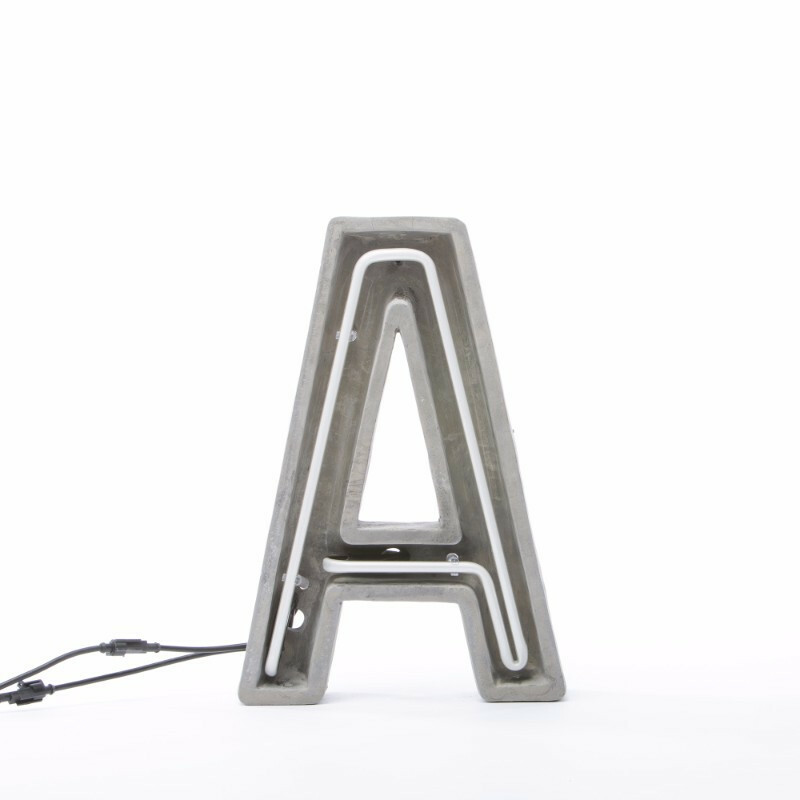 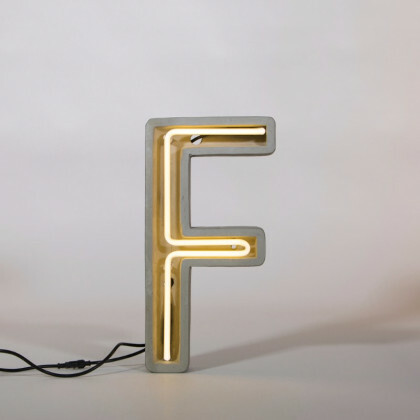 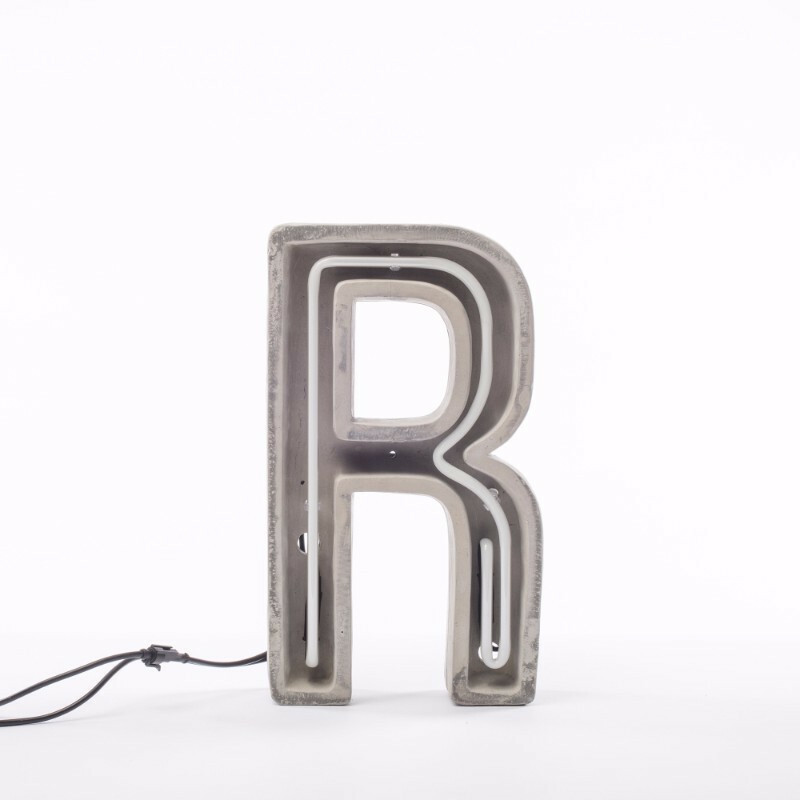 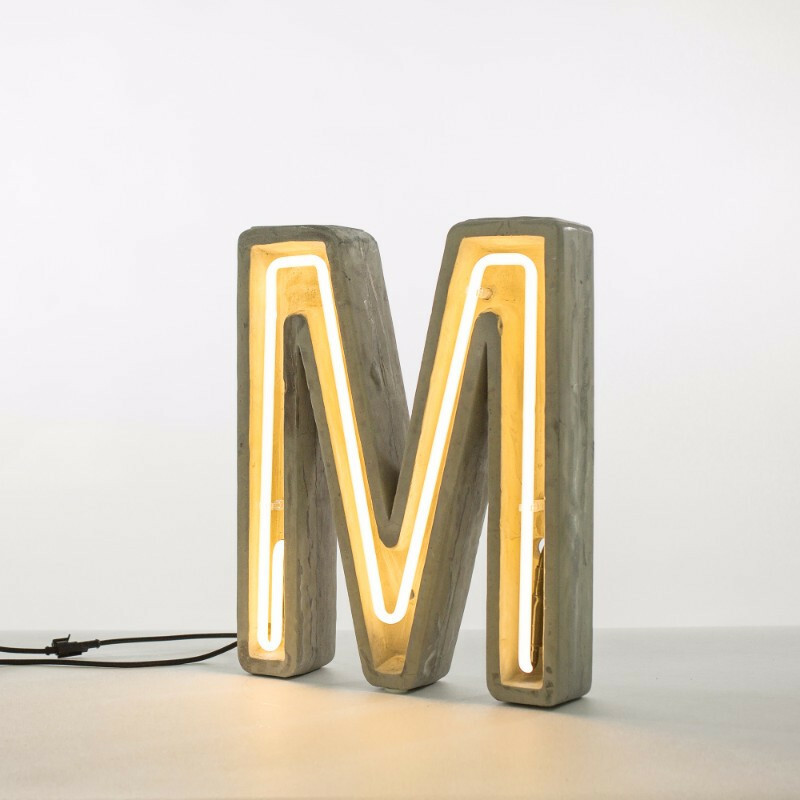 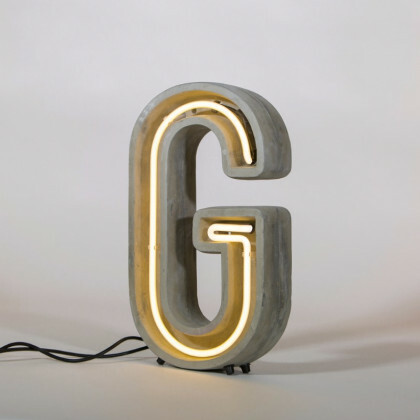 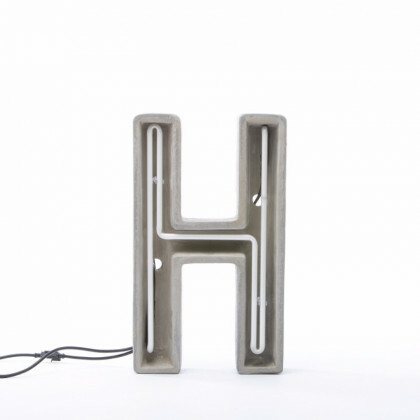 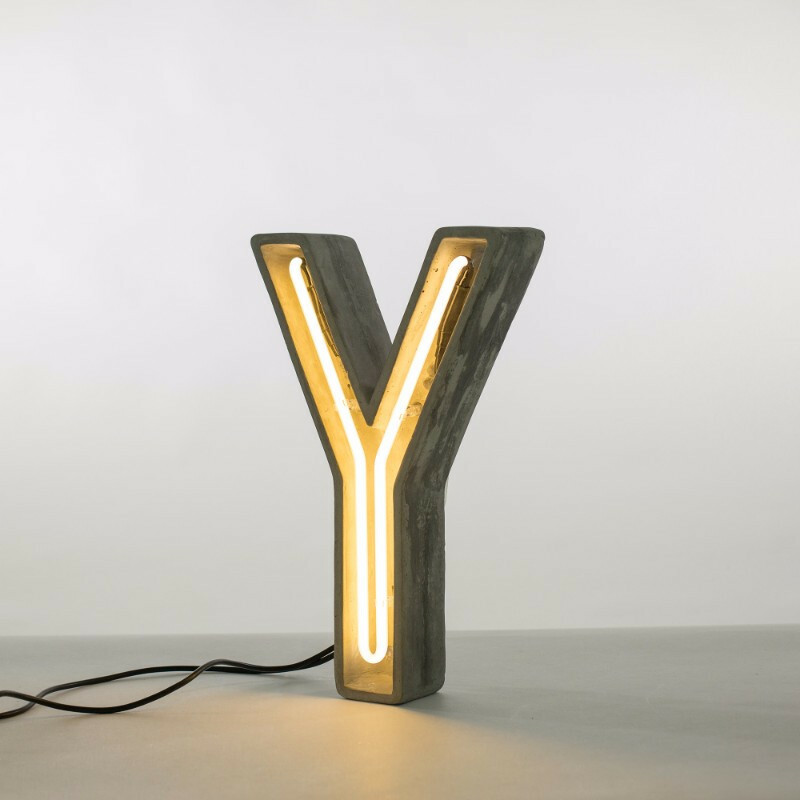 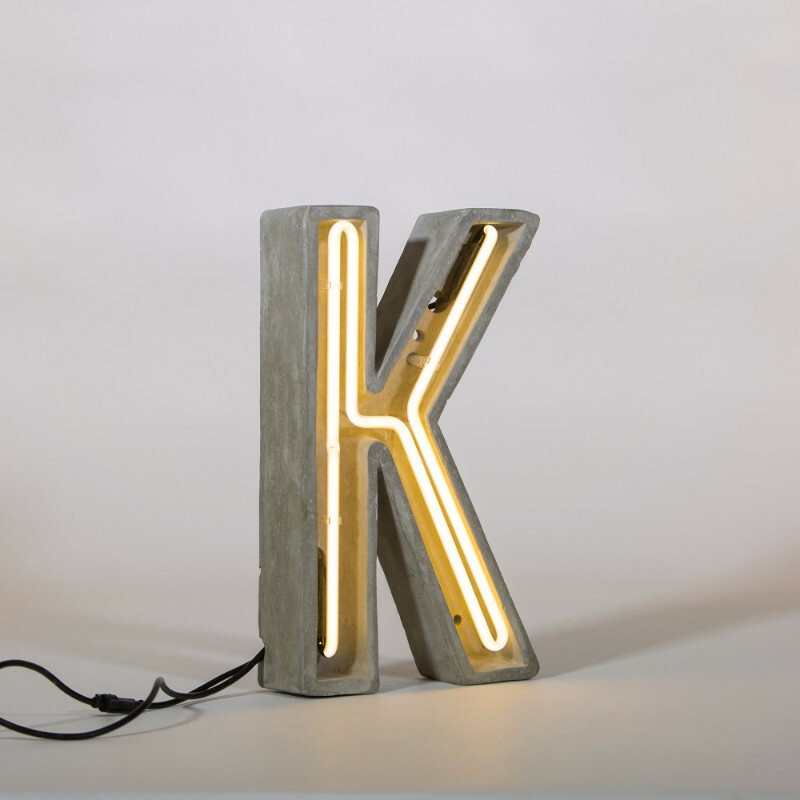 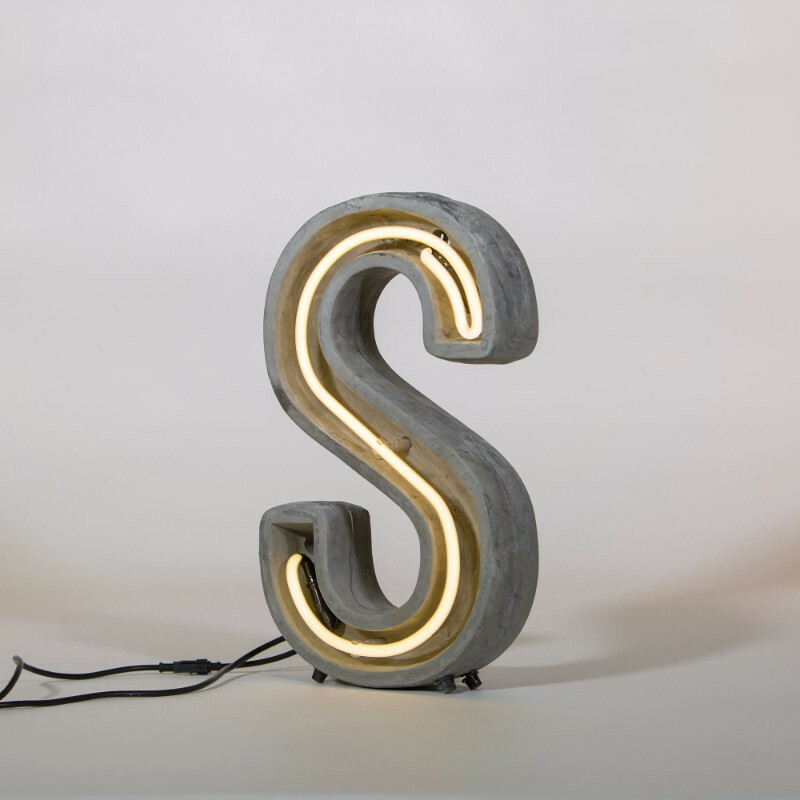 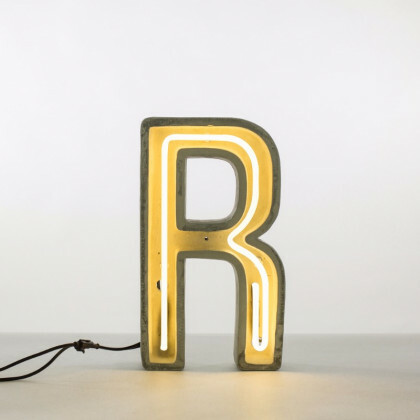 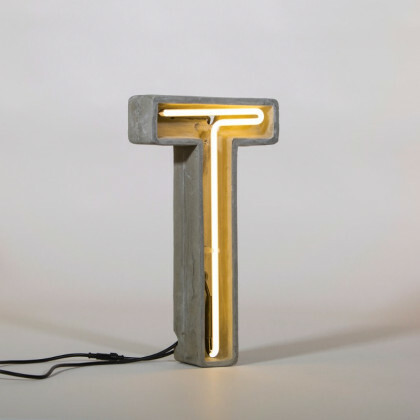 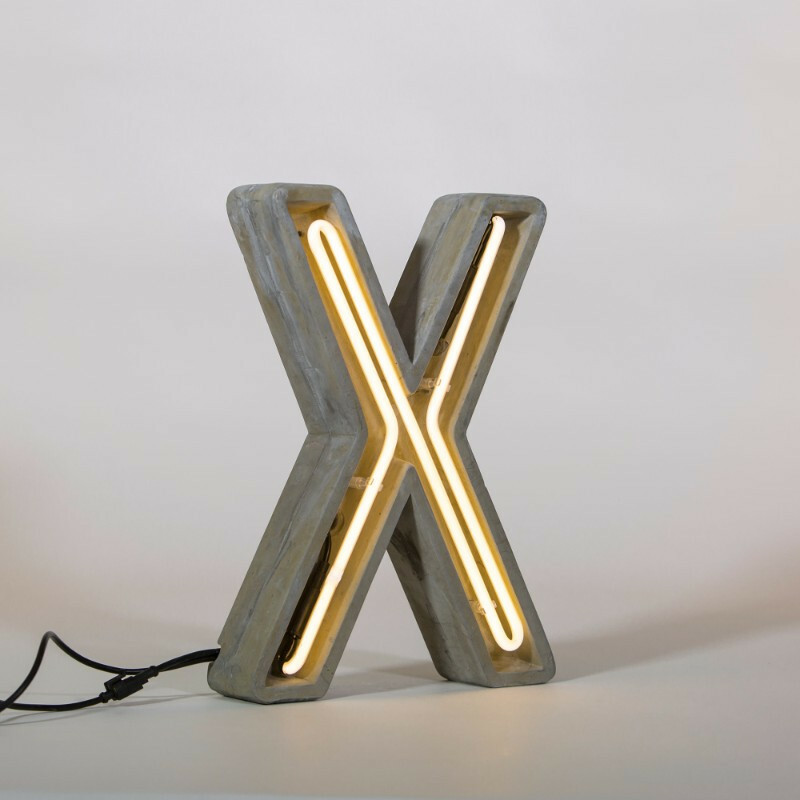 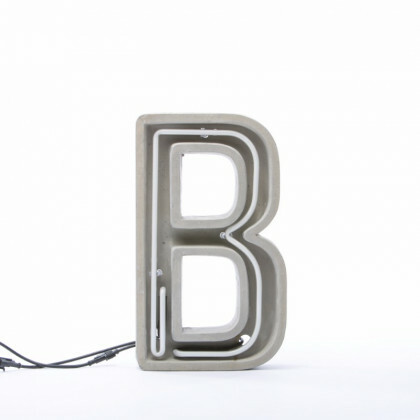 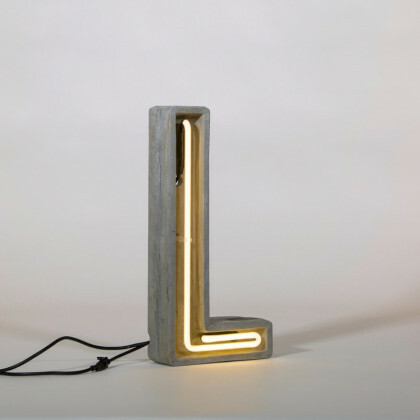 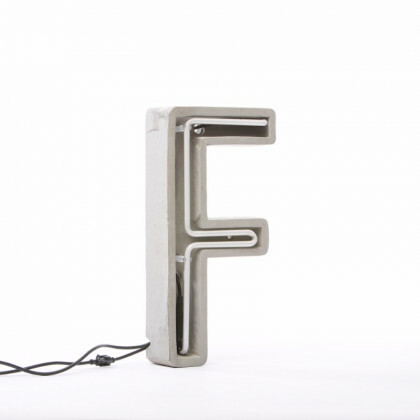 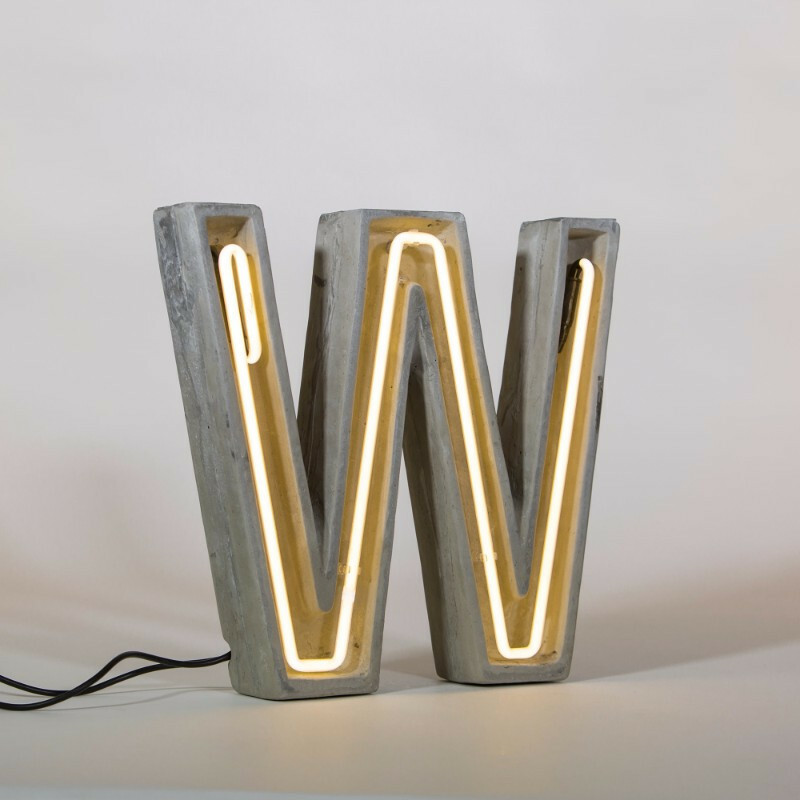 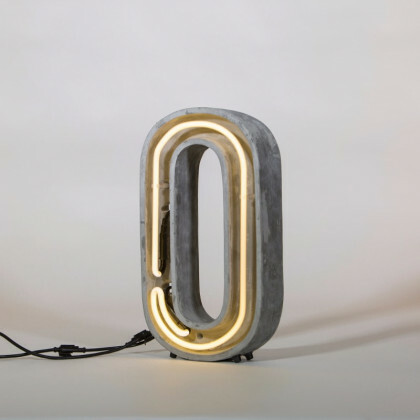 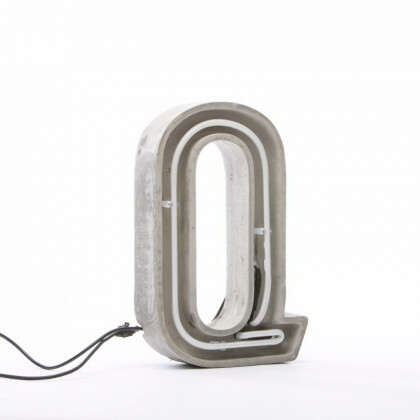 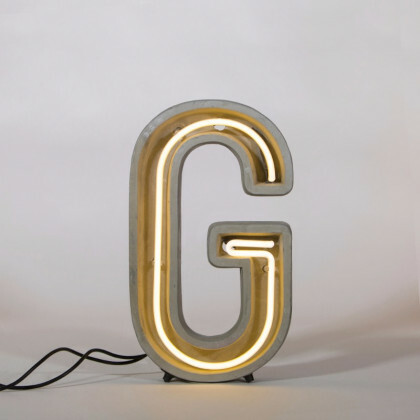 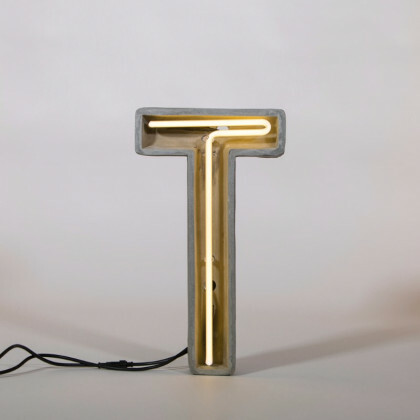 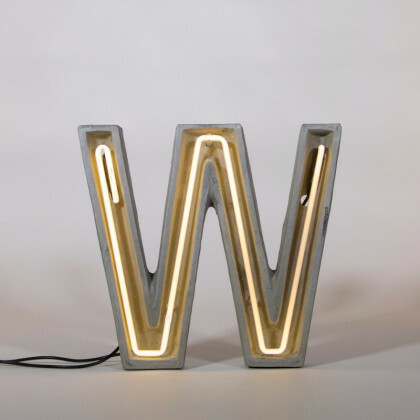 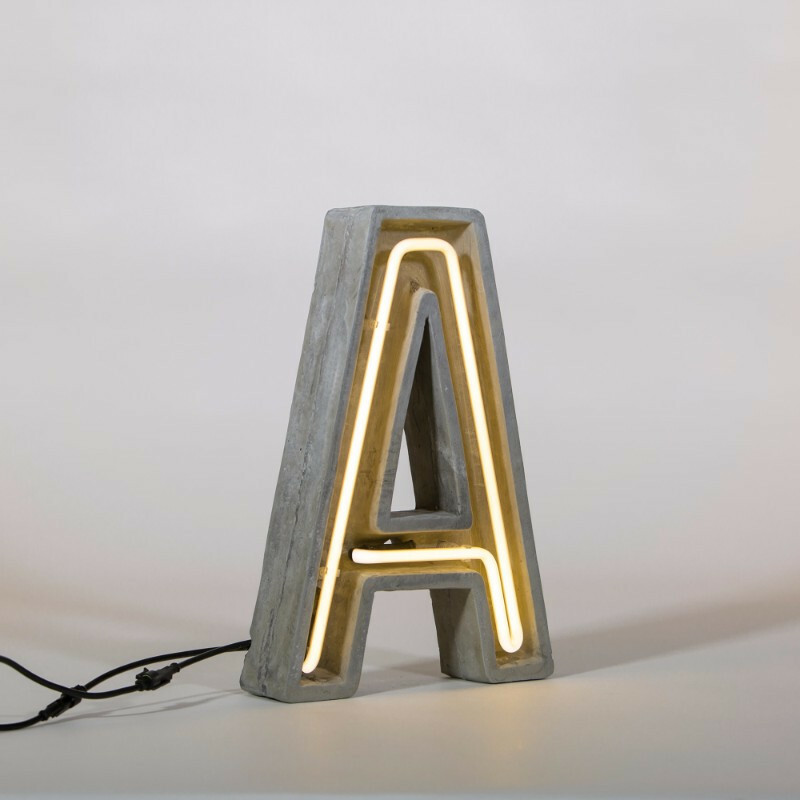 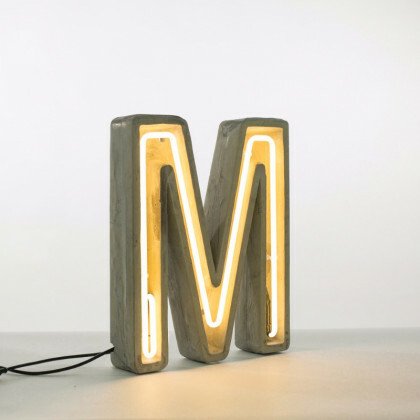 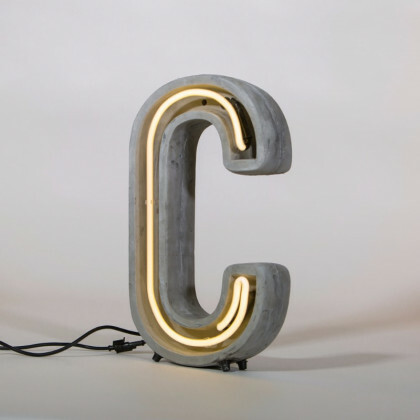 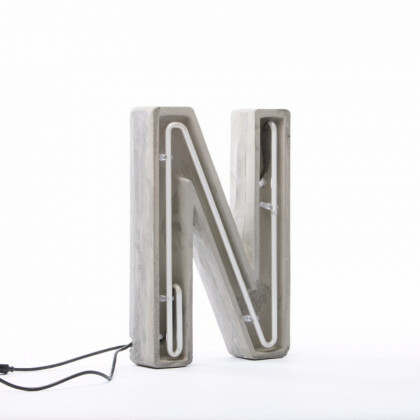 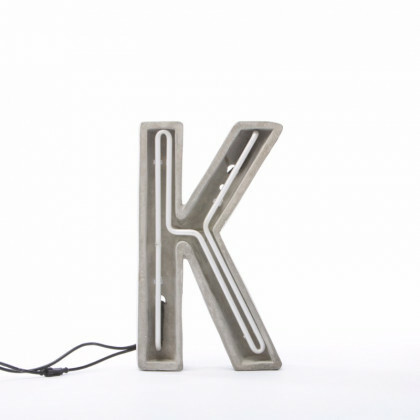 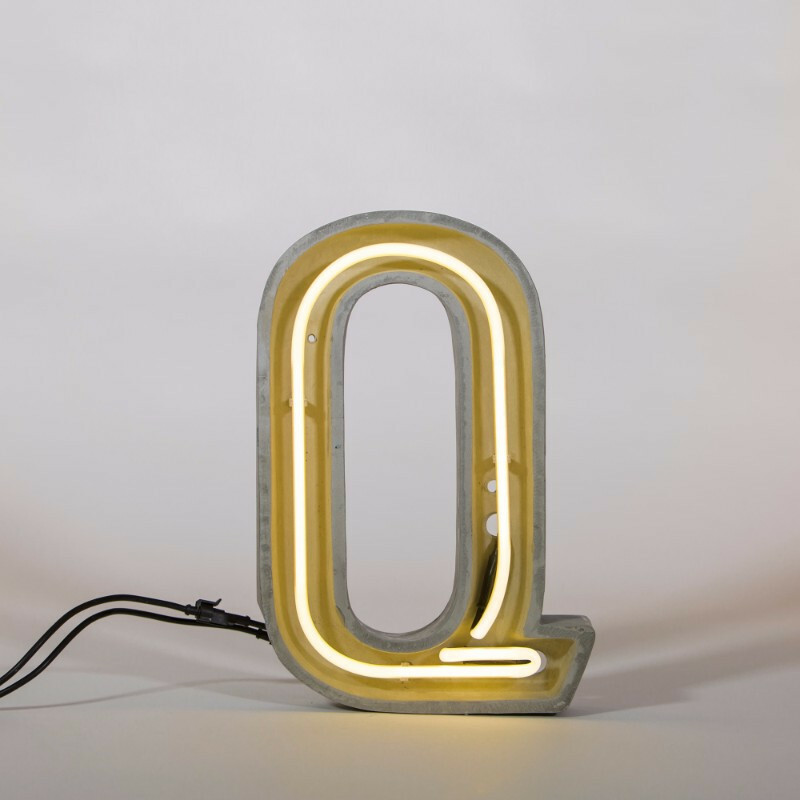 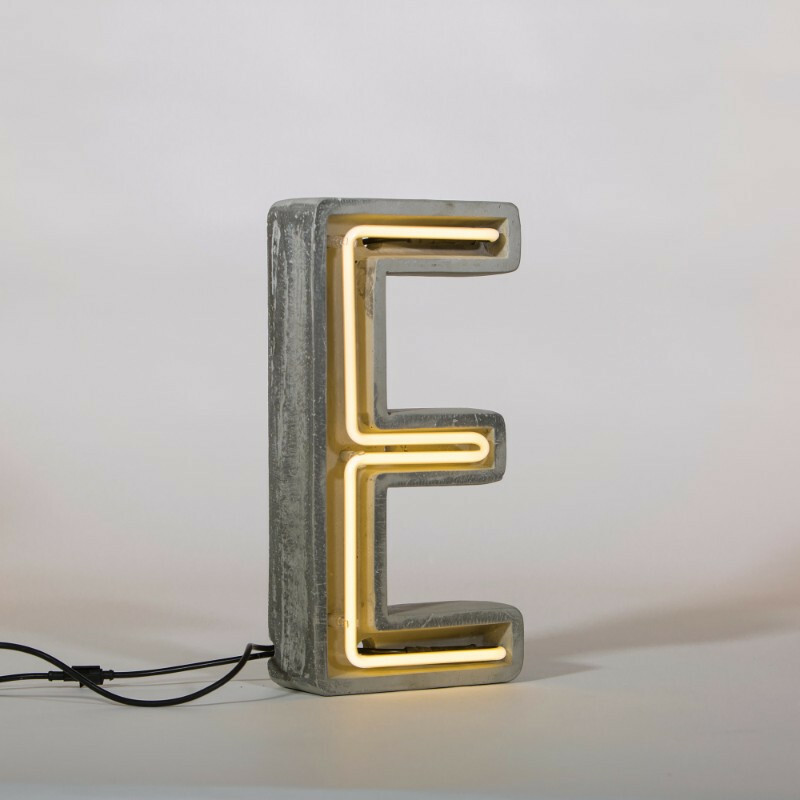 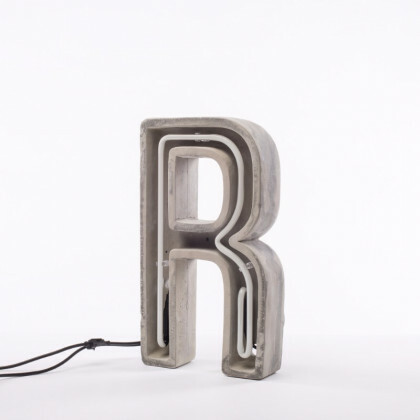 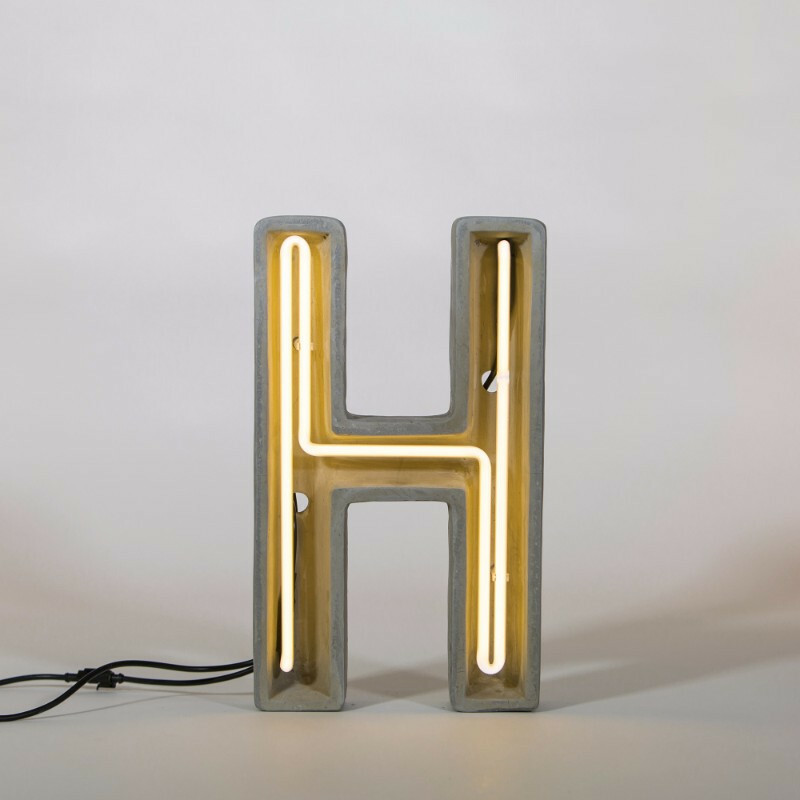 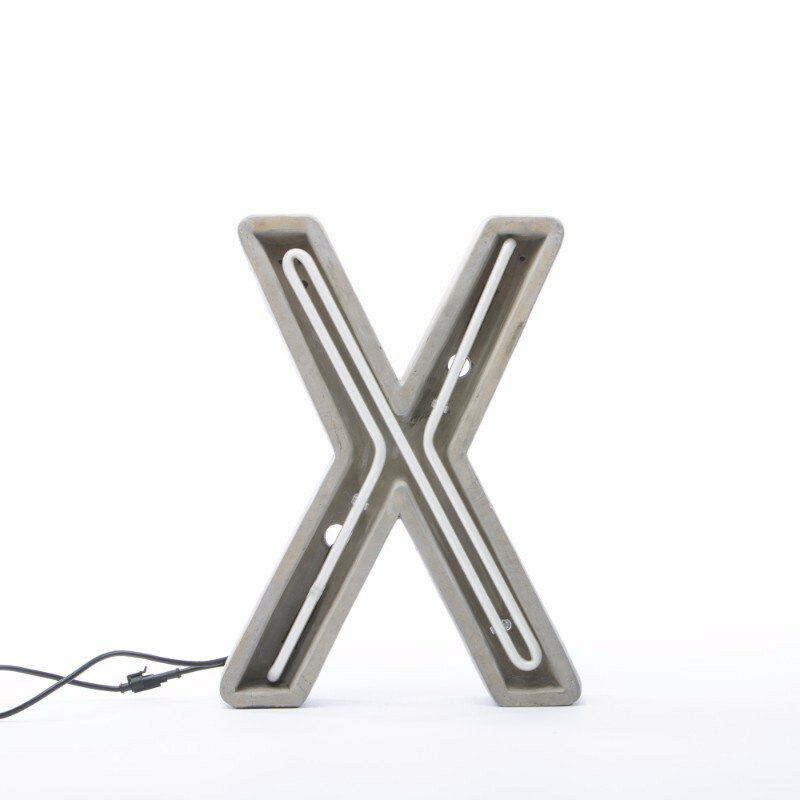 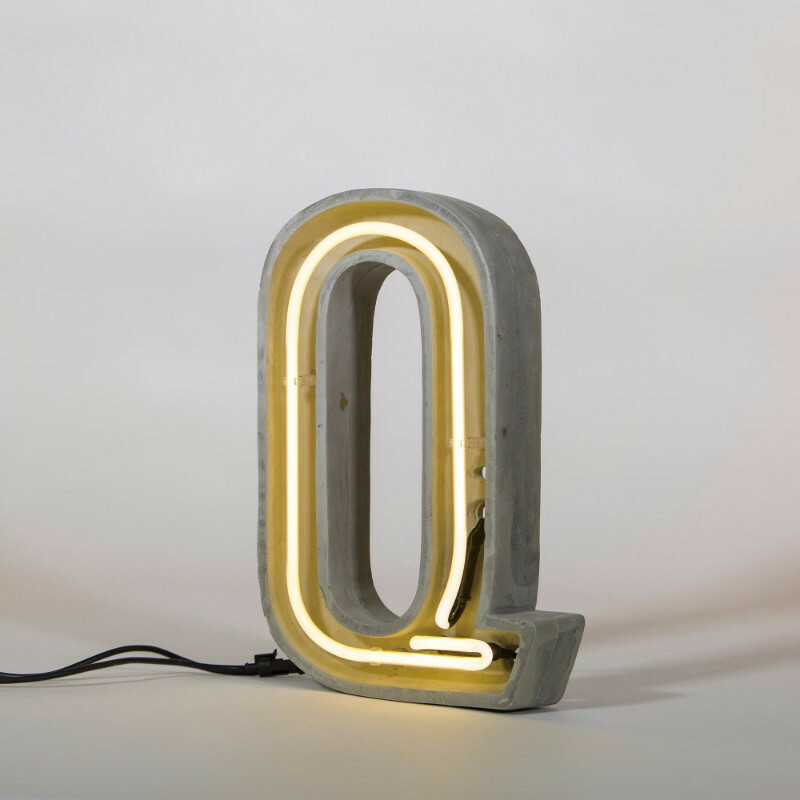 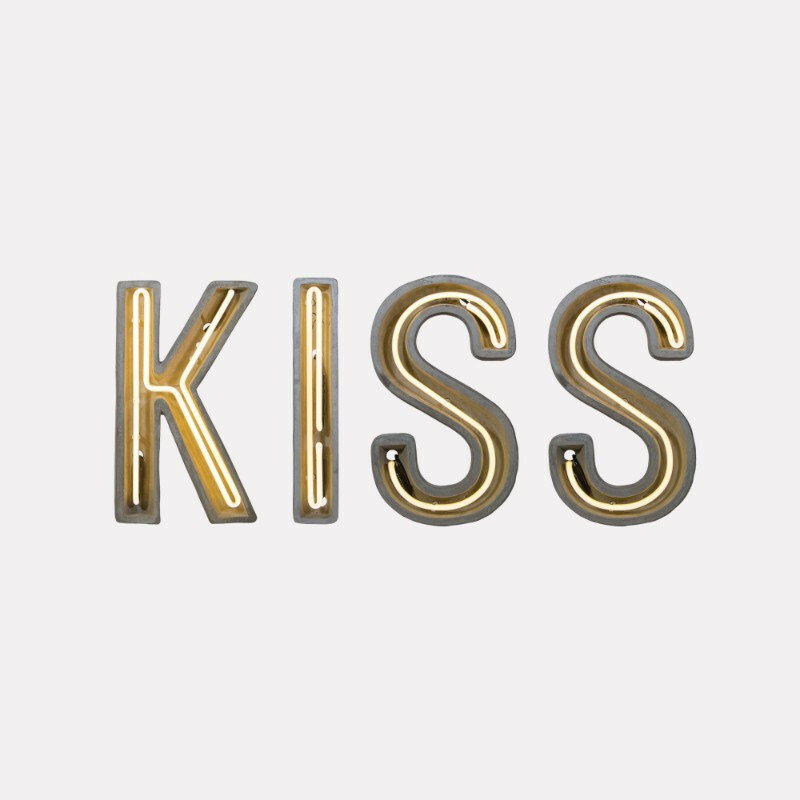 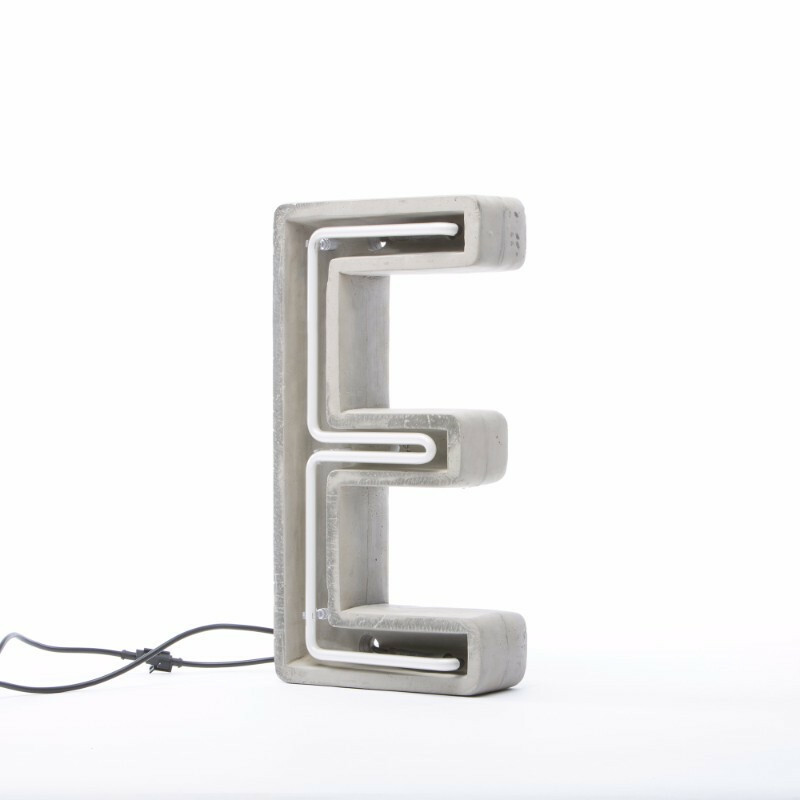 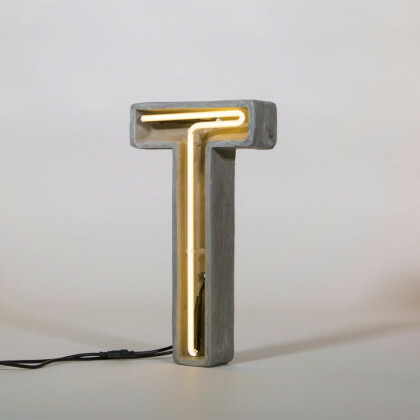 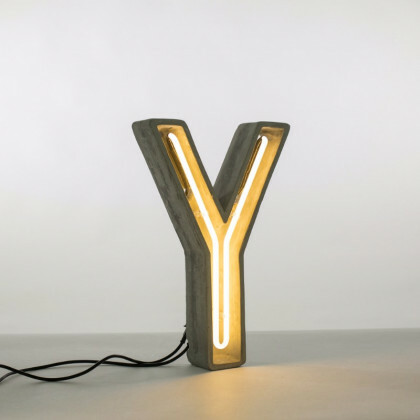 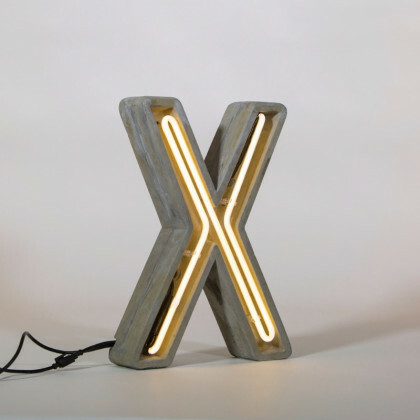 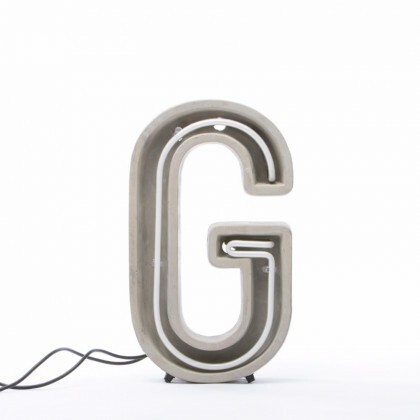 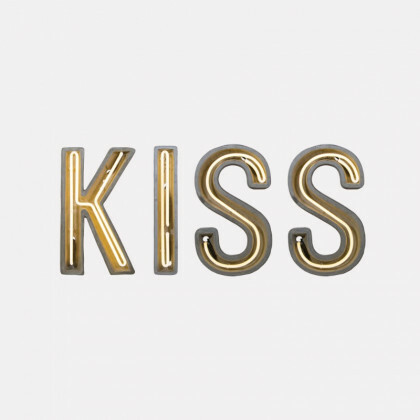 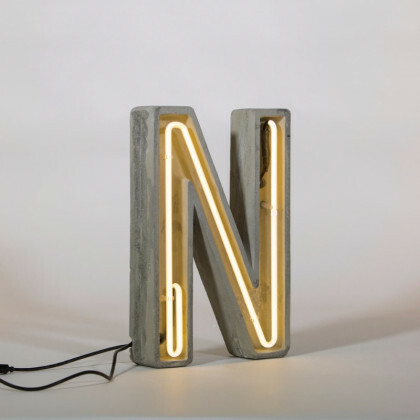 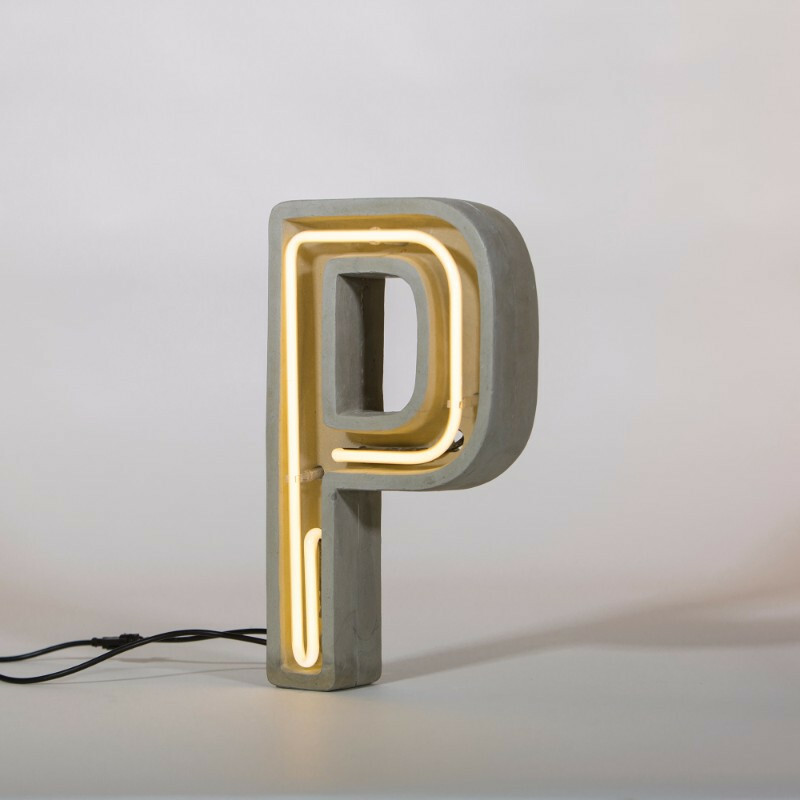 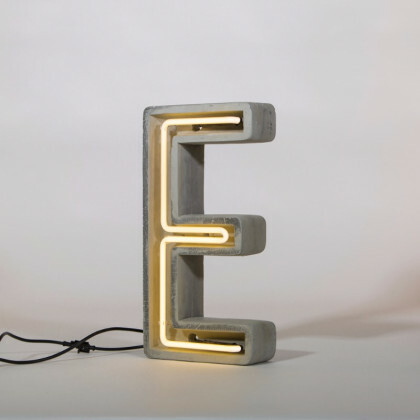 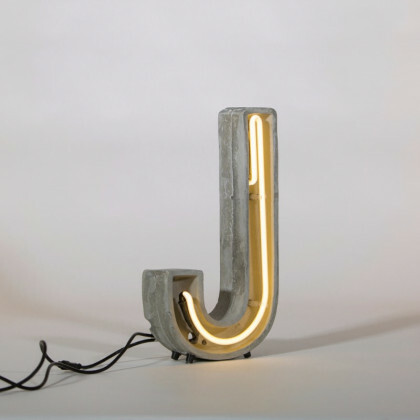 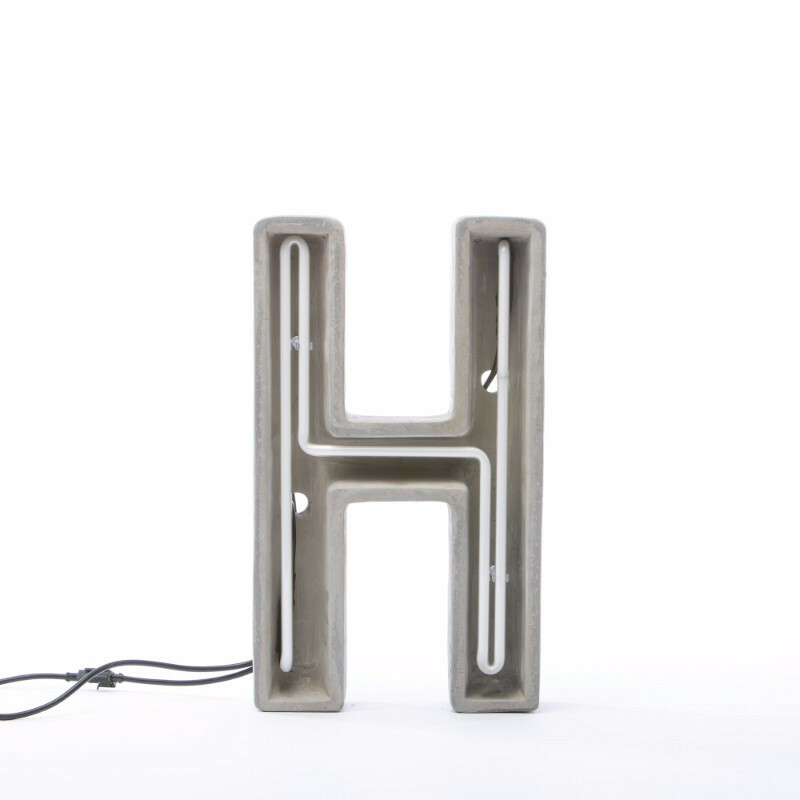 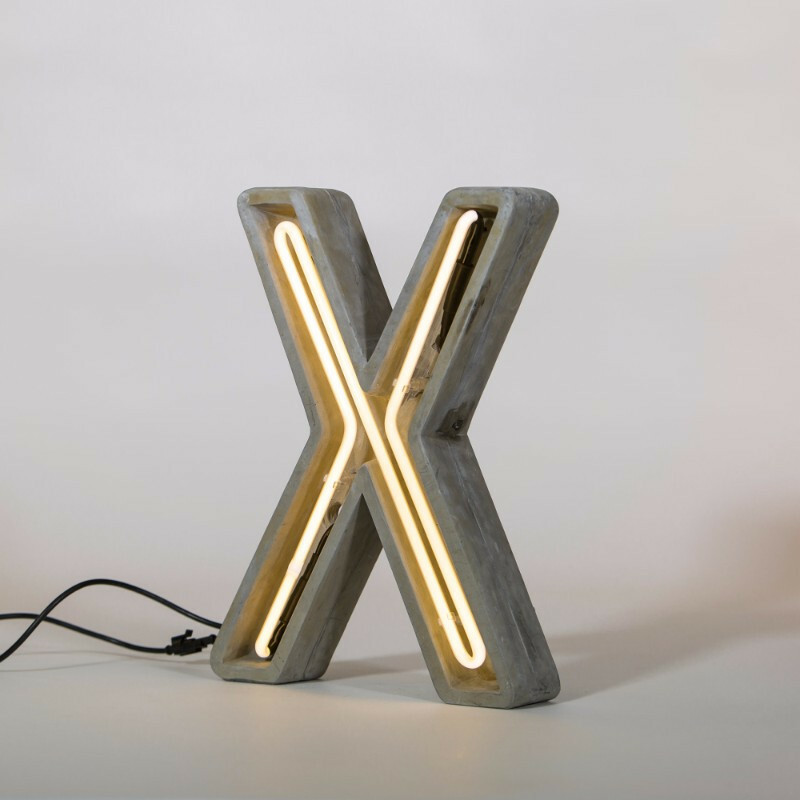 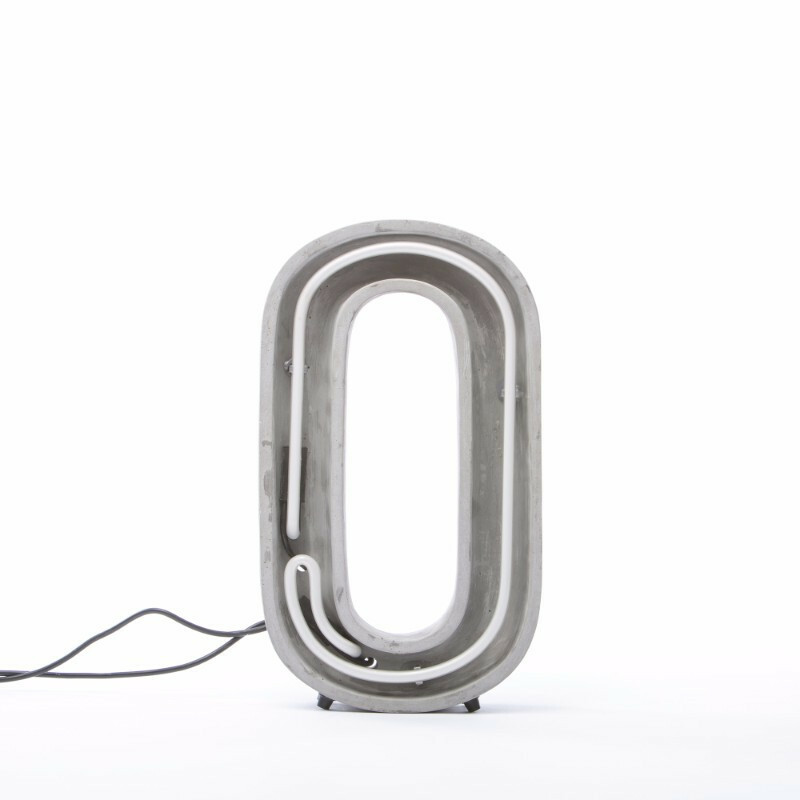 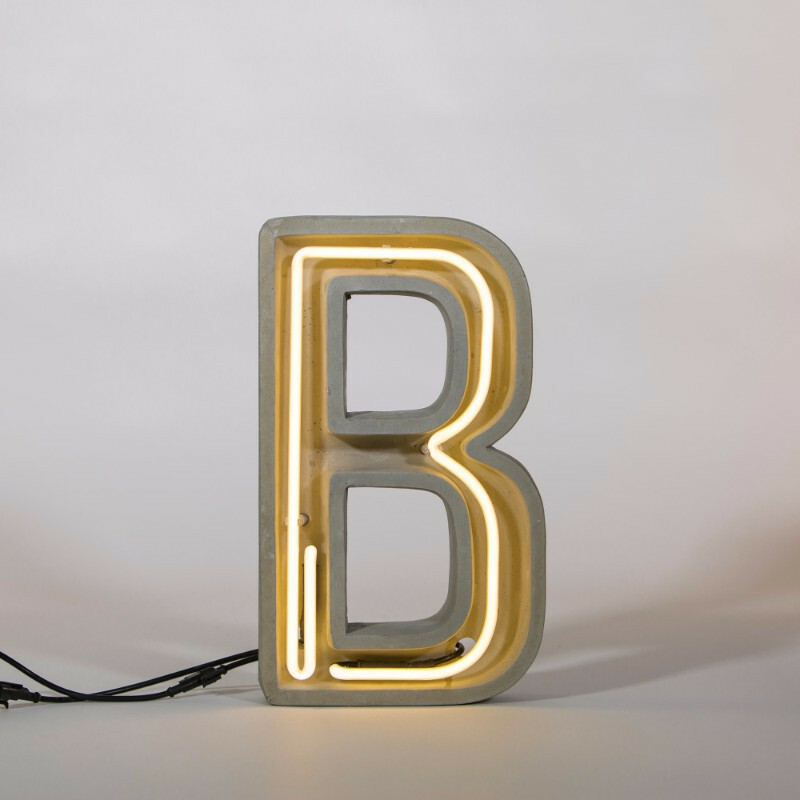 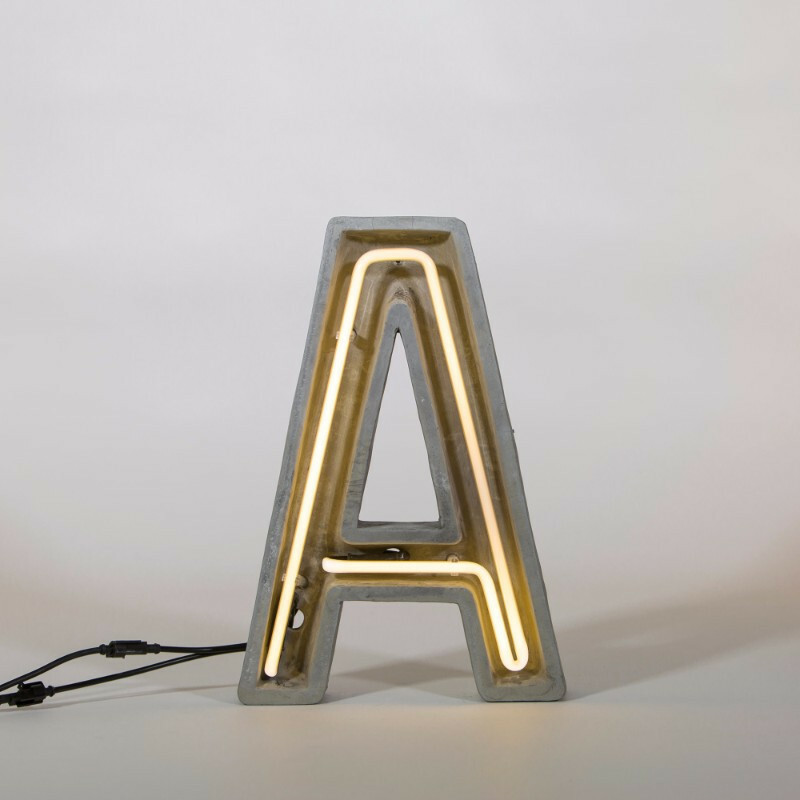 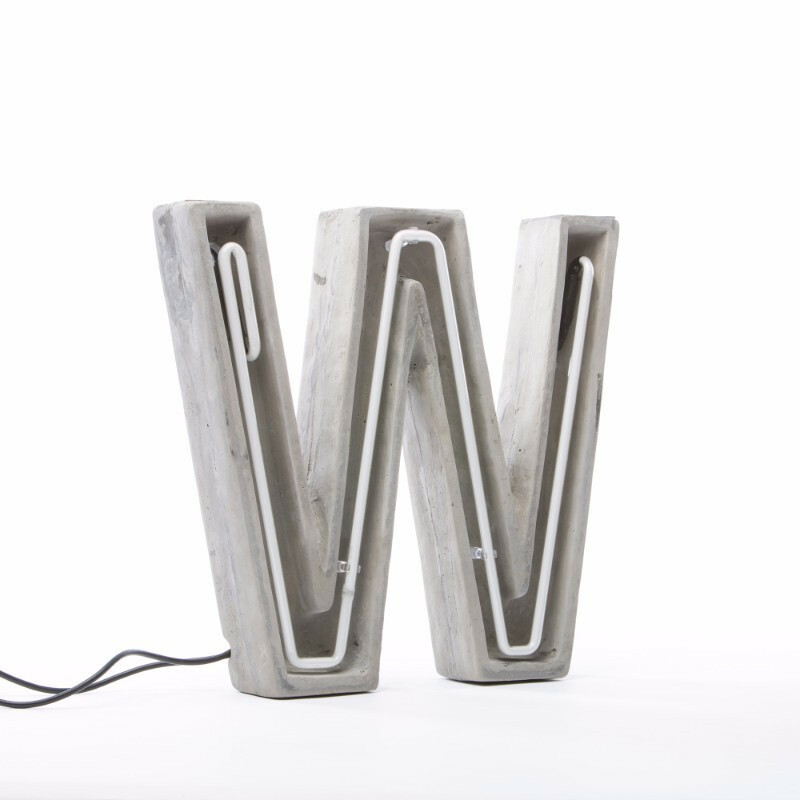 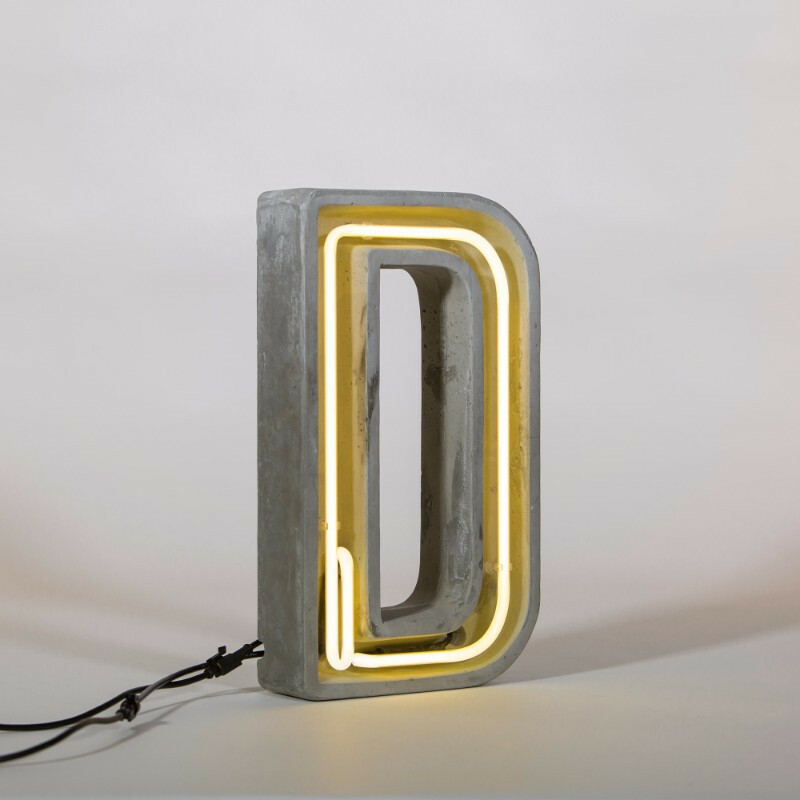 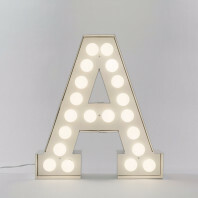 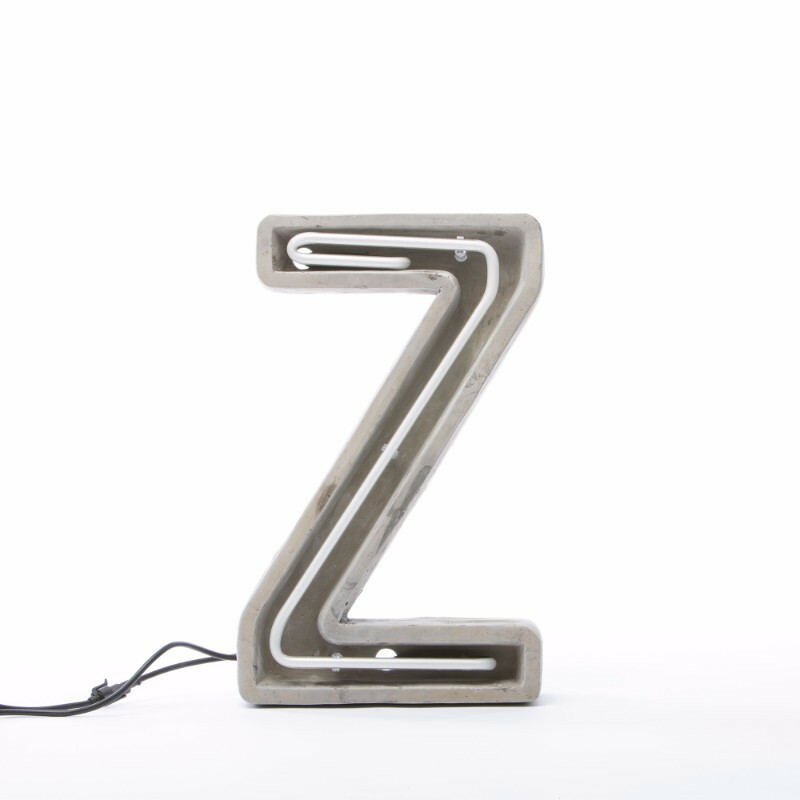 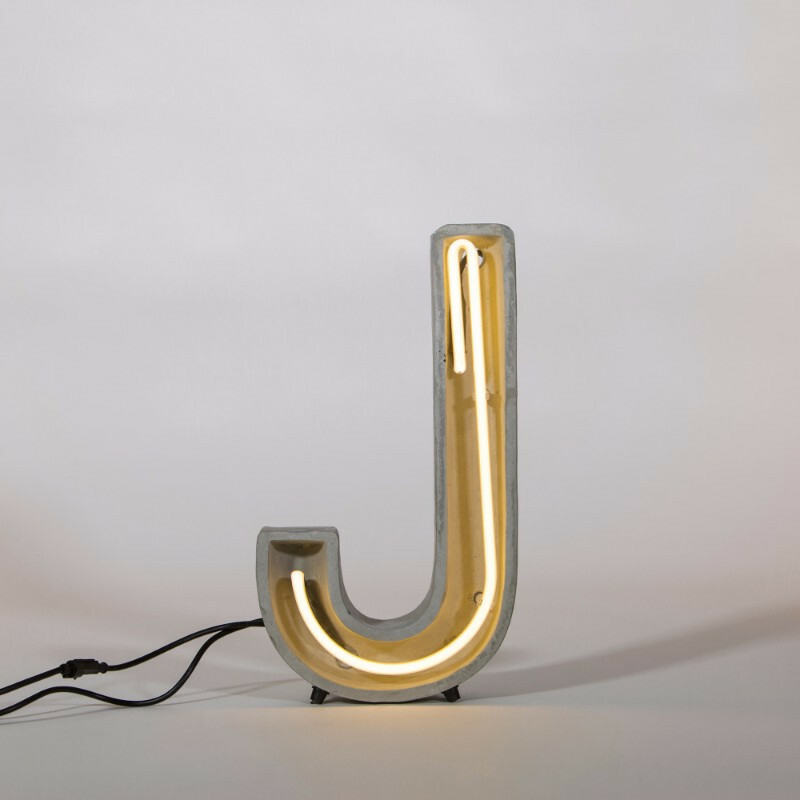 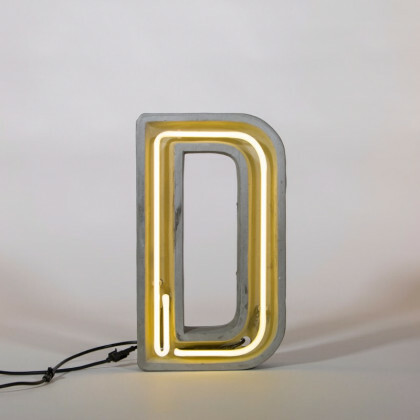 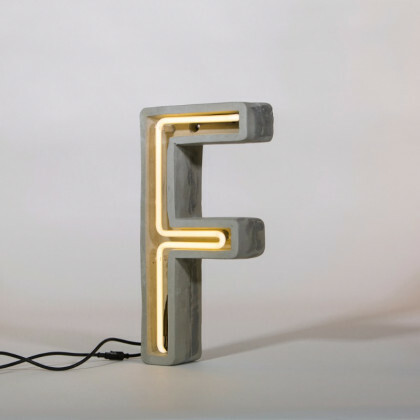 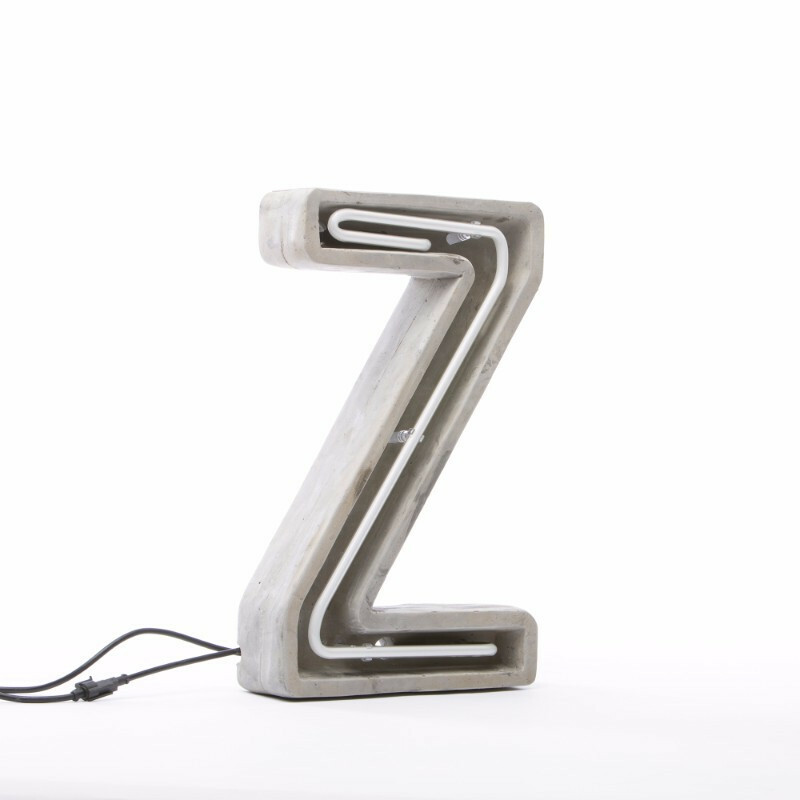 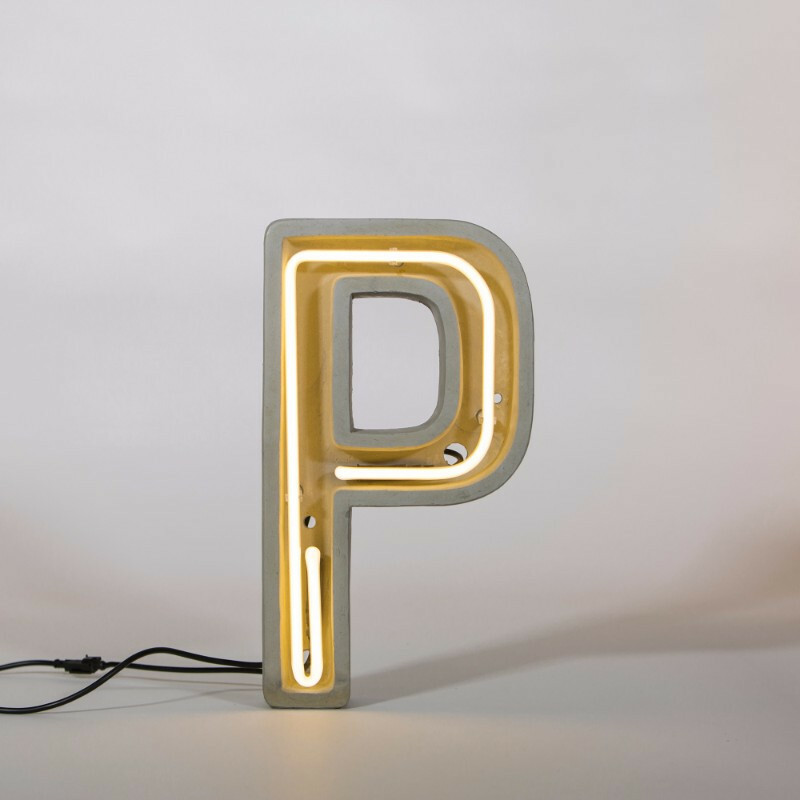 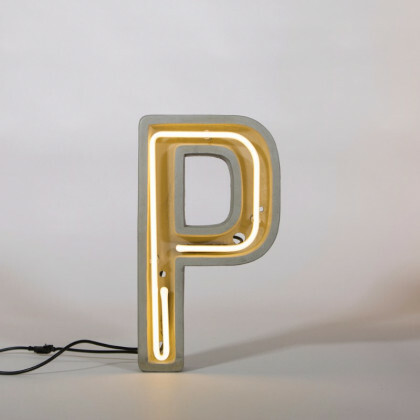 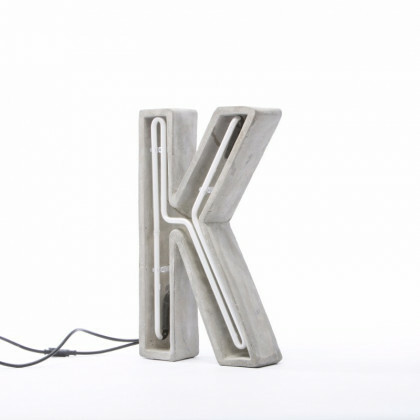 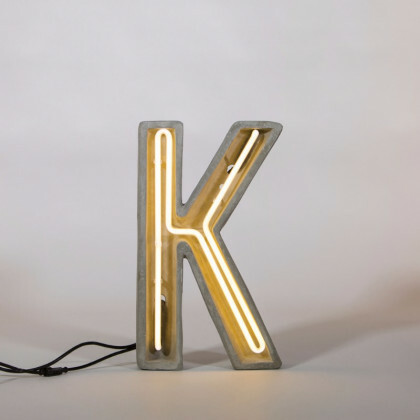 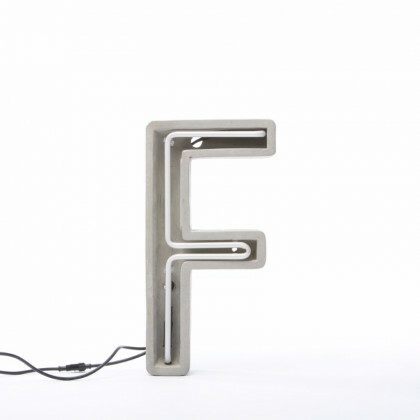 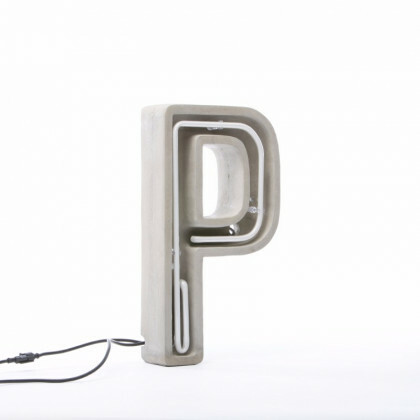 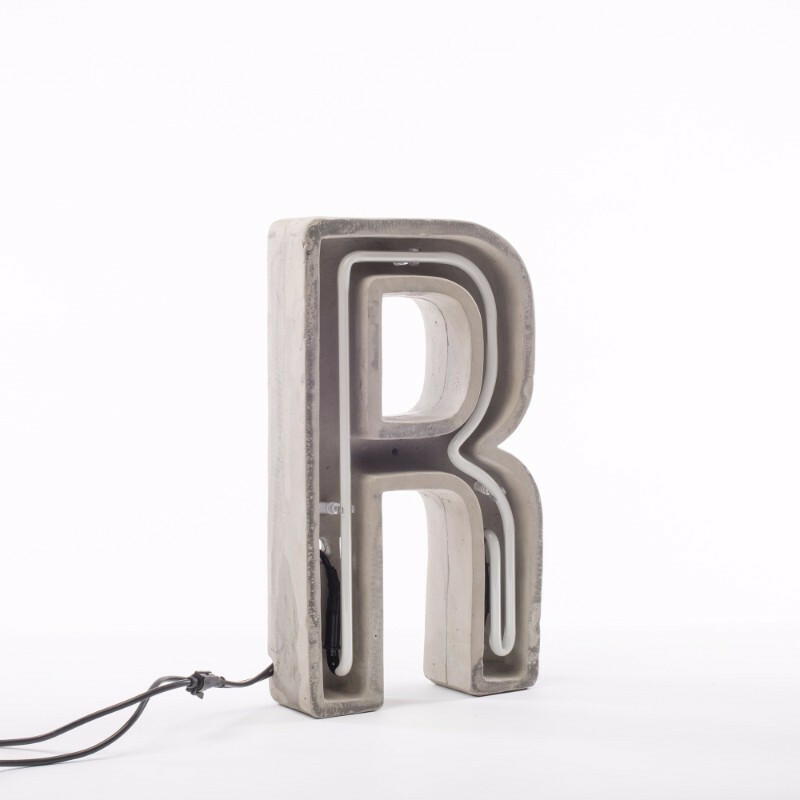 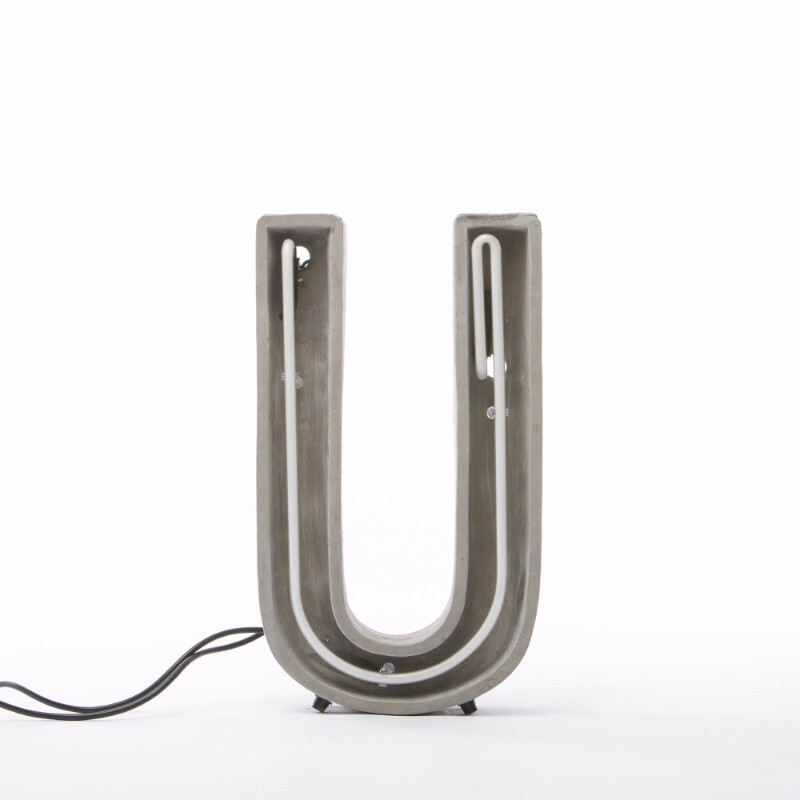 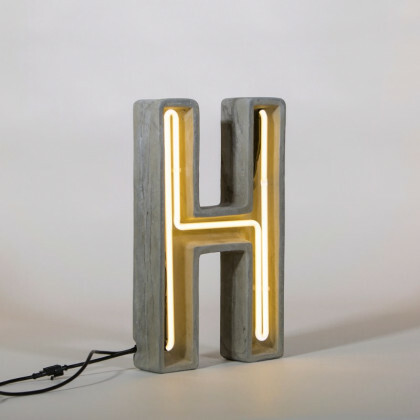 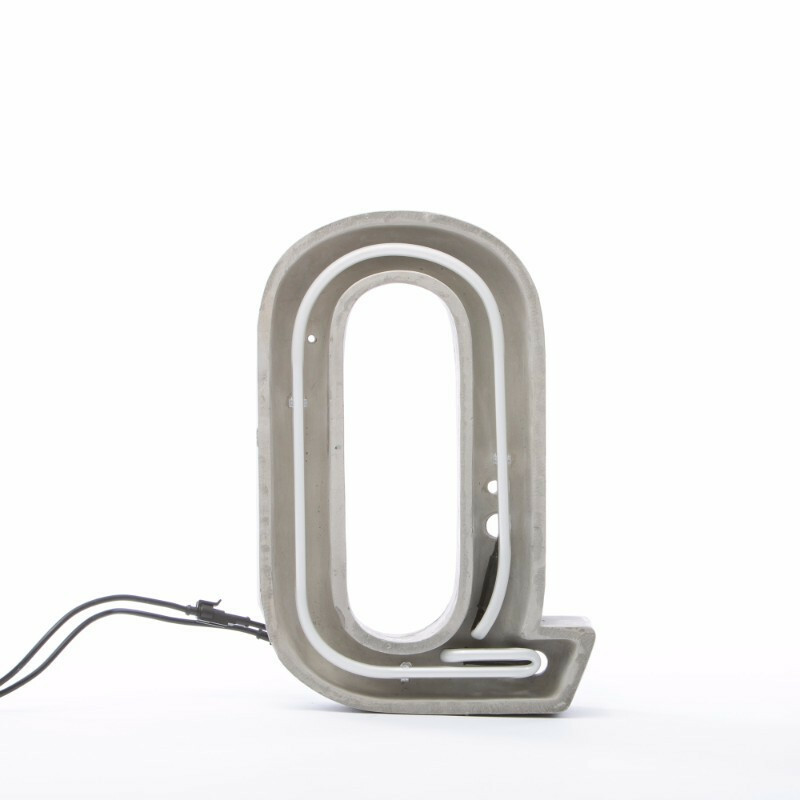 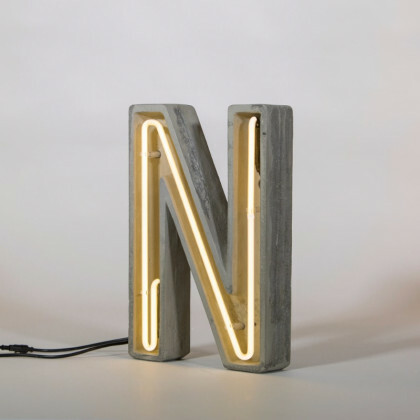 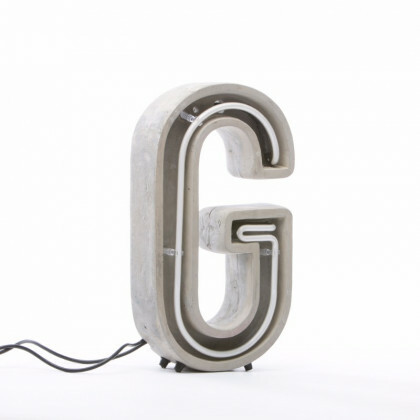 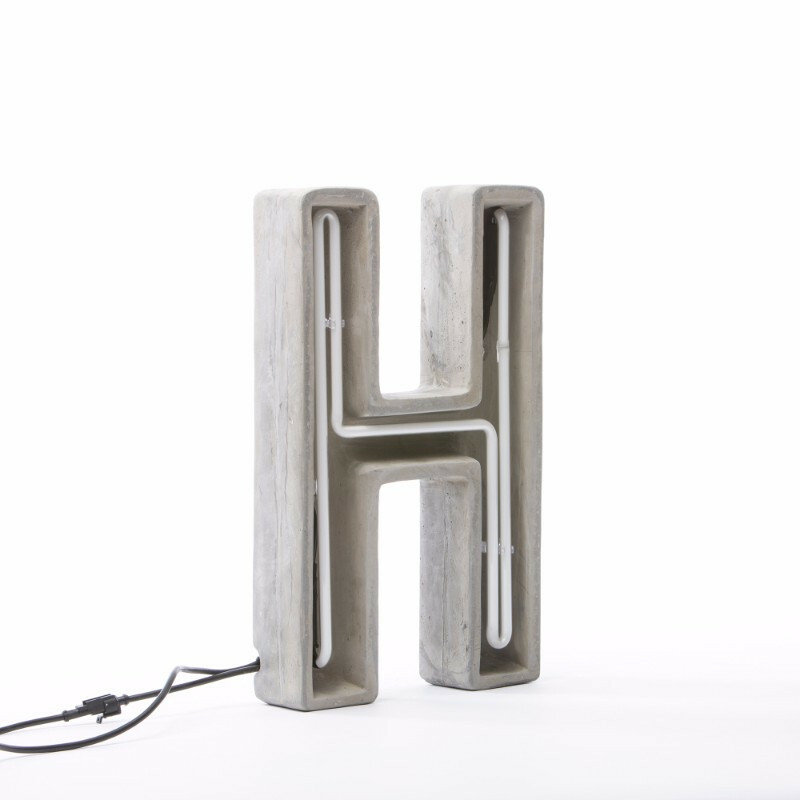 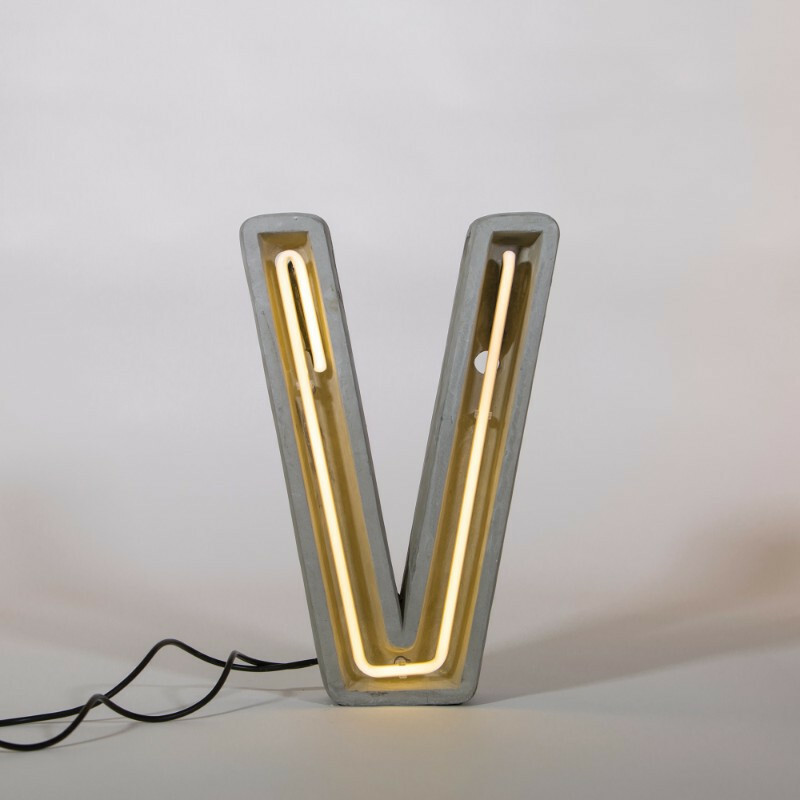 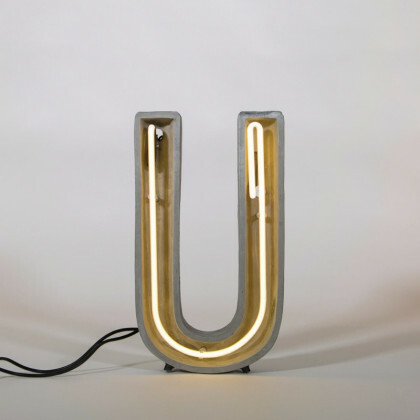 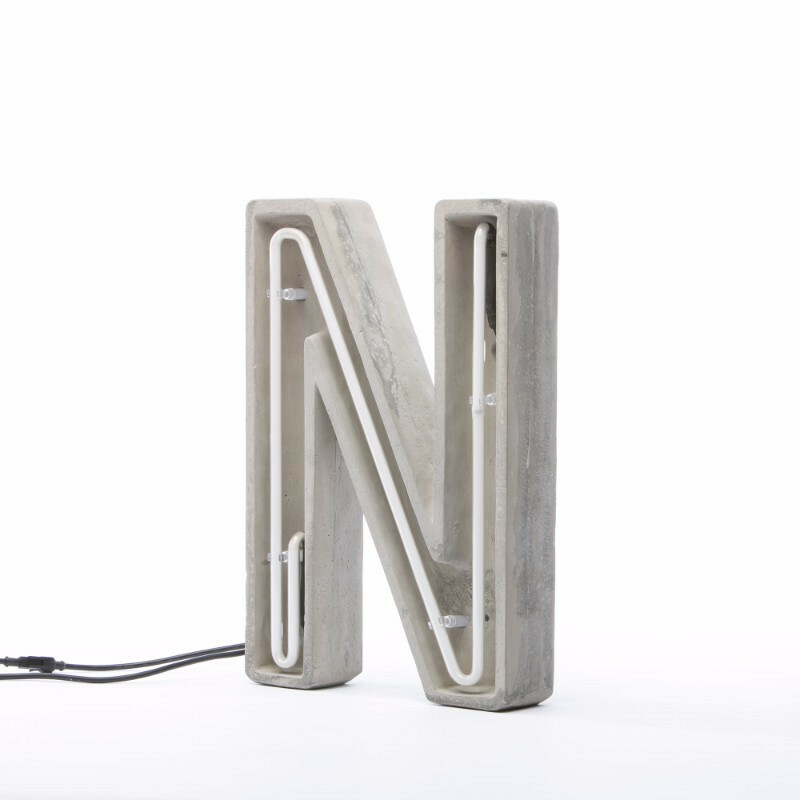 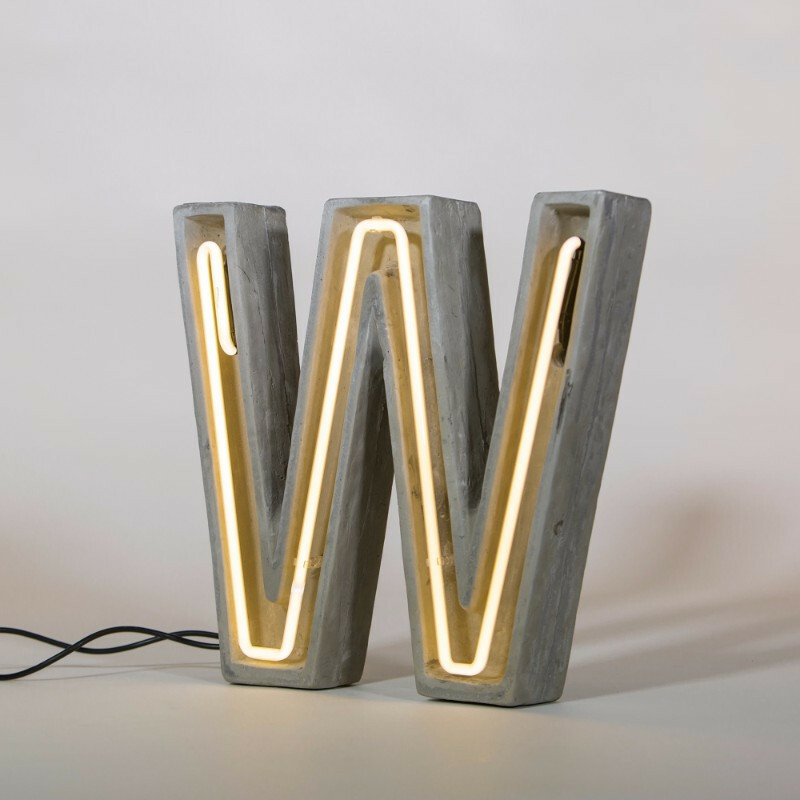 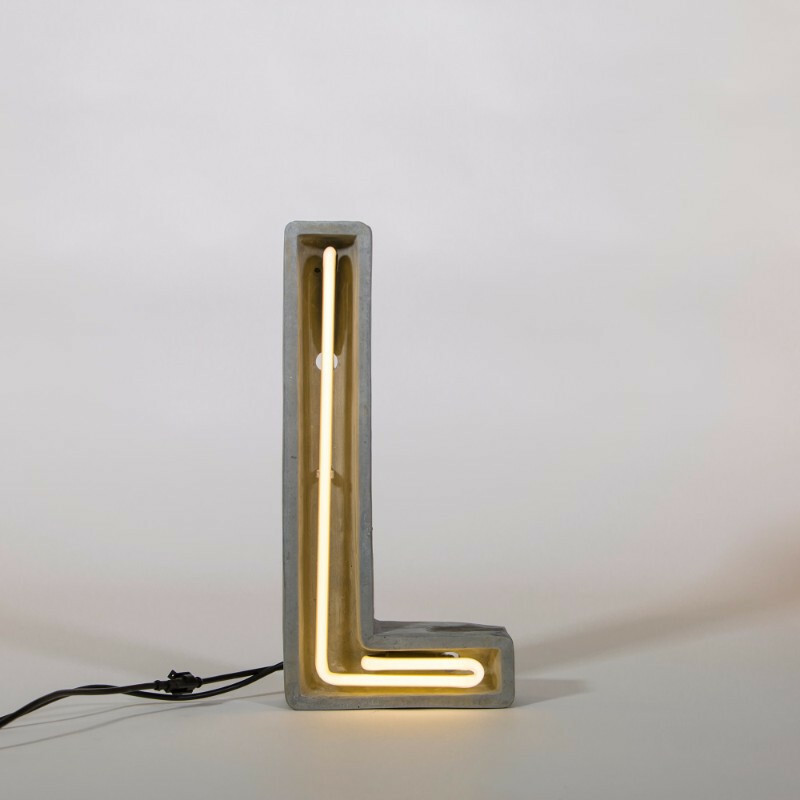 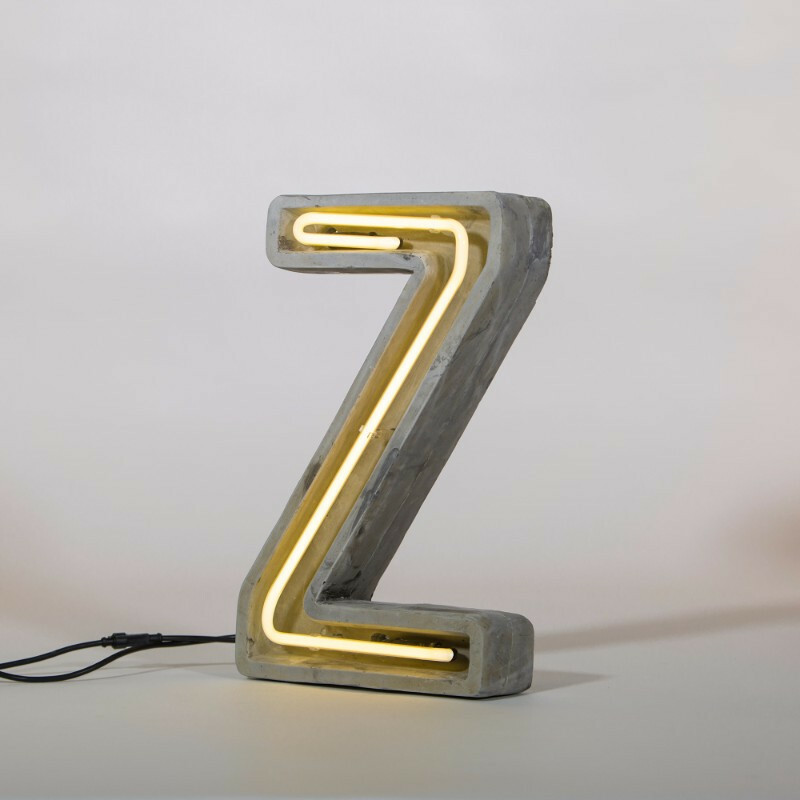 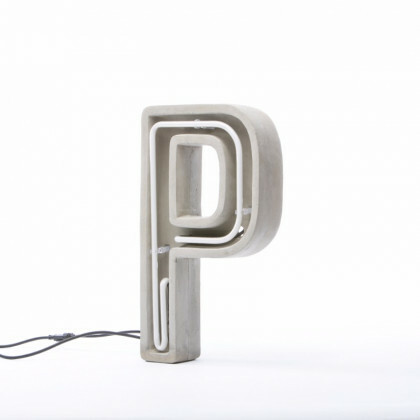 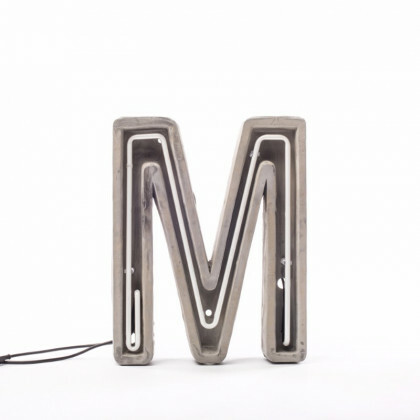 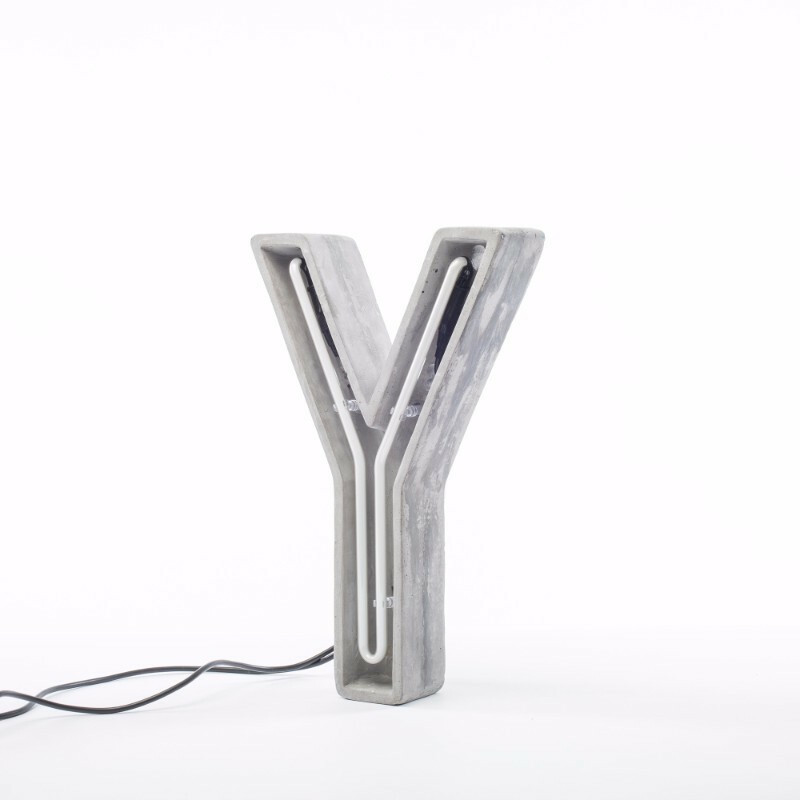 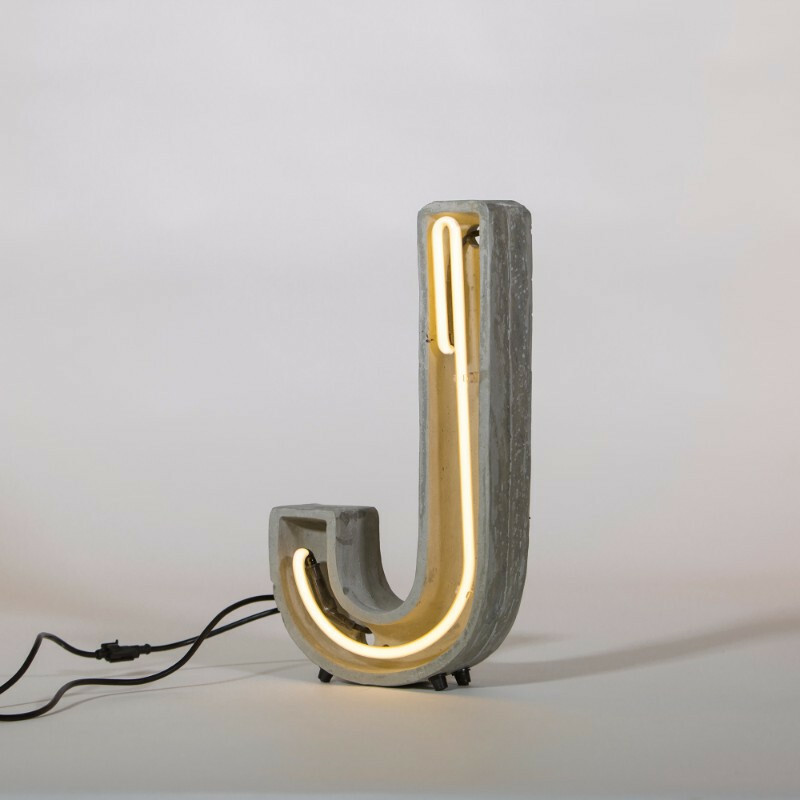 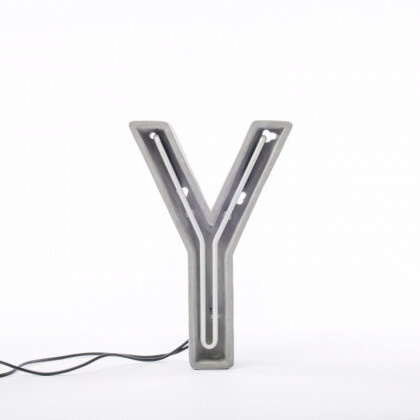 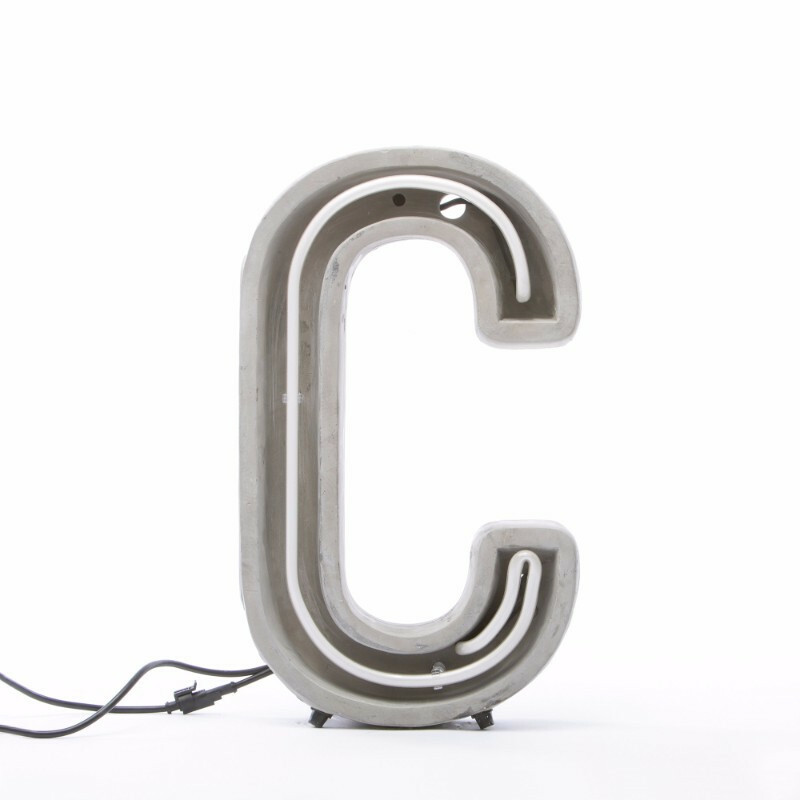 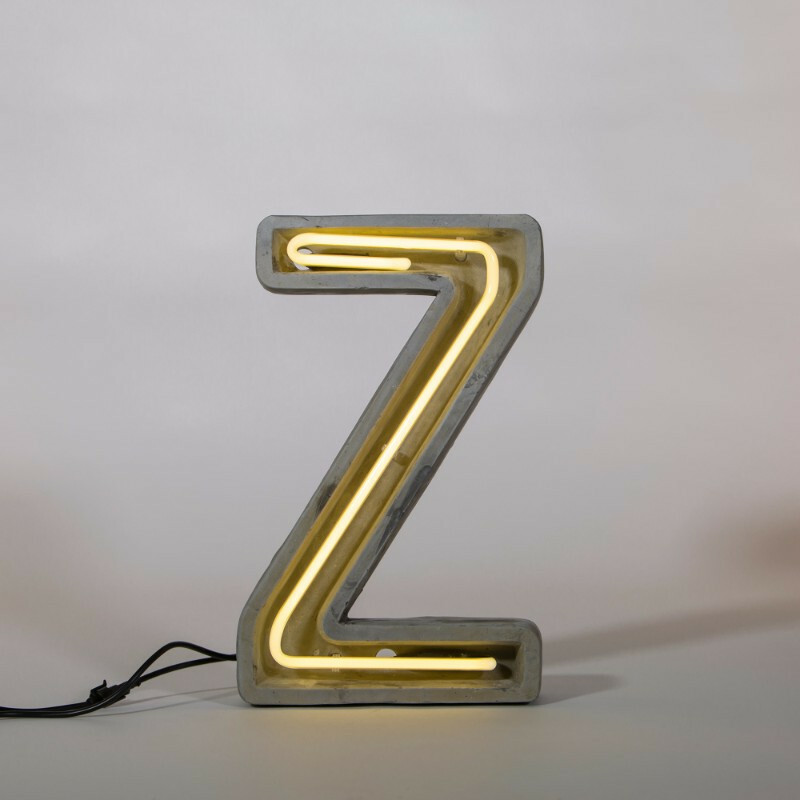 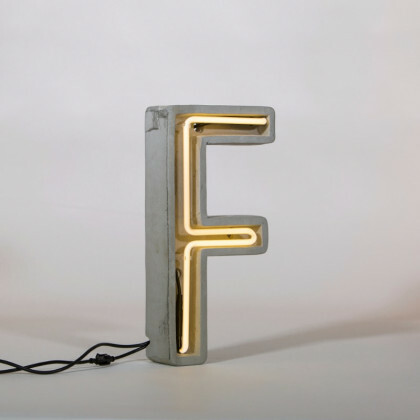 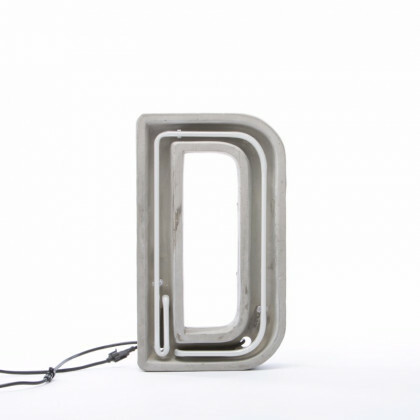 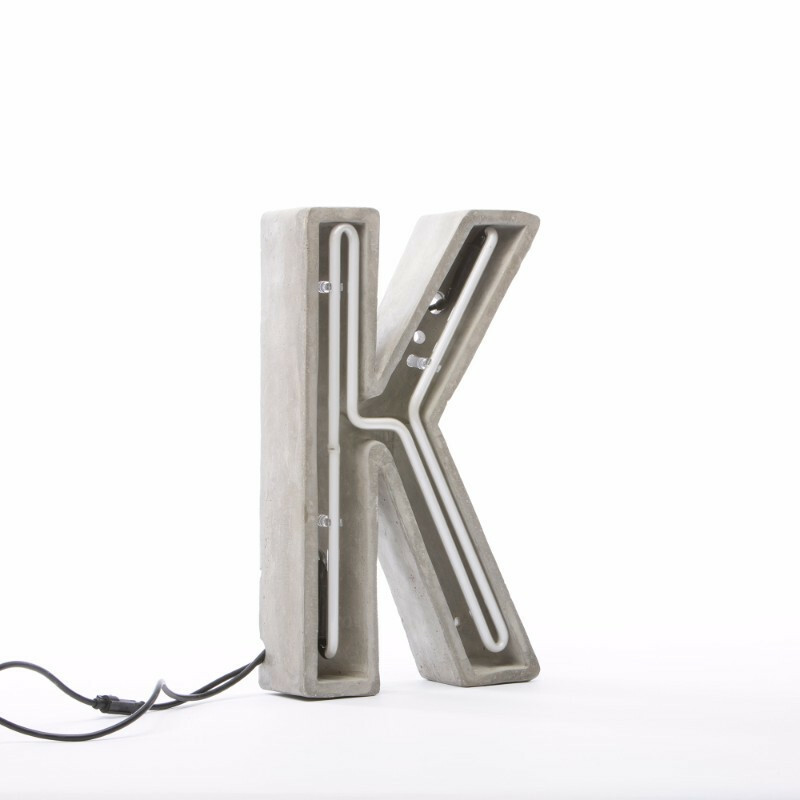 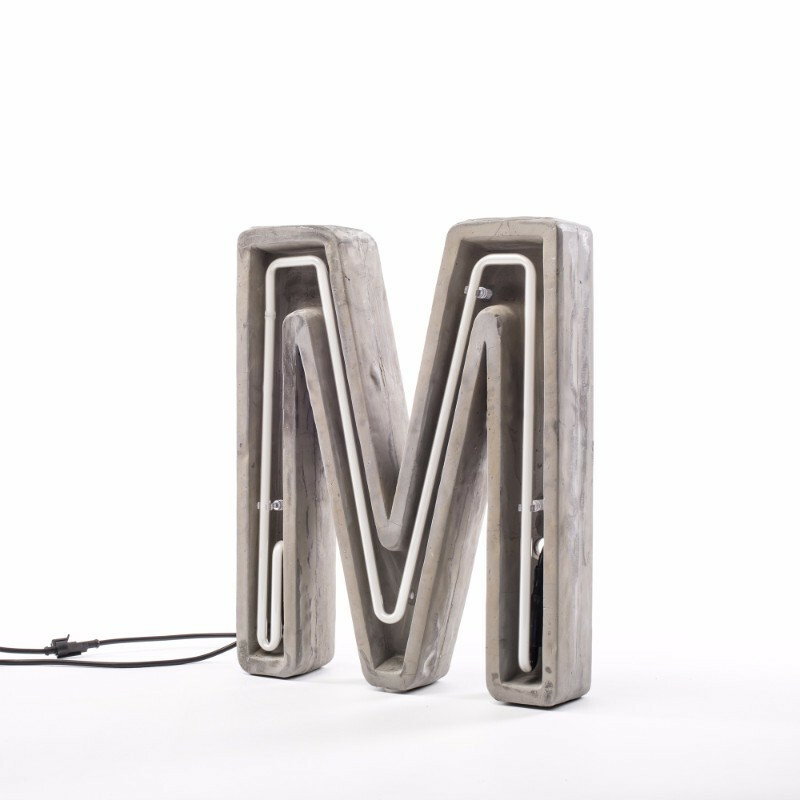 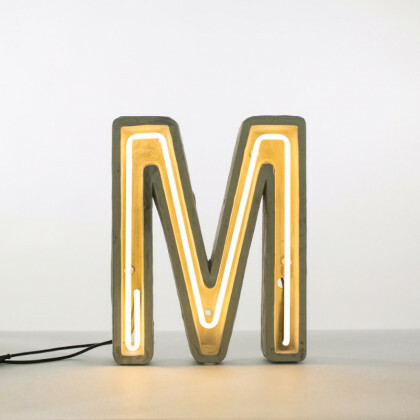 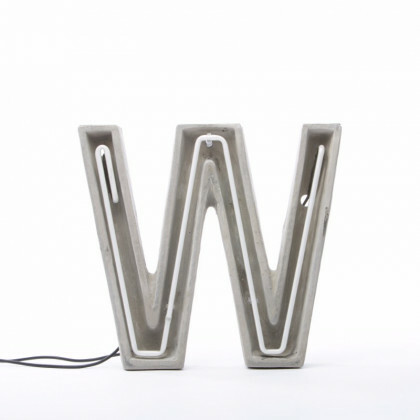 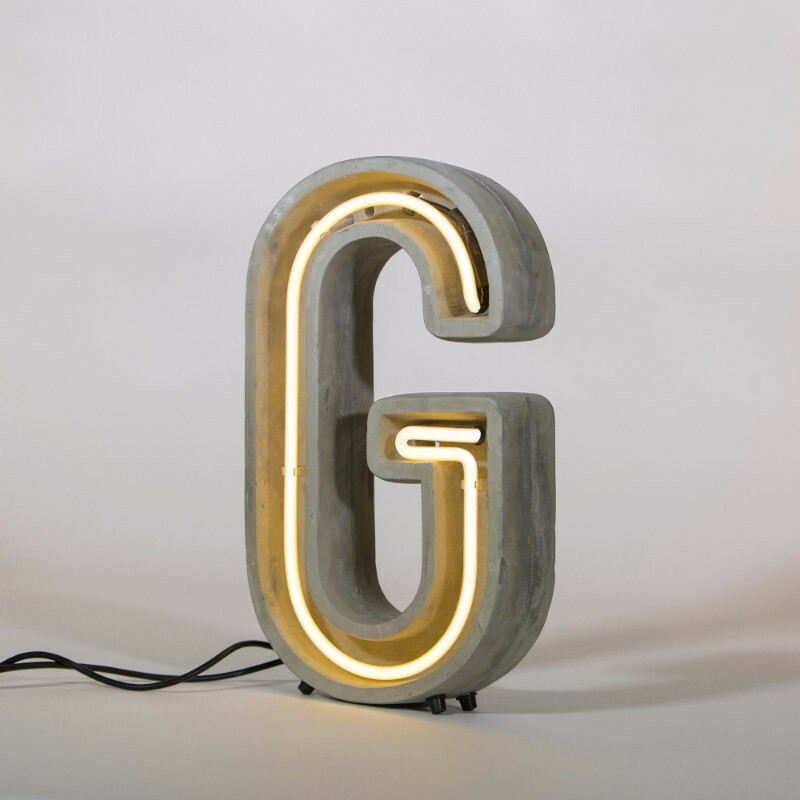 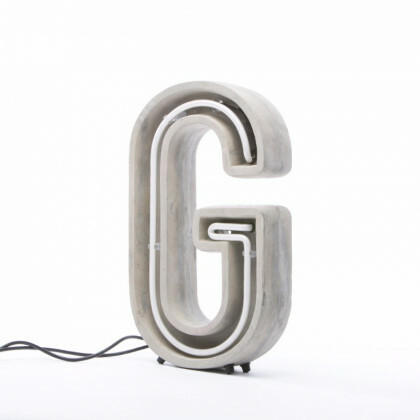 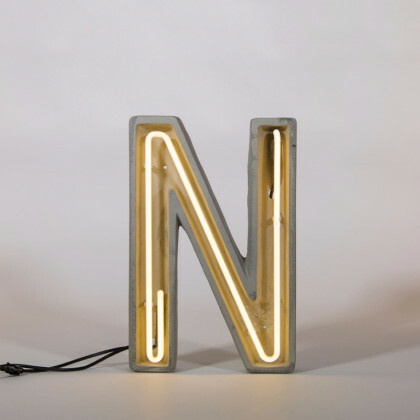 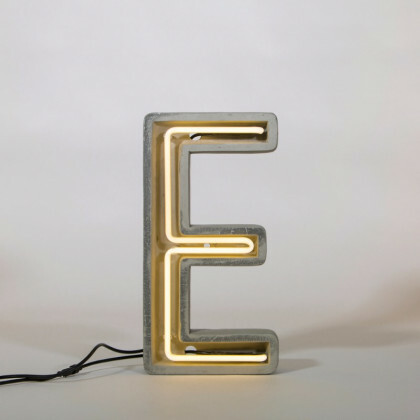 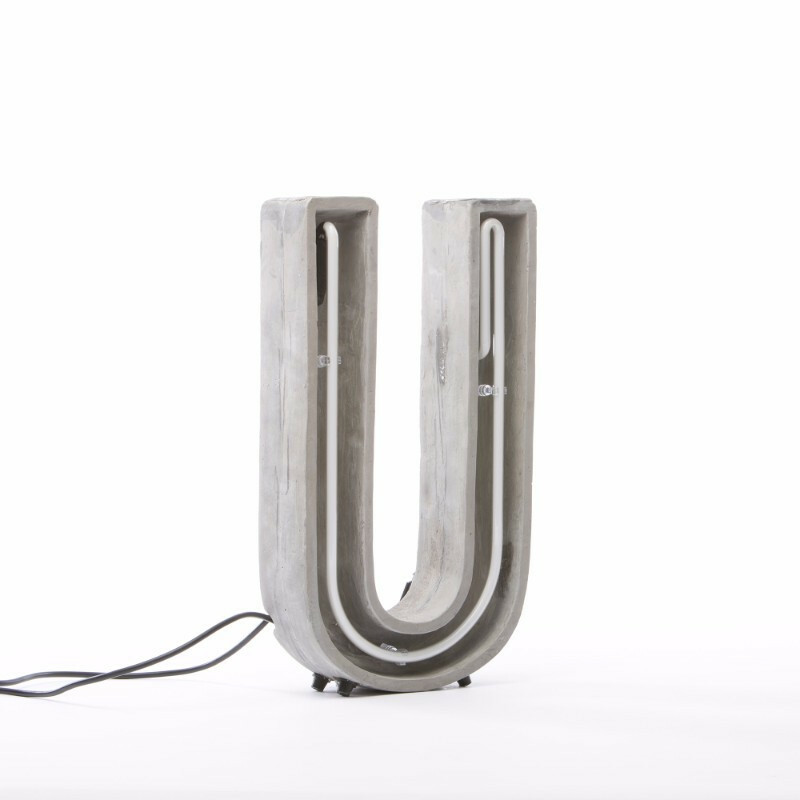 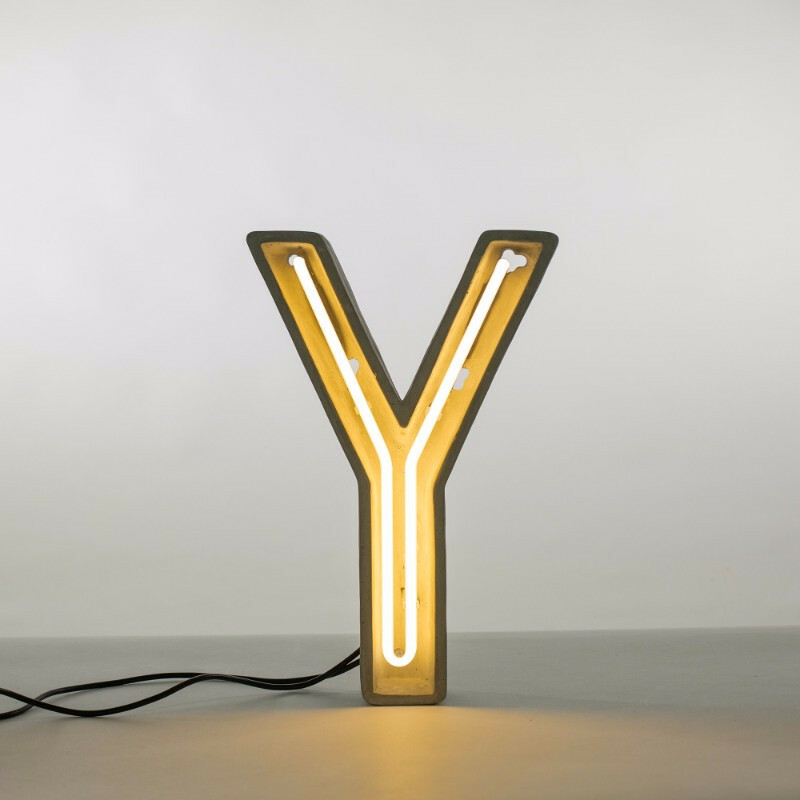 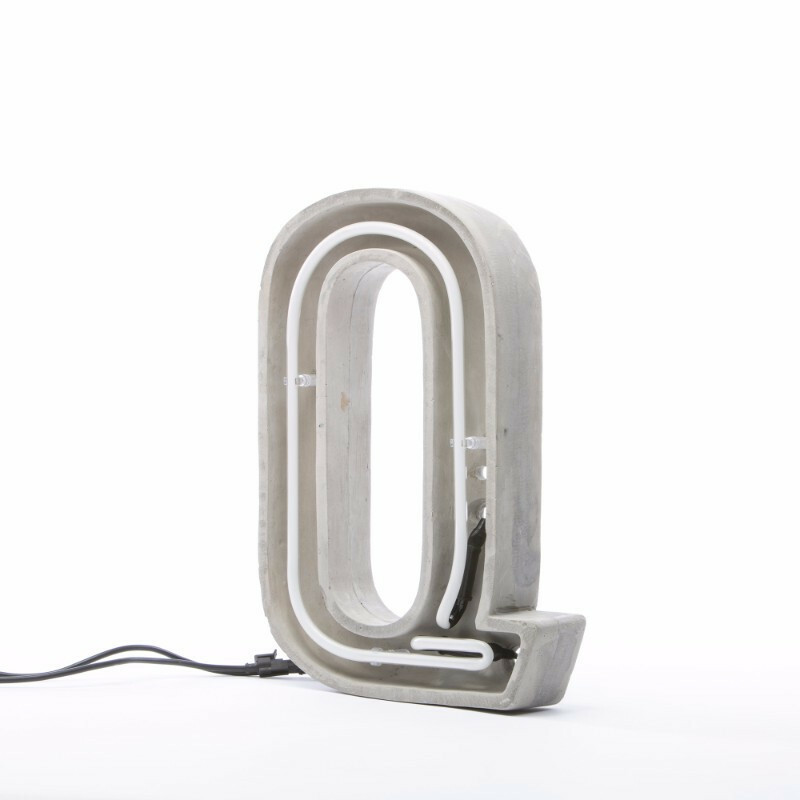 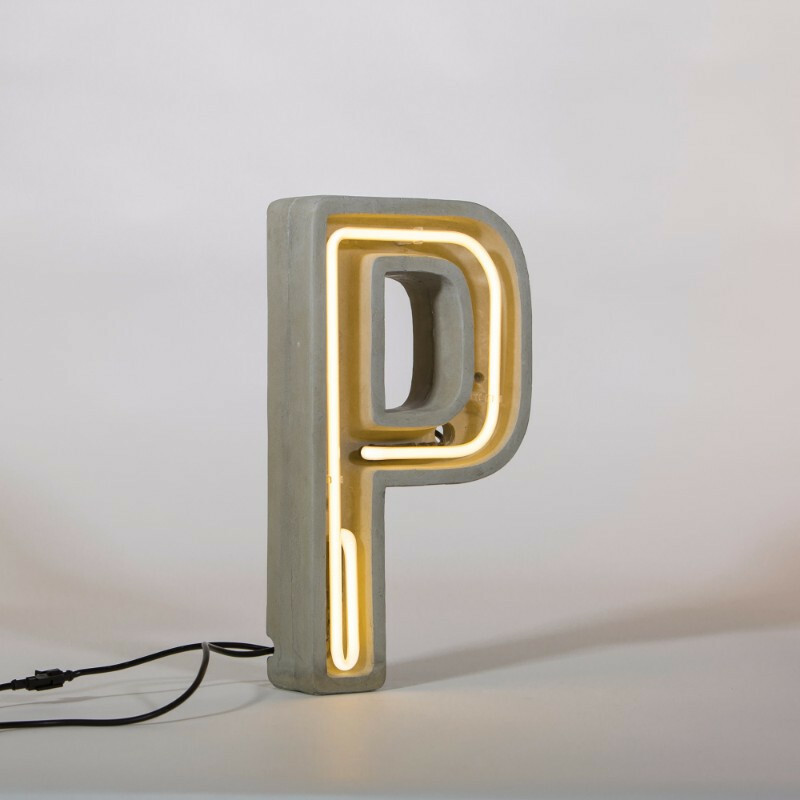 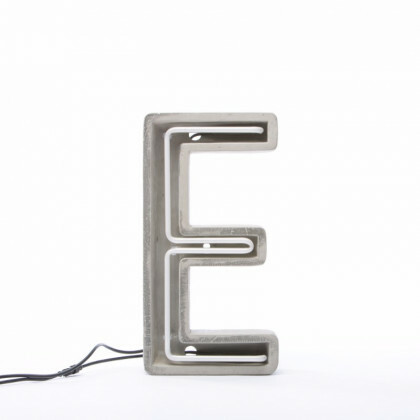 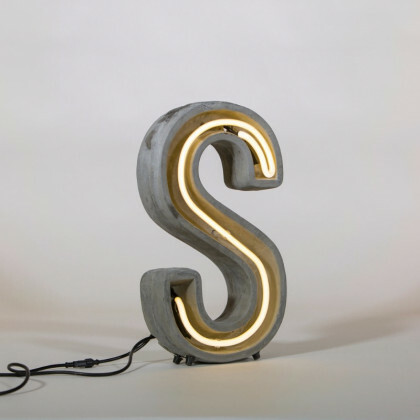 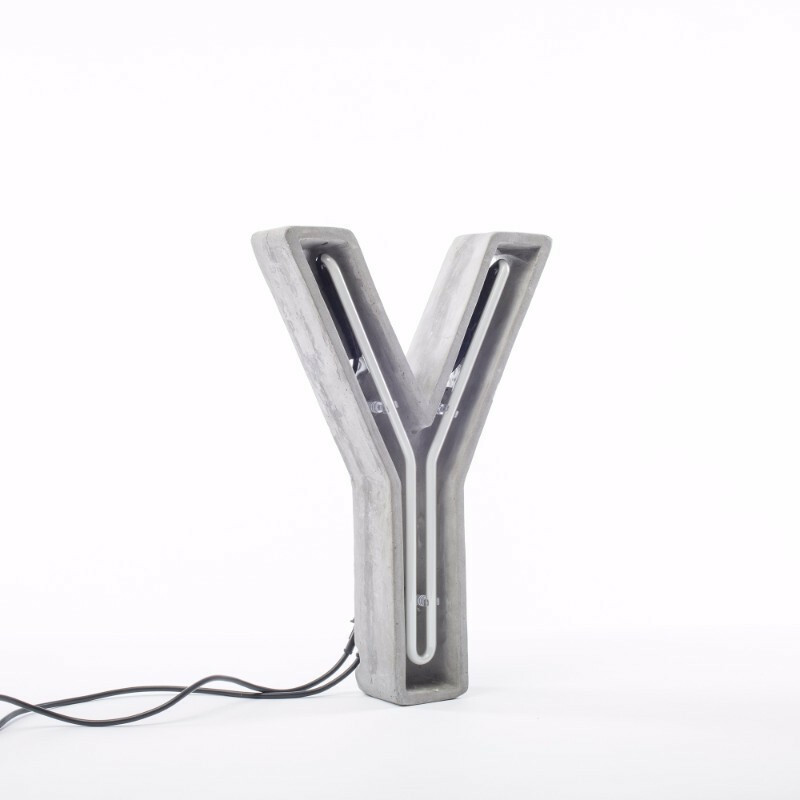 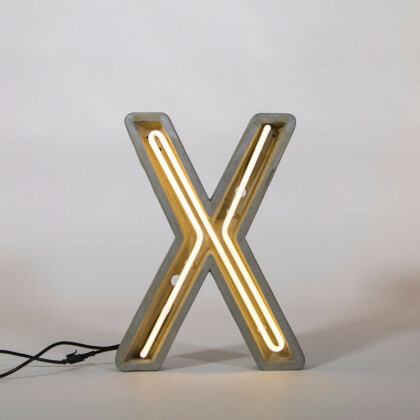 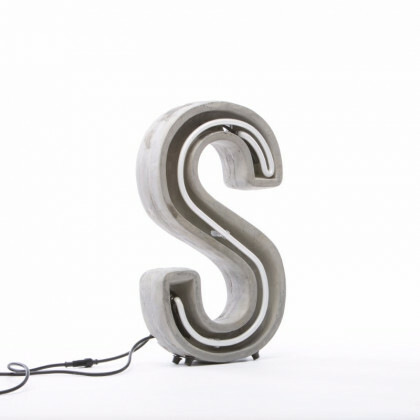 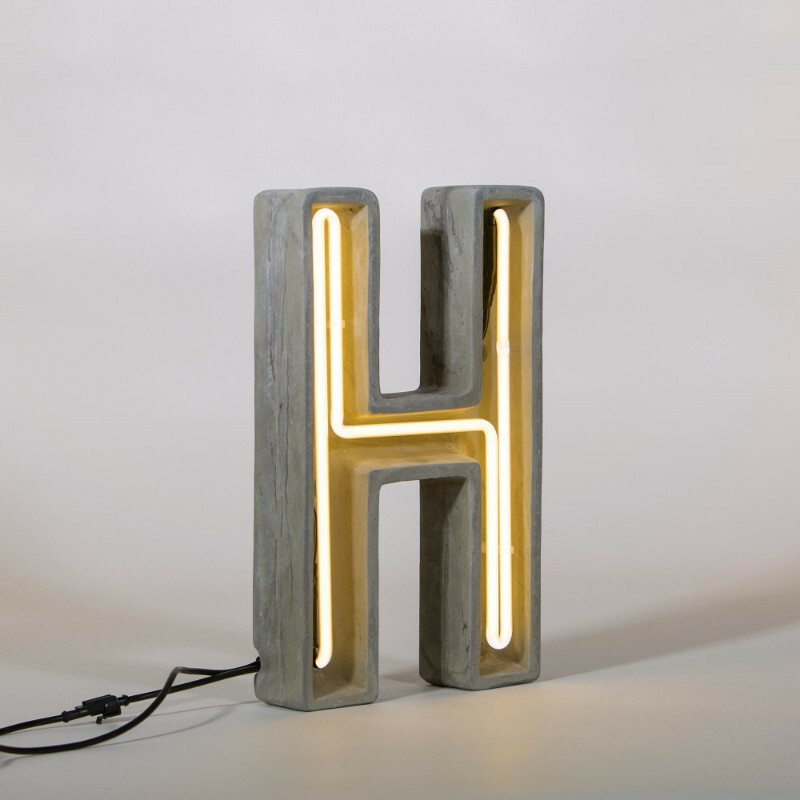 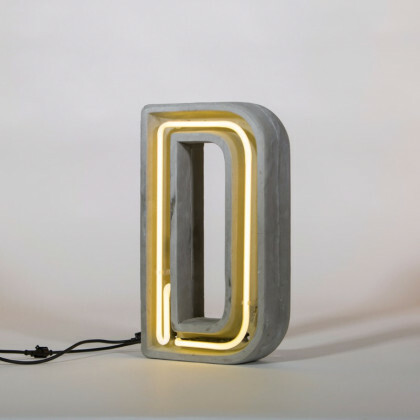 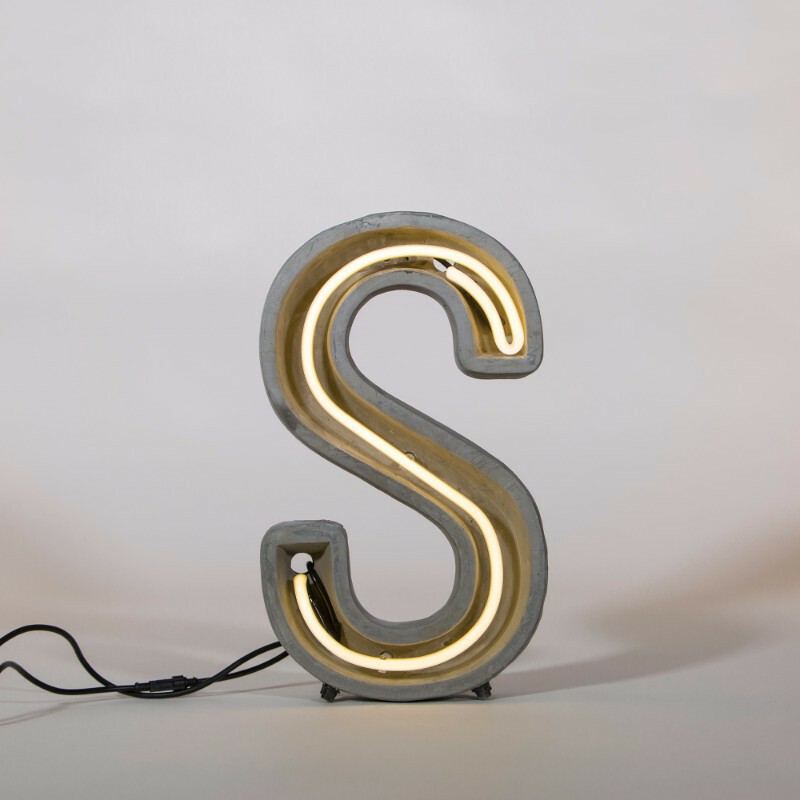 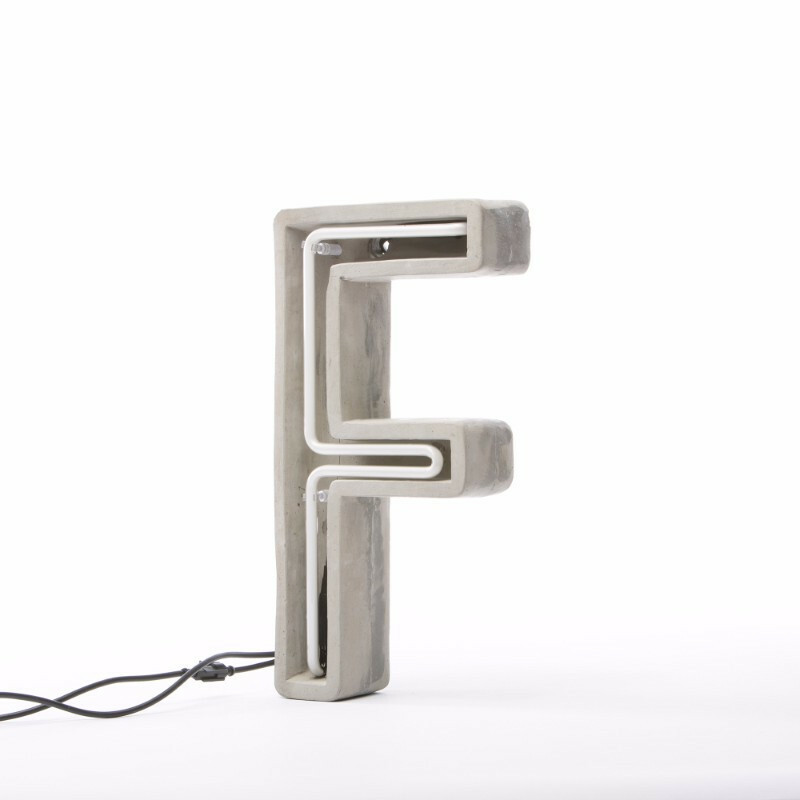 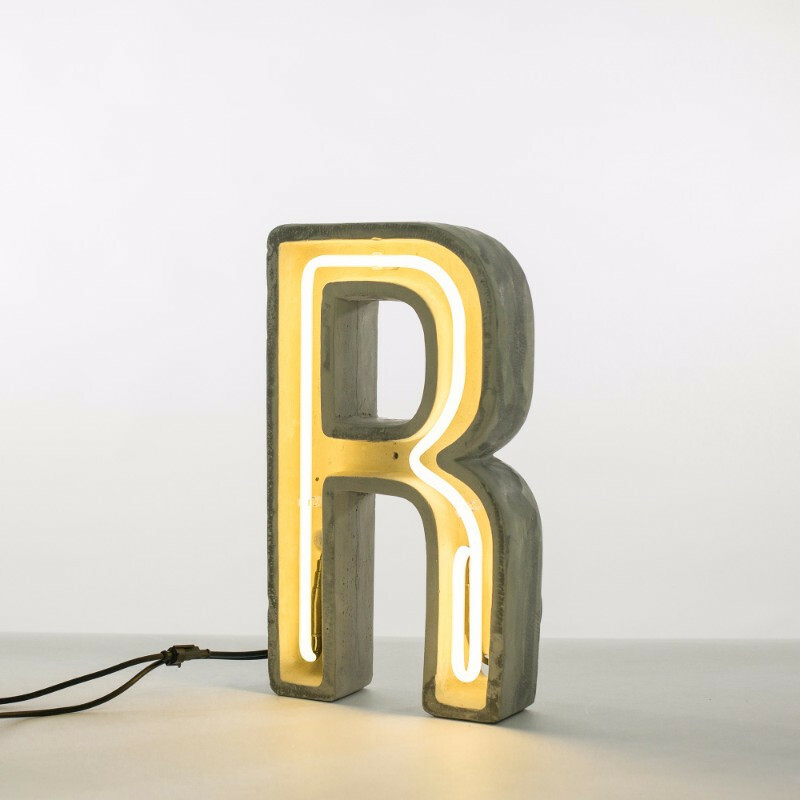 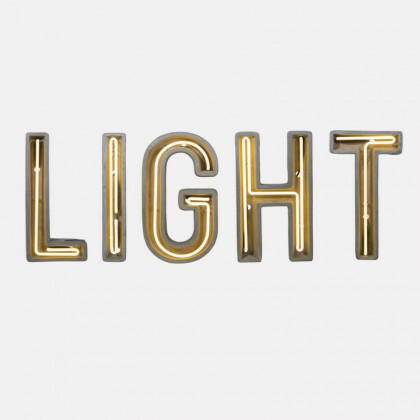 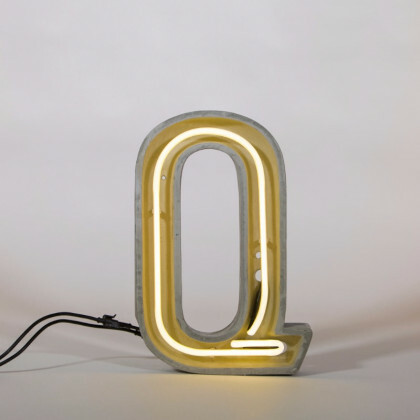 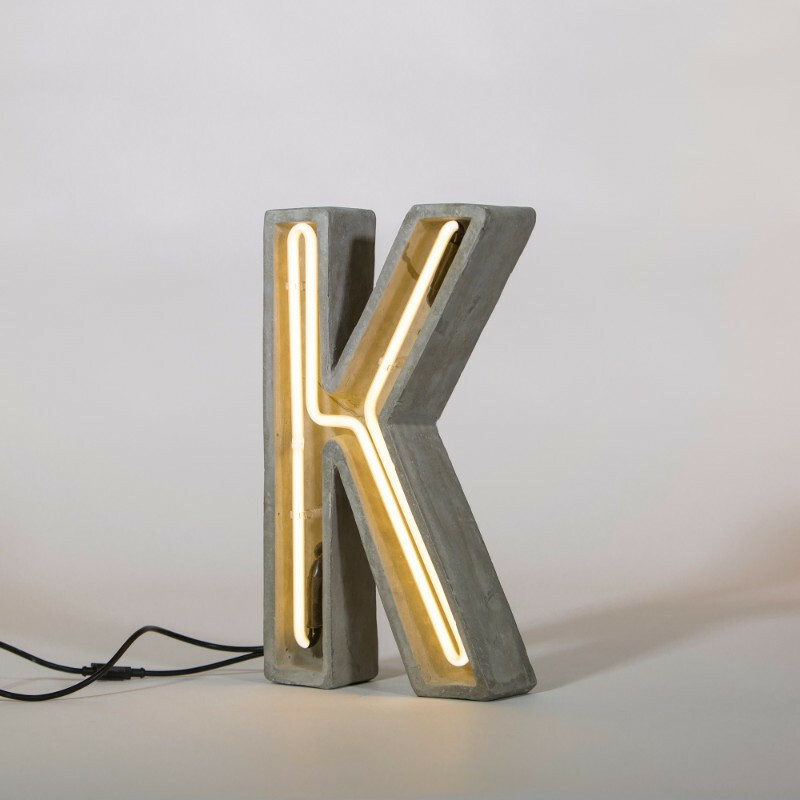 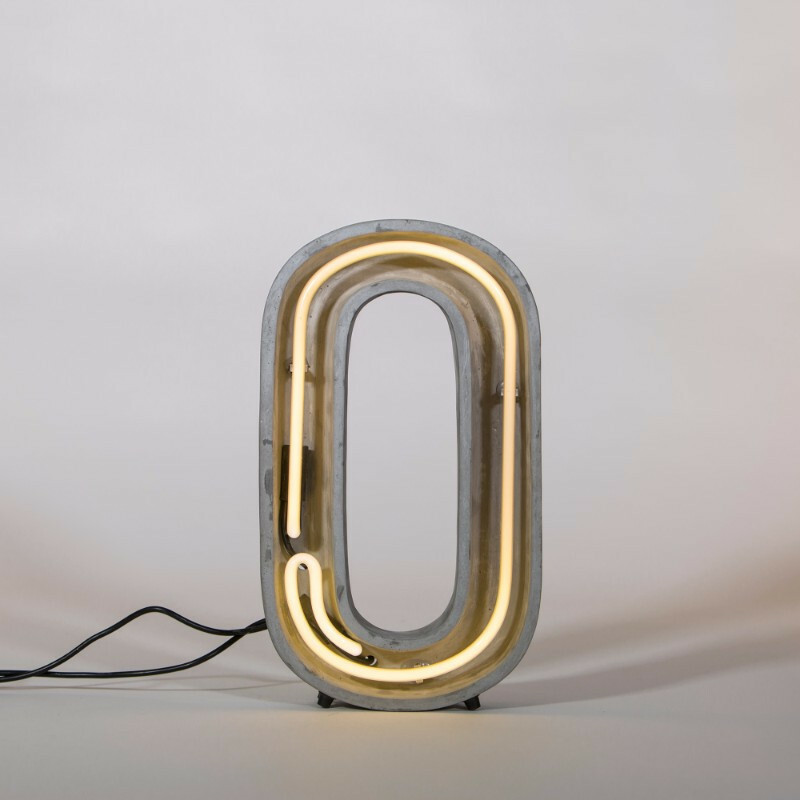 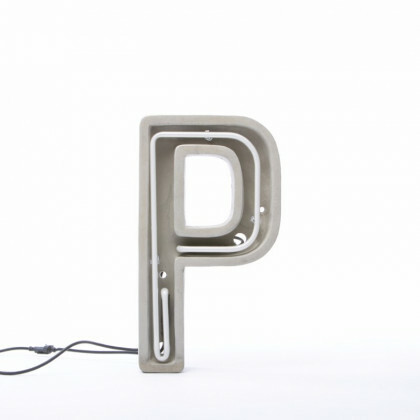 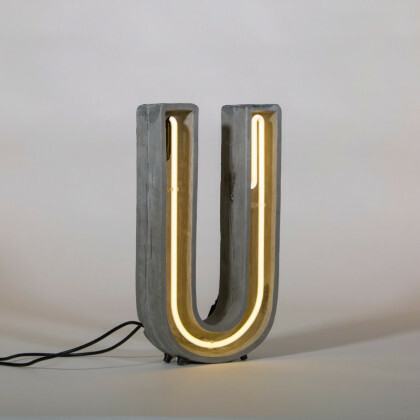 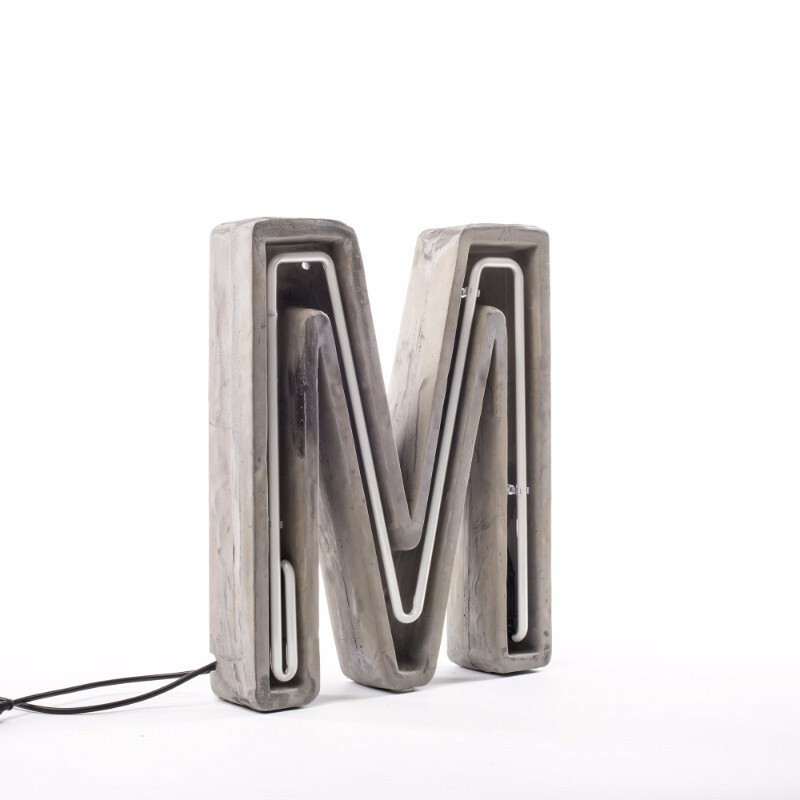 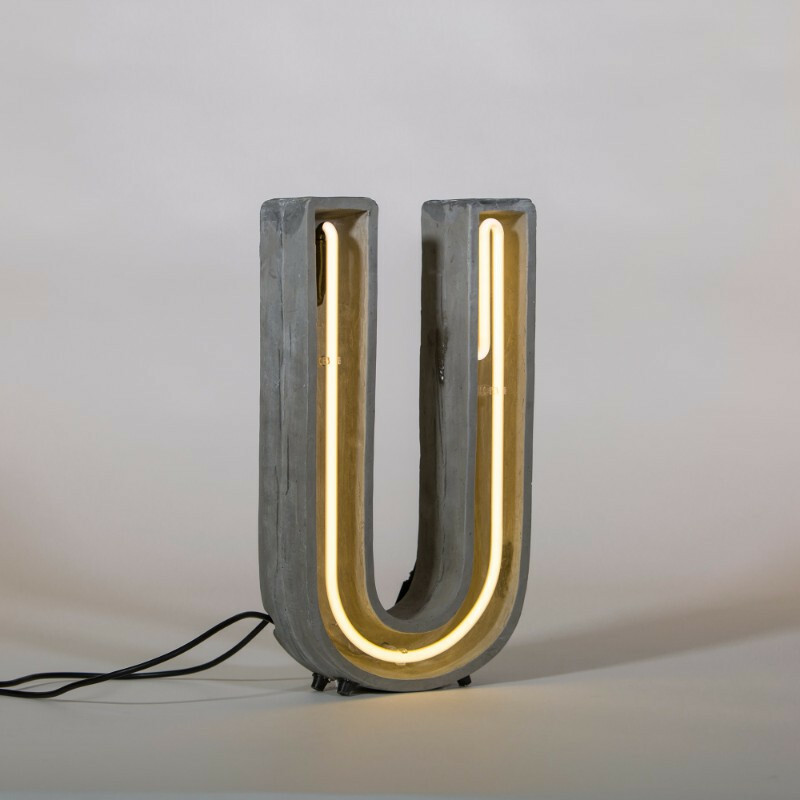 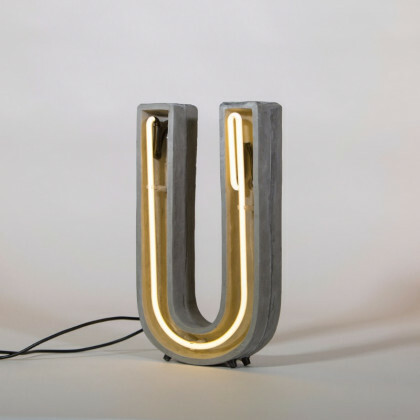 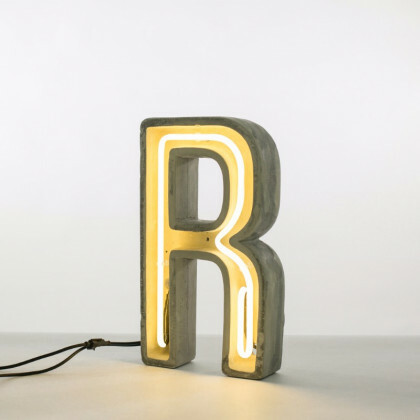 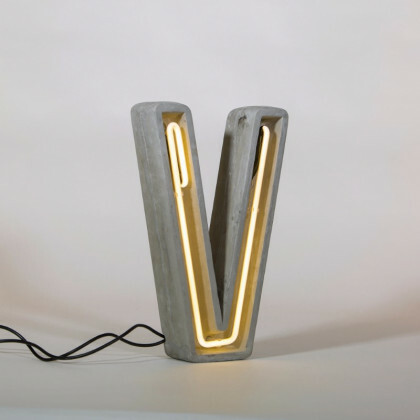 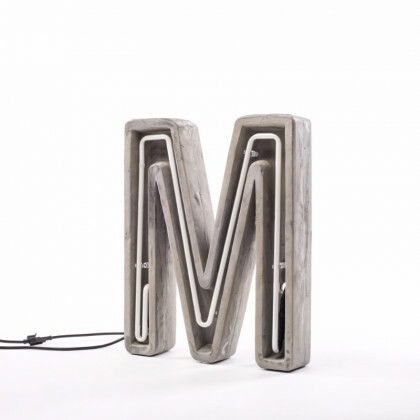 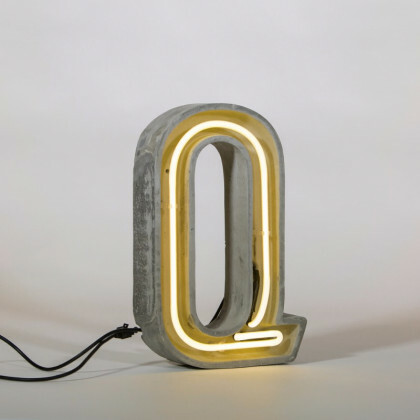 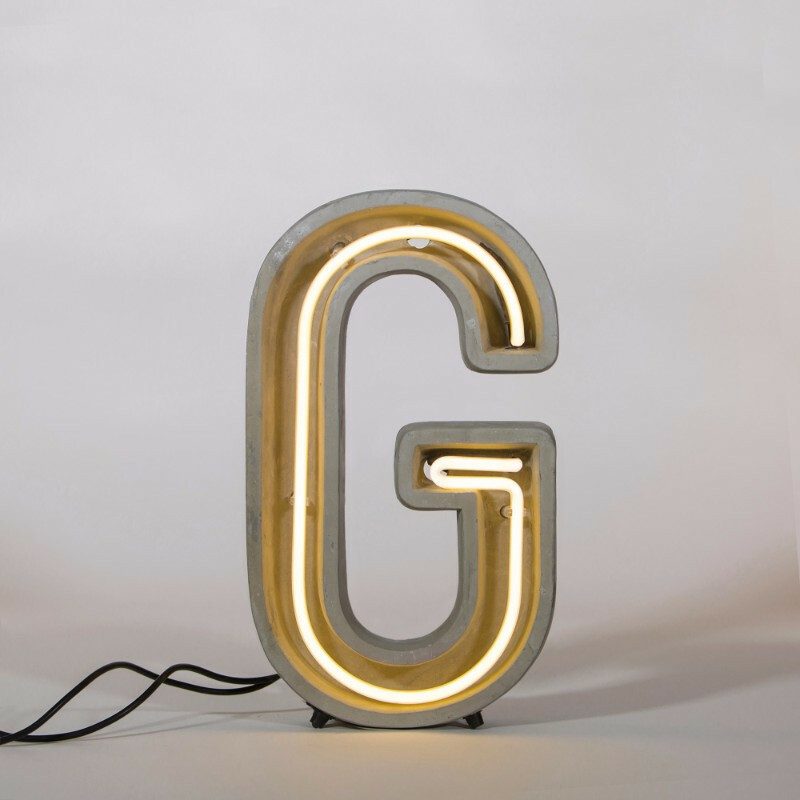 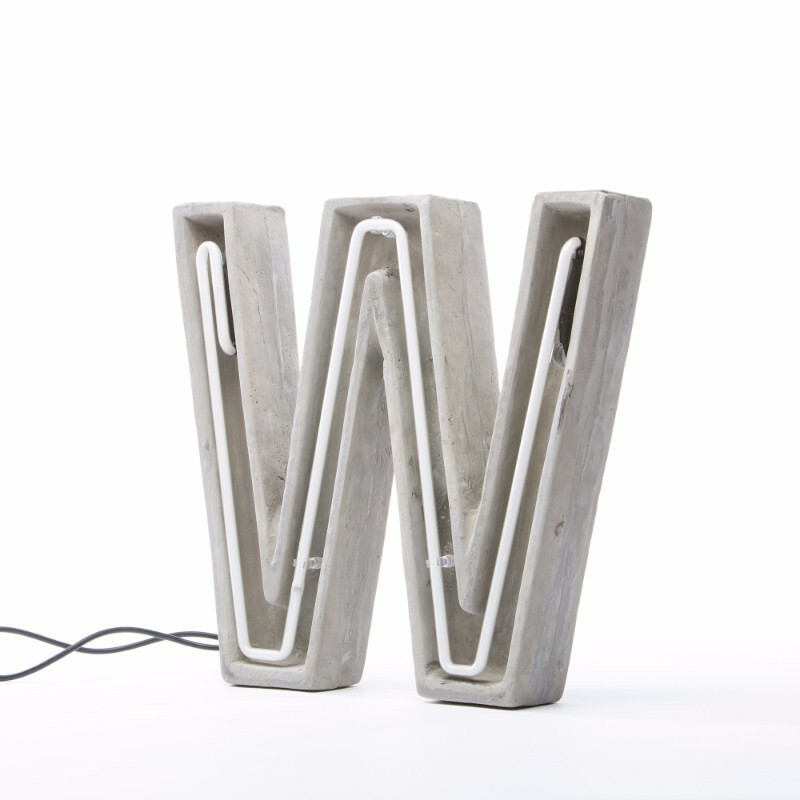 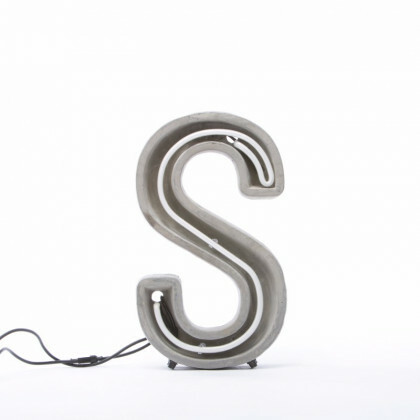 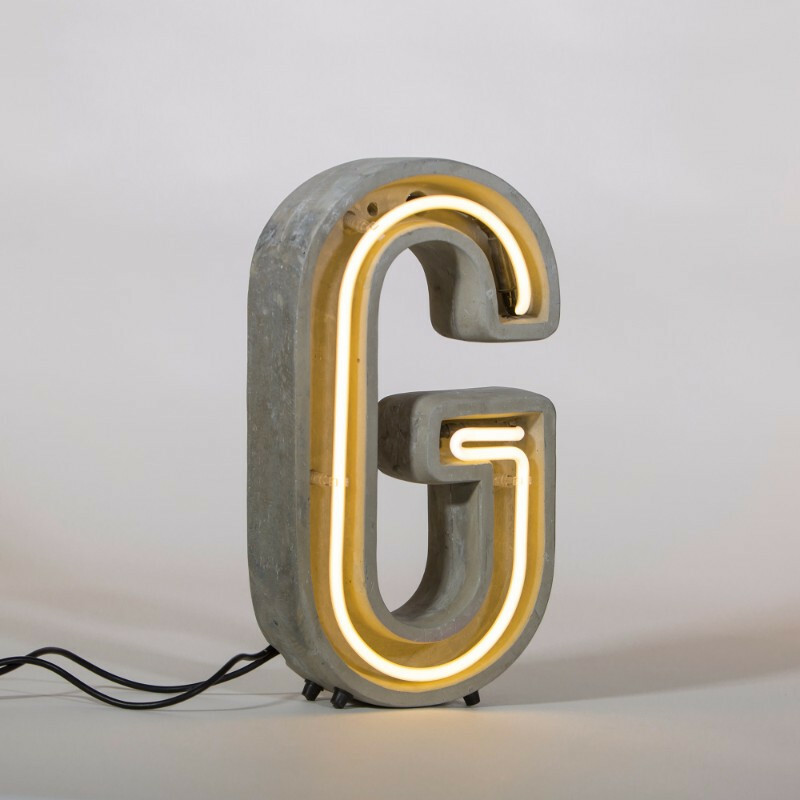 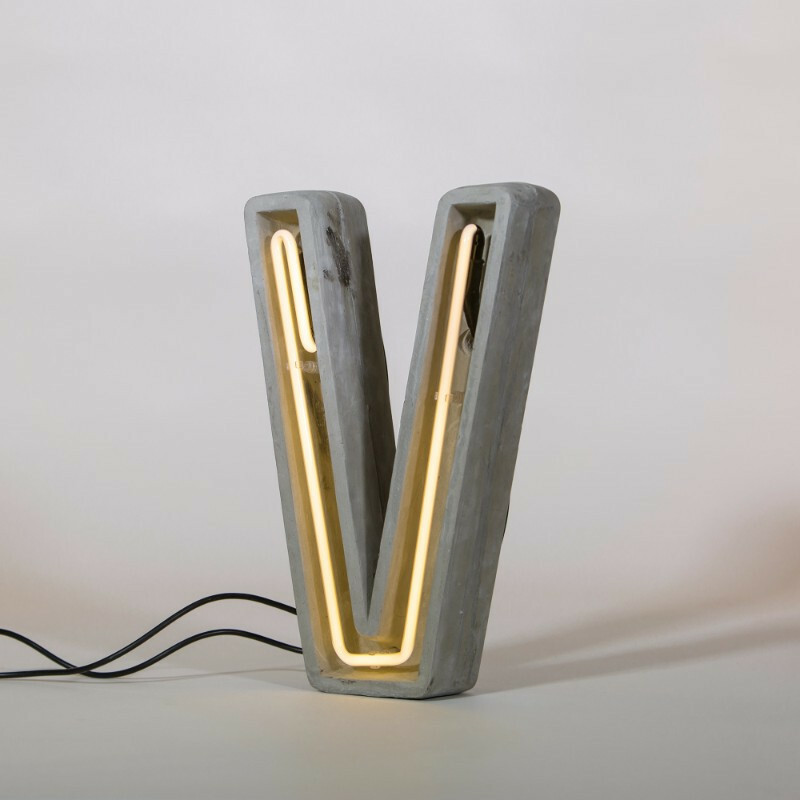 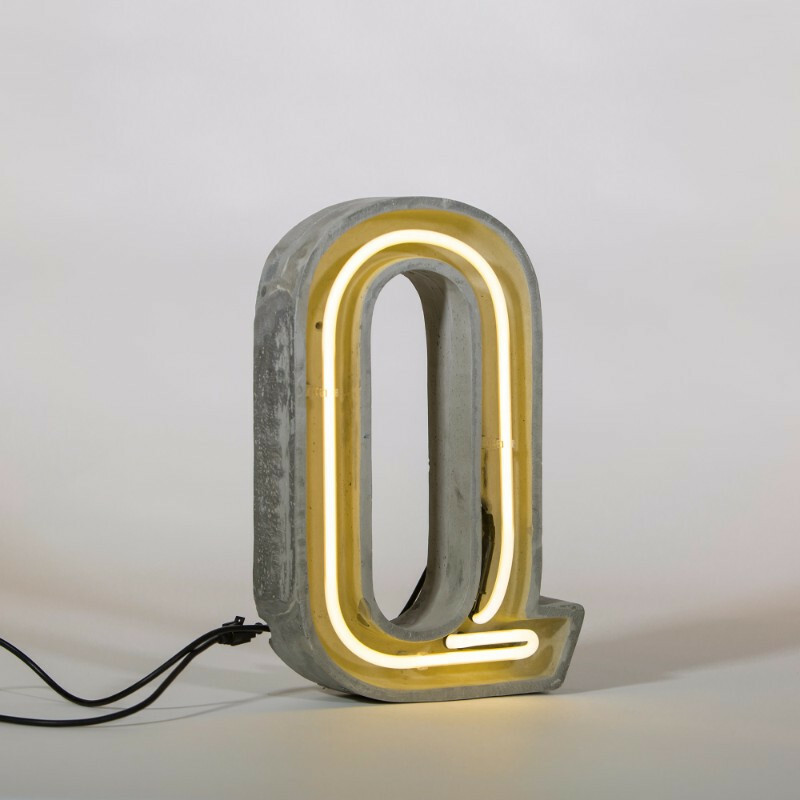 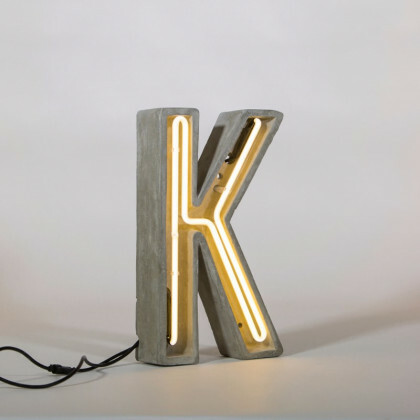 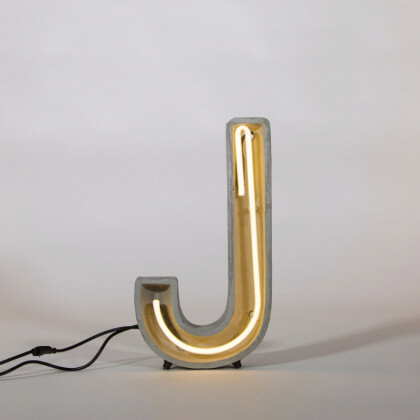 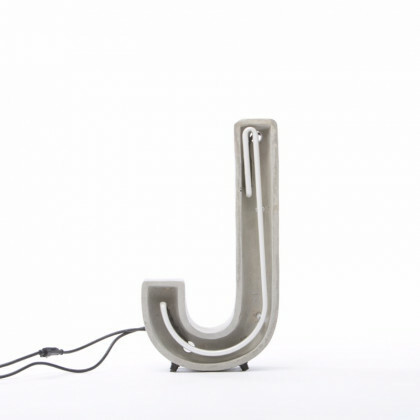 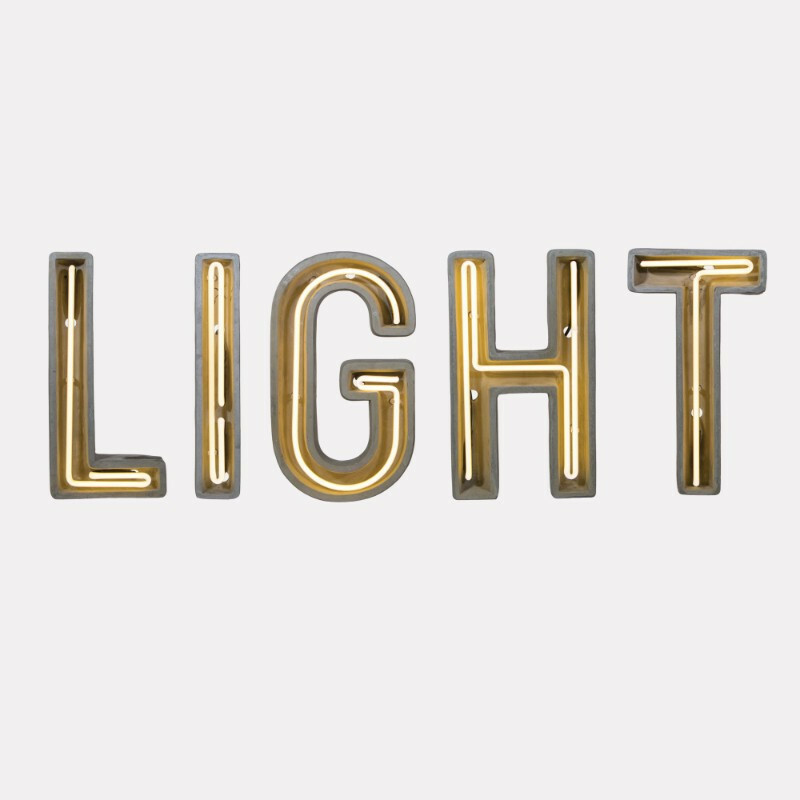 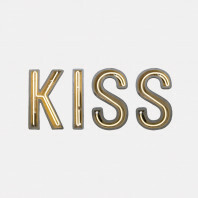 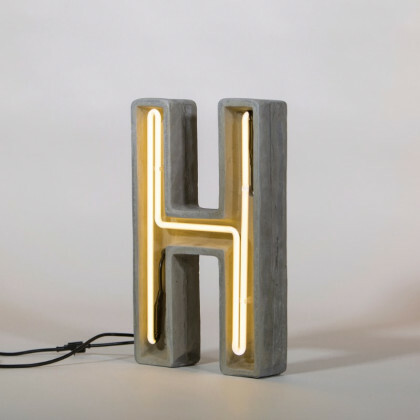 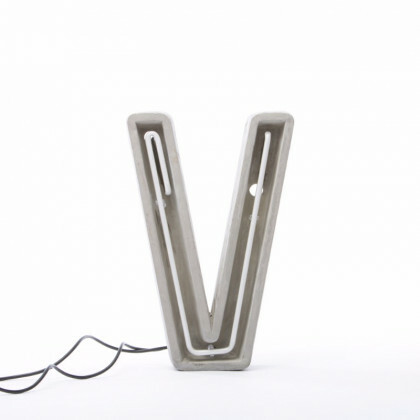 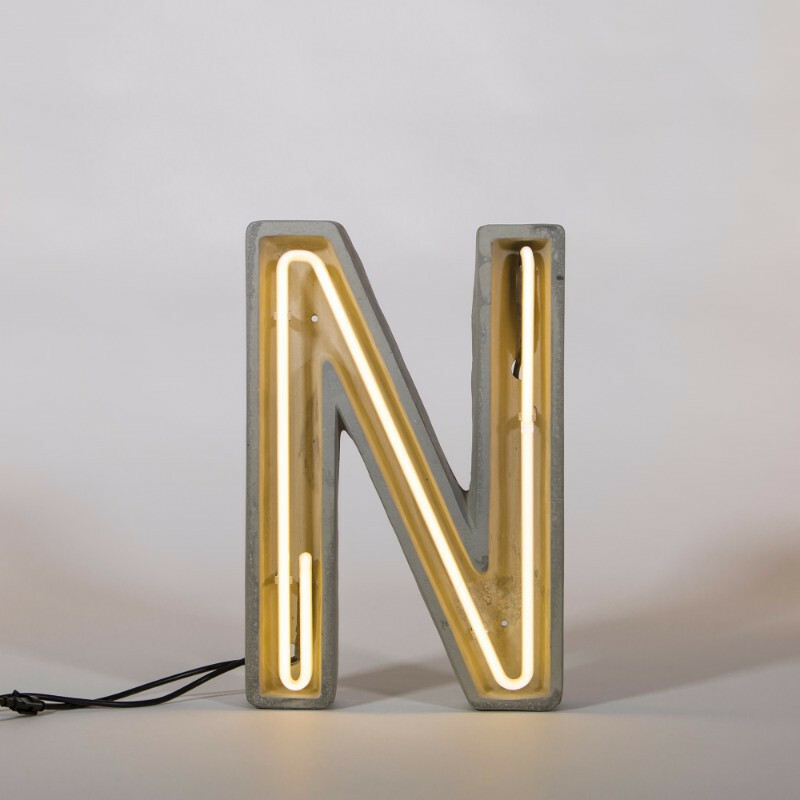 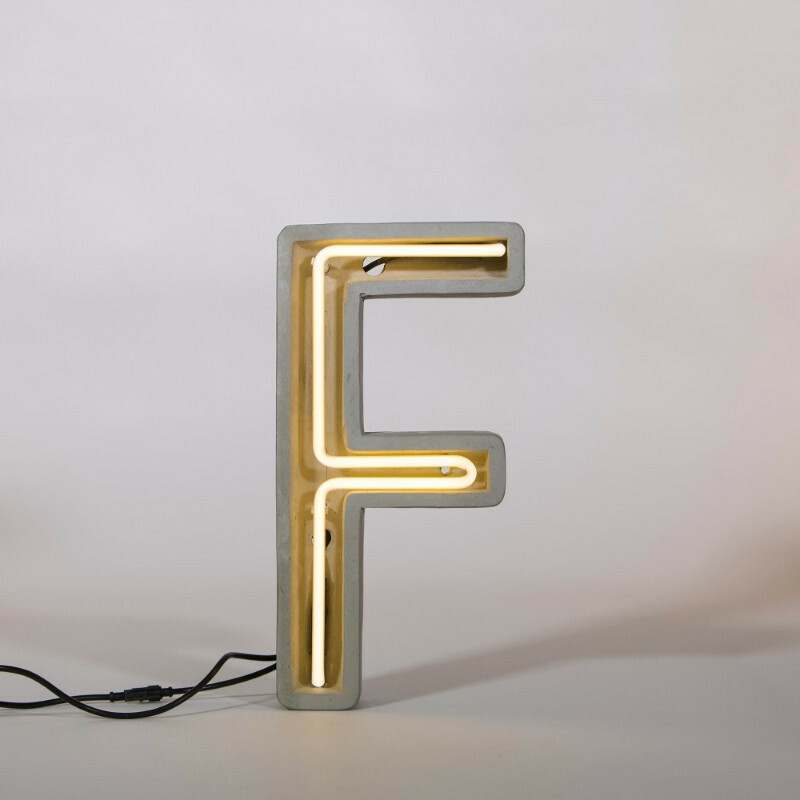 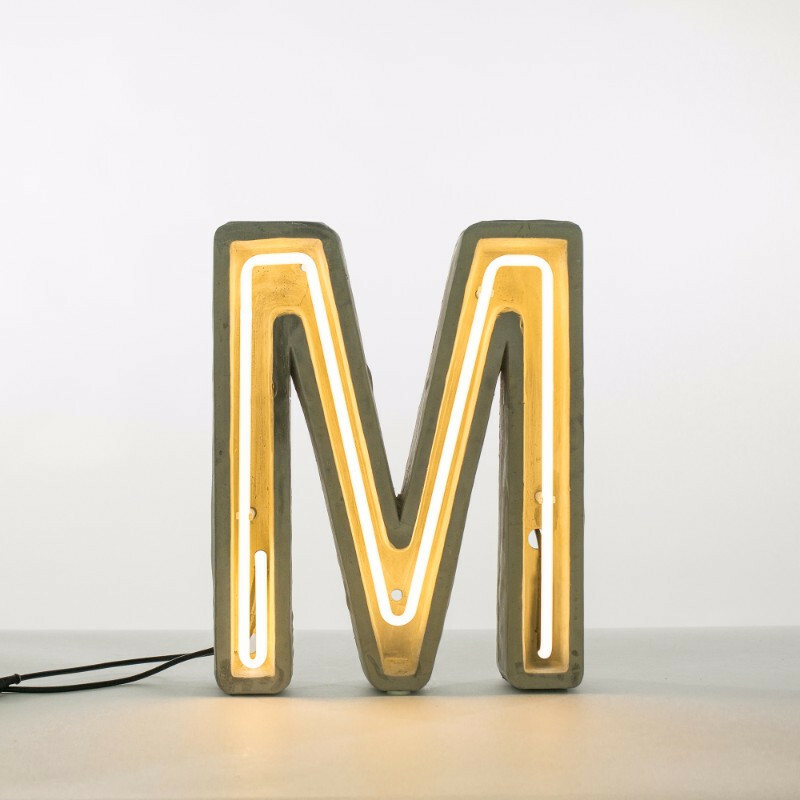 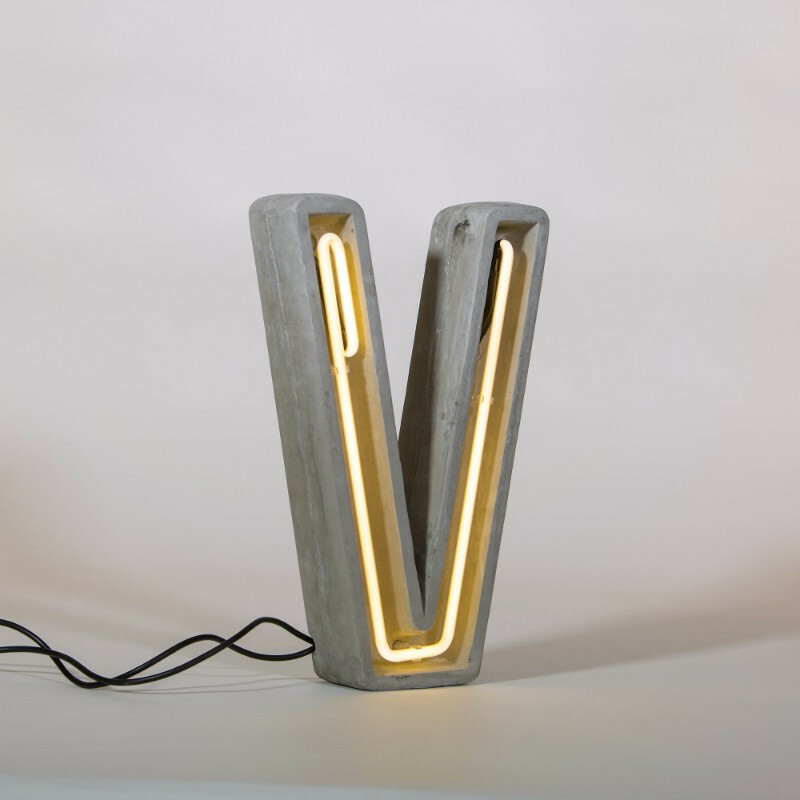 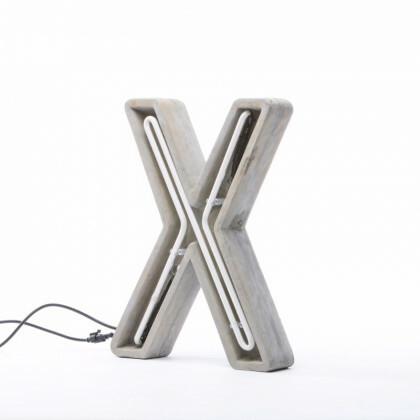 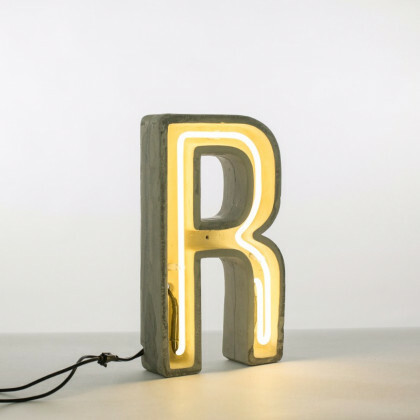 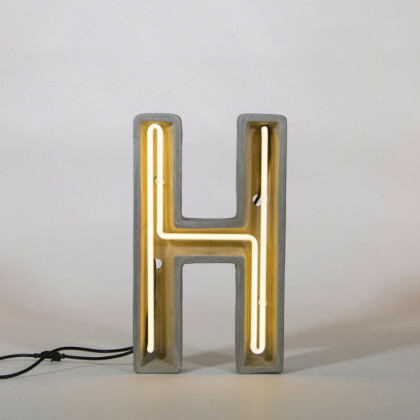 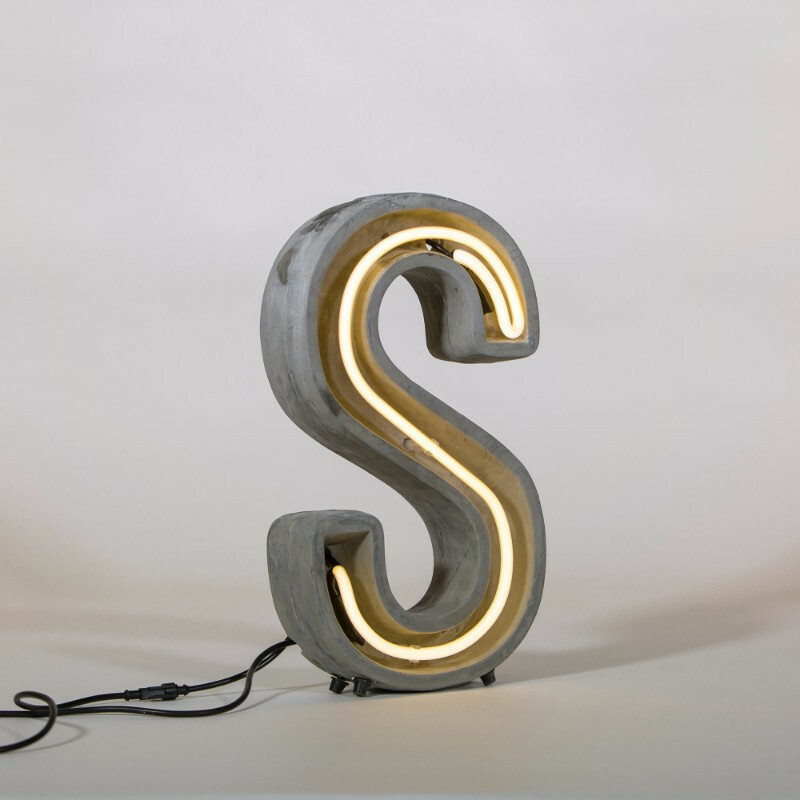 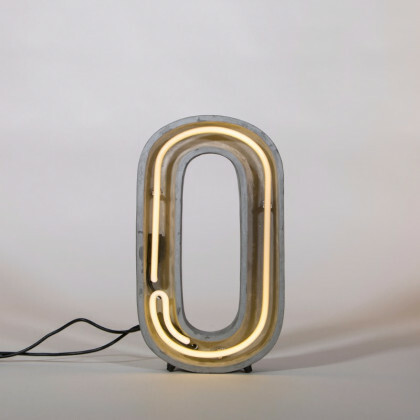 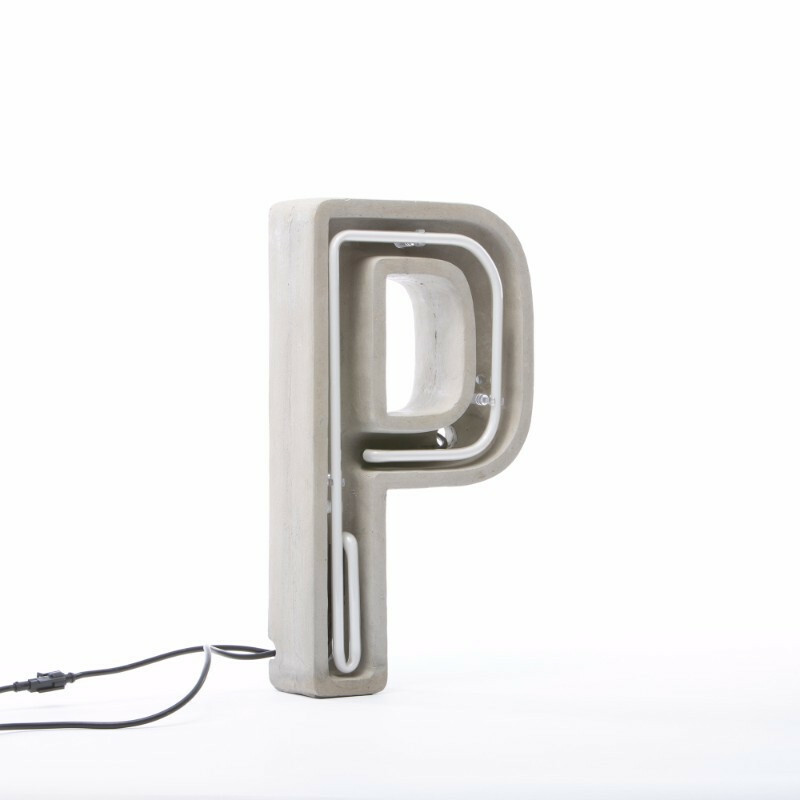 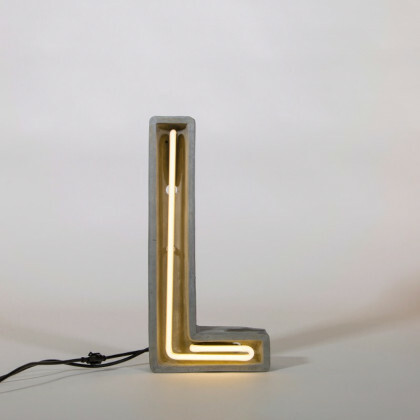 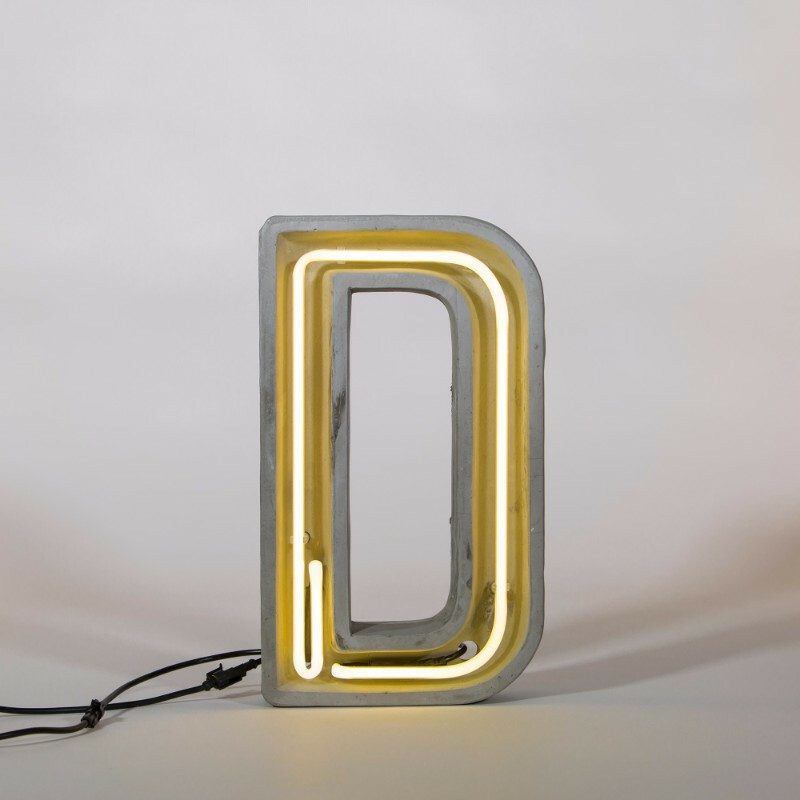 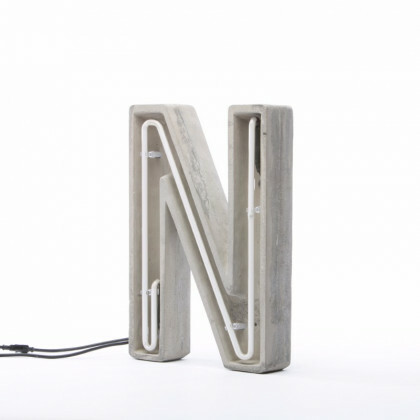 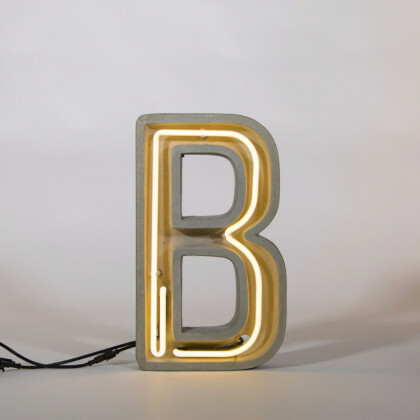 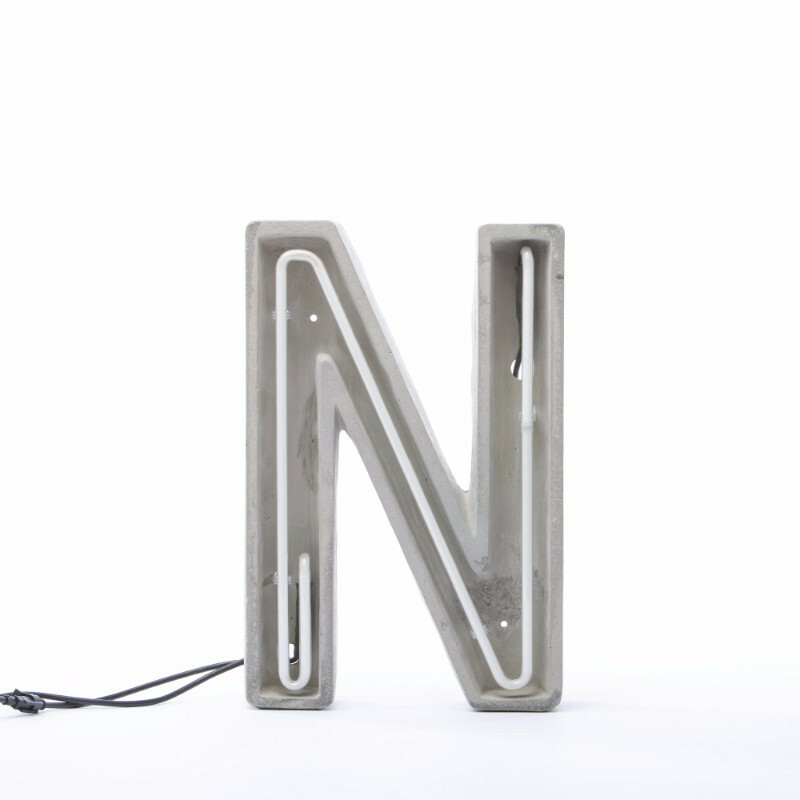 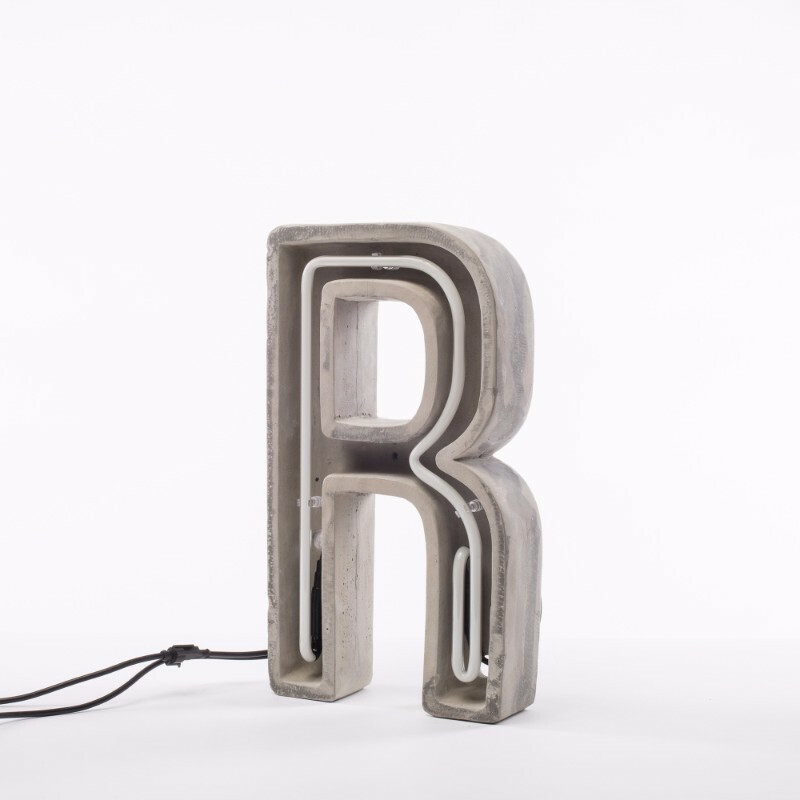 The idea behind the Neon Art series is to purchase various letters in order to spell out different words. 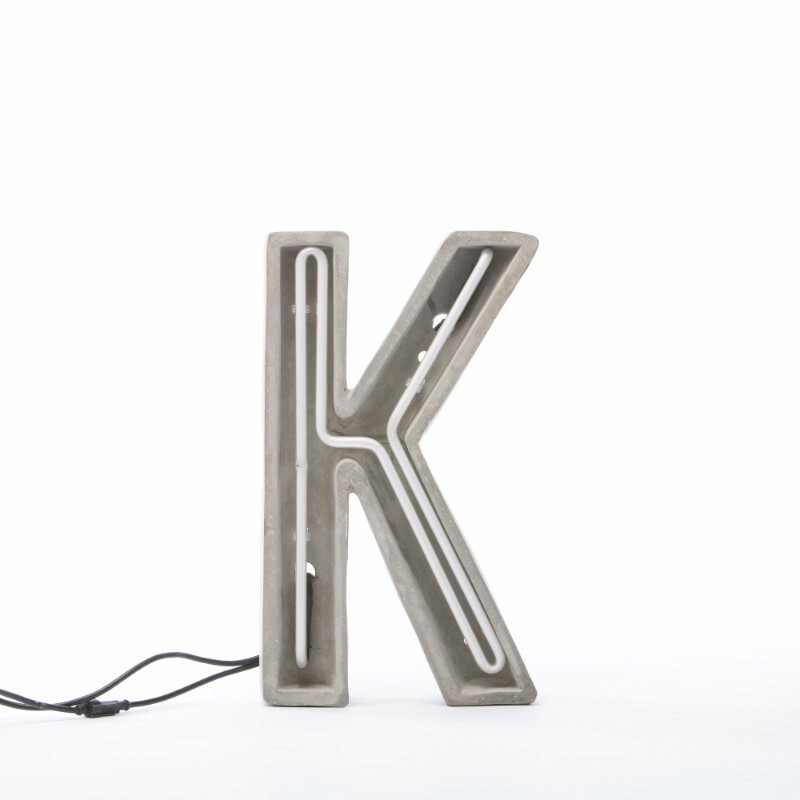 For example, you could pick ‘L’, ‘O’, ‘V’, and ‘E’ to spell out ‘love’ for an anniversary party. 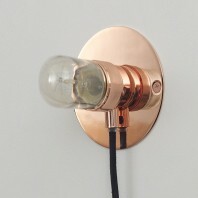 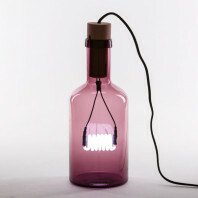 Not only are these lamps, they are perfect for decoration as well. 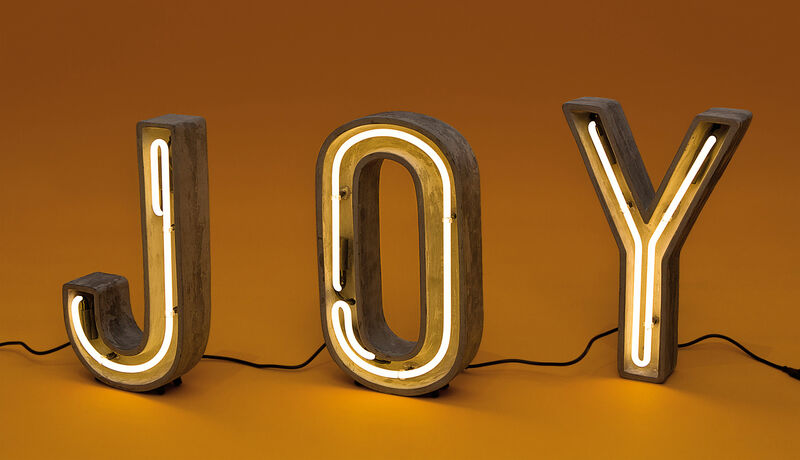 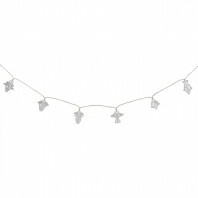 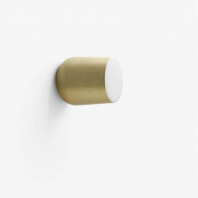 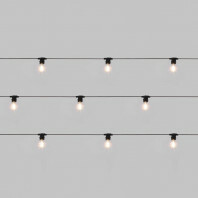 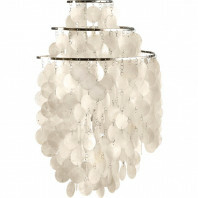 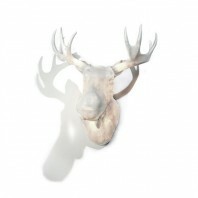 You can choose to have them as a permanent feature in your home, or simply bring them out for specific celebrations. Either way, they are bound to create an impact and allow a sufficient form of customization for you to decide on words that best suit your environment. 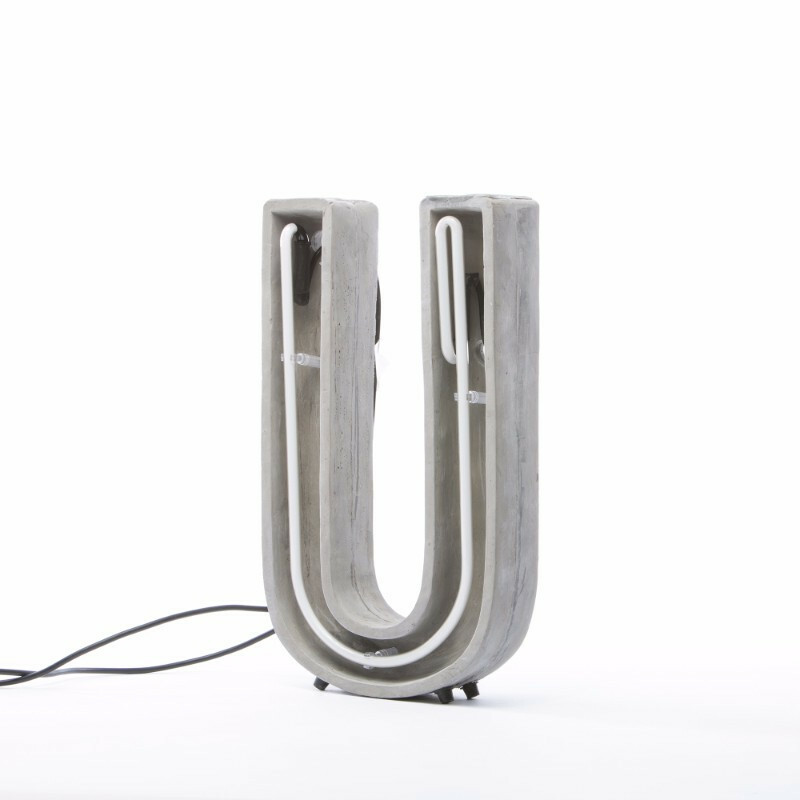 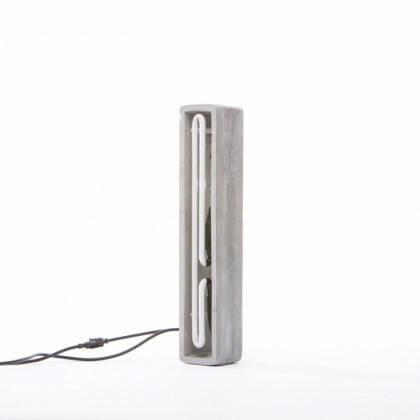 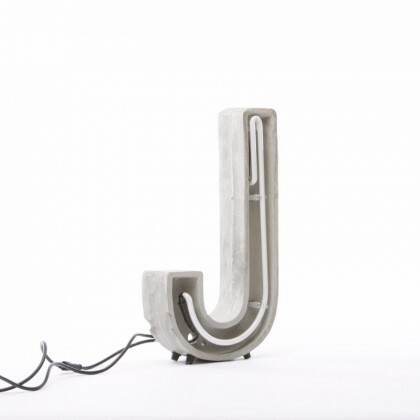 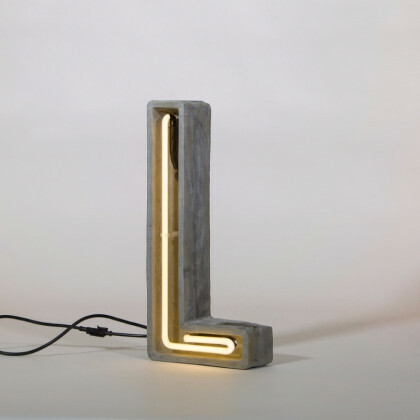 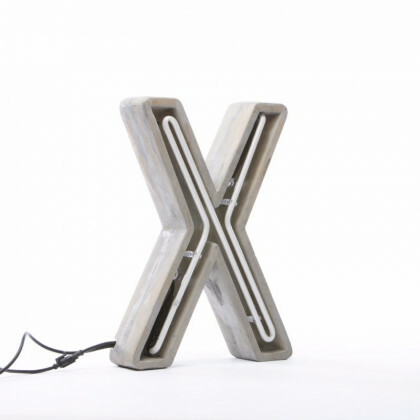 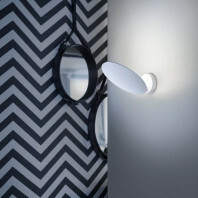 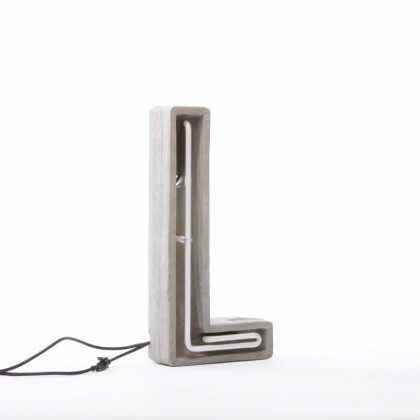 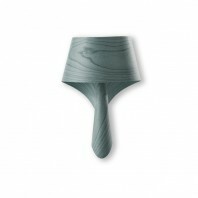 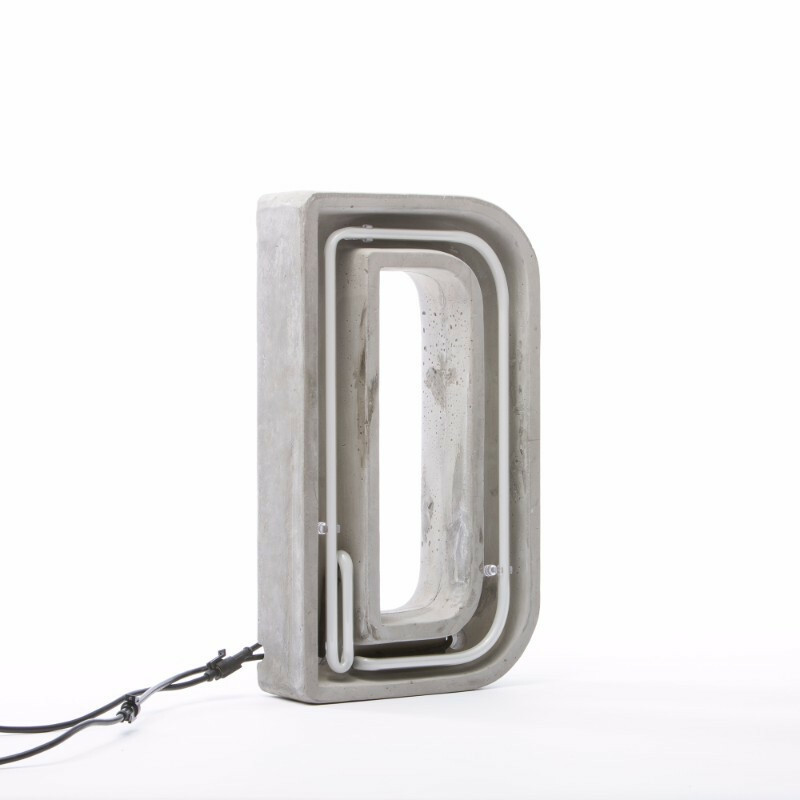 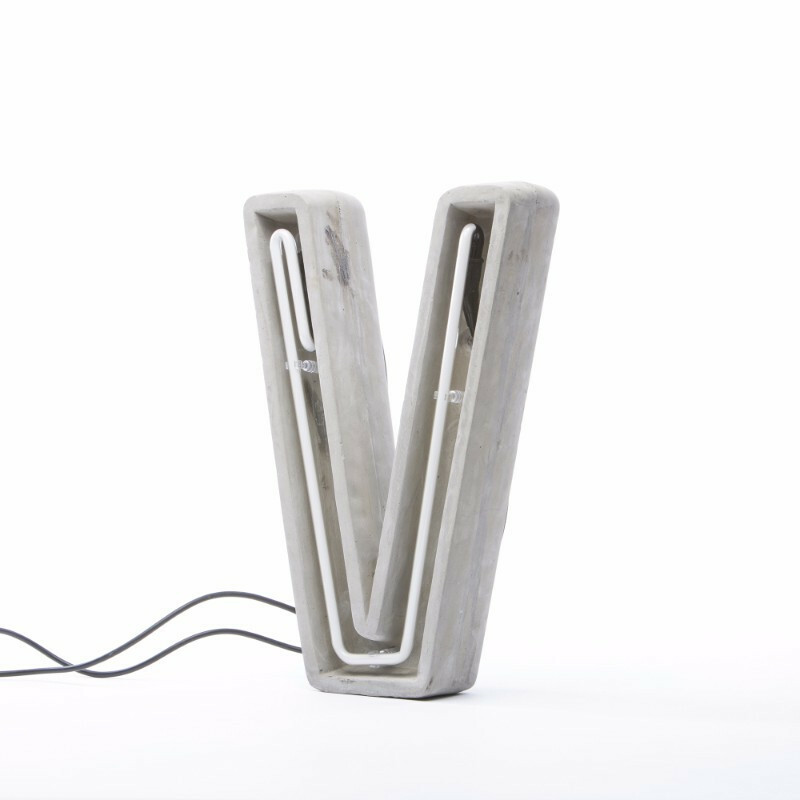 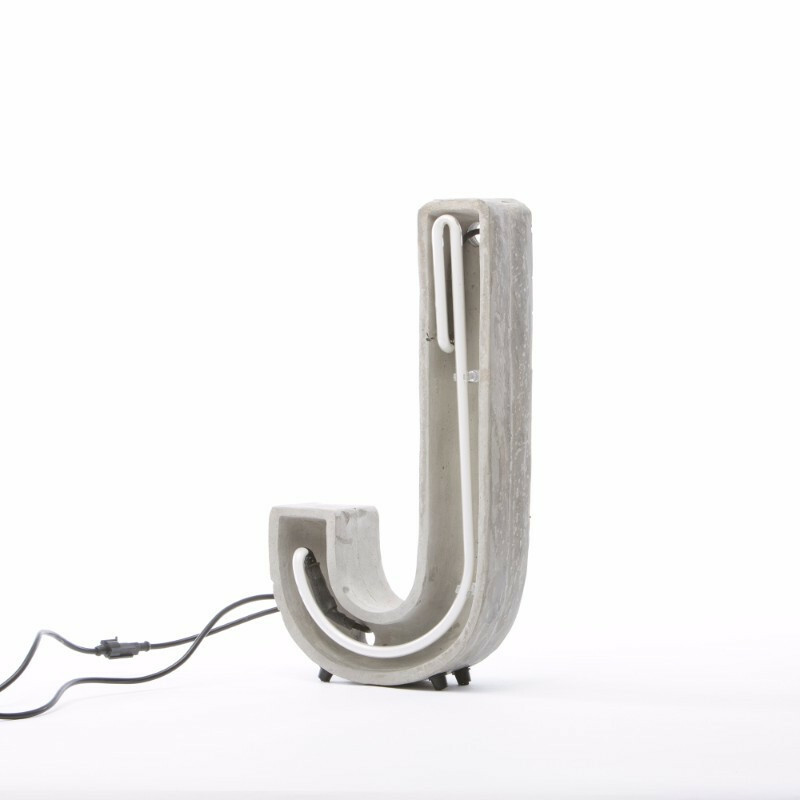 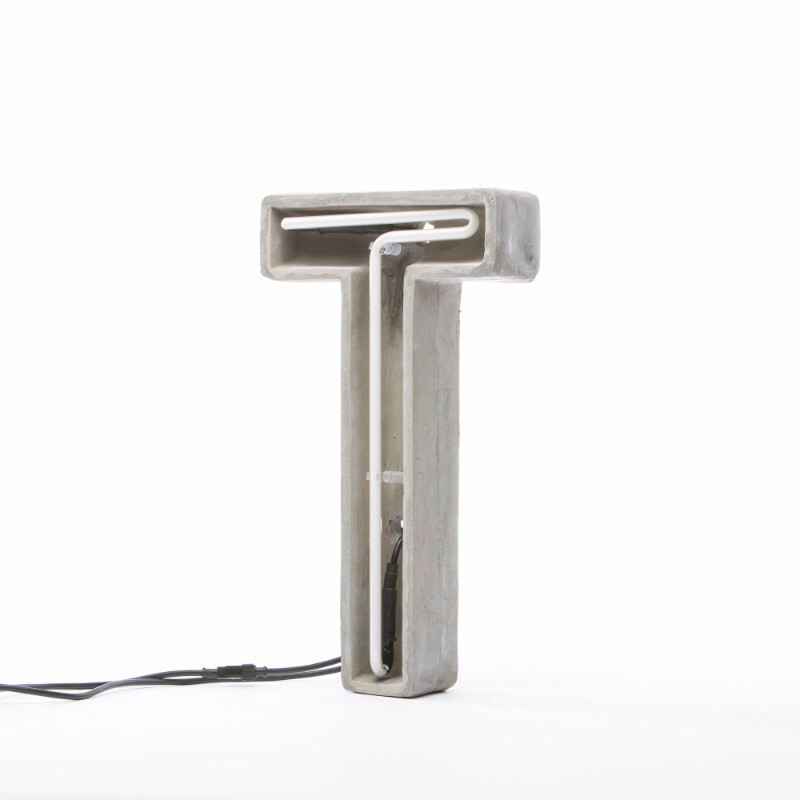 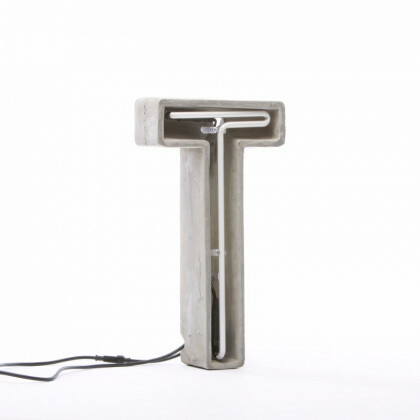 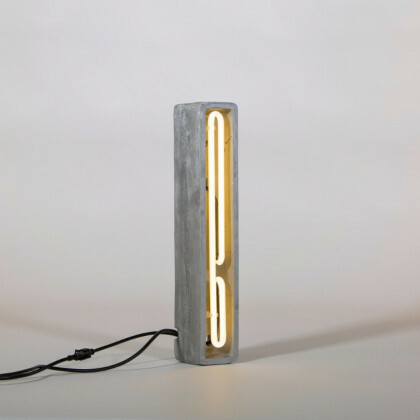 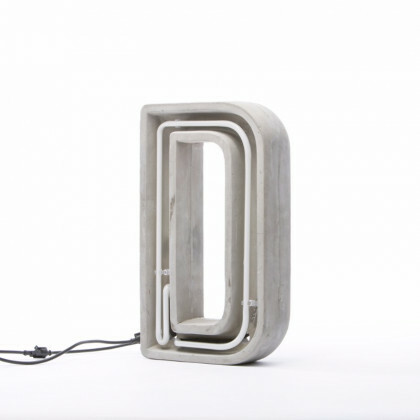 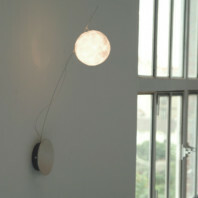 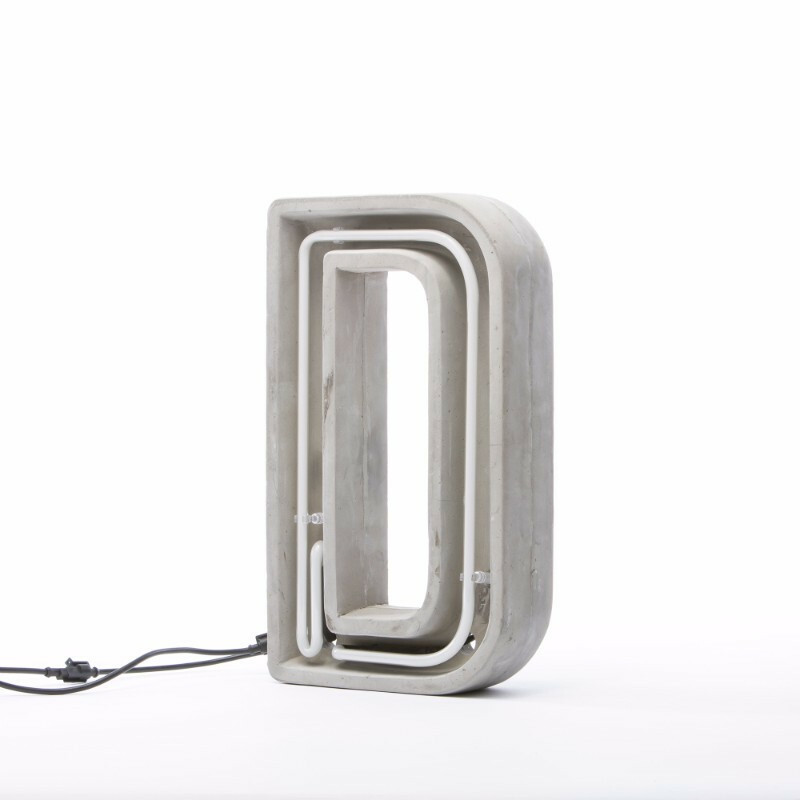 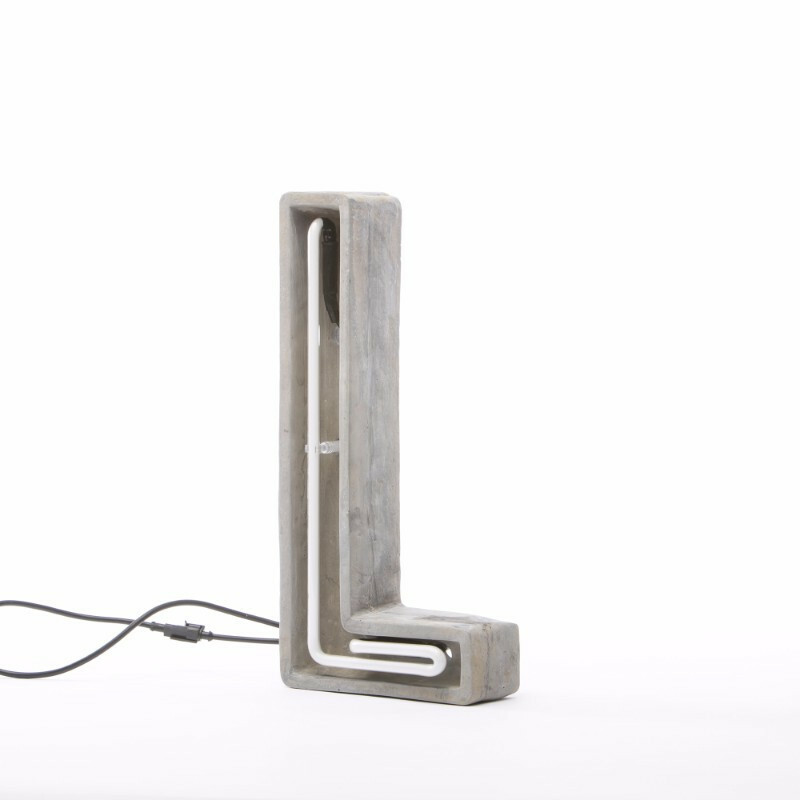 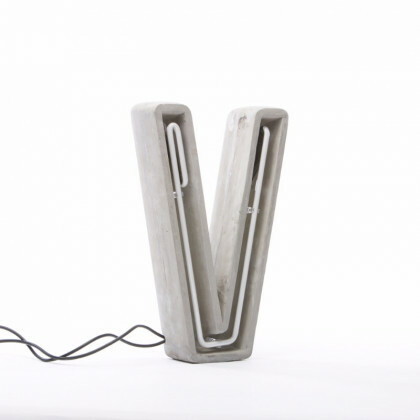 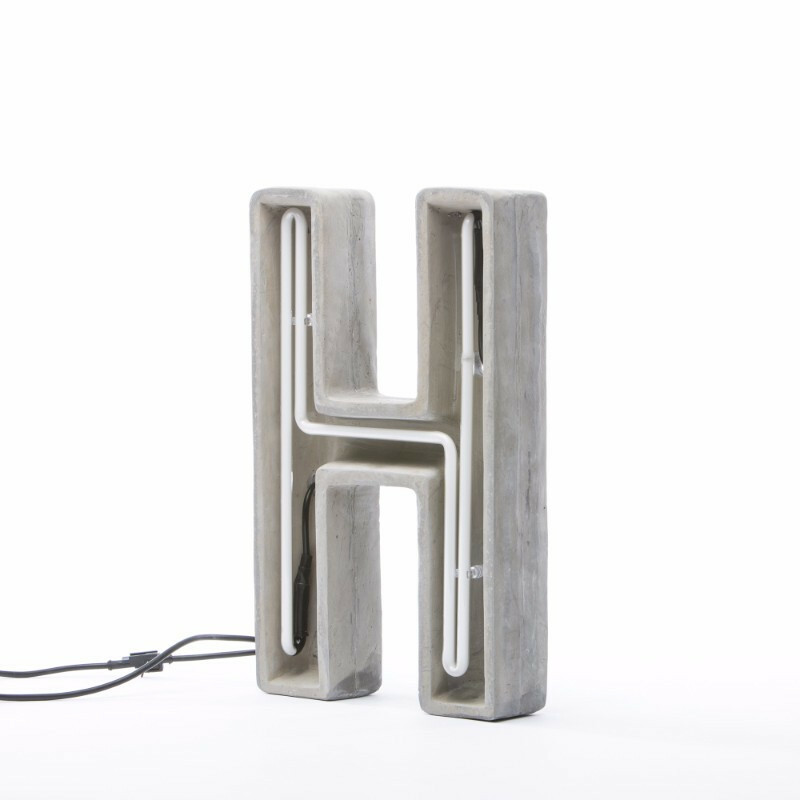 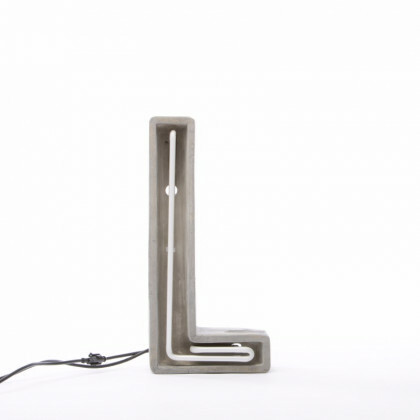 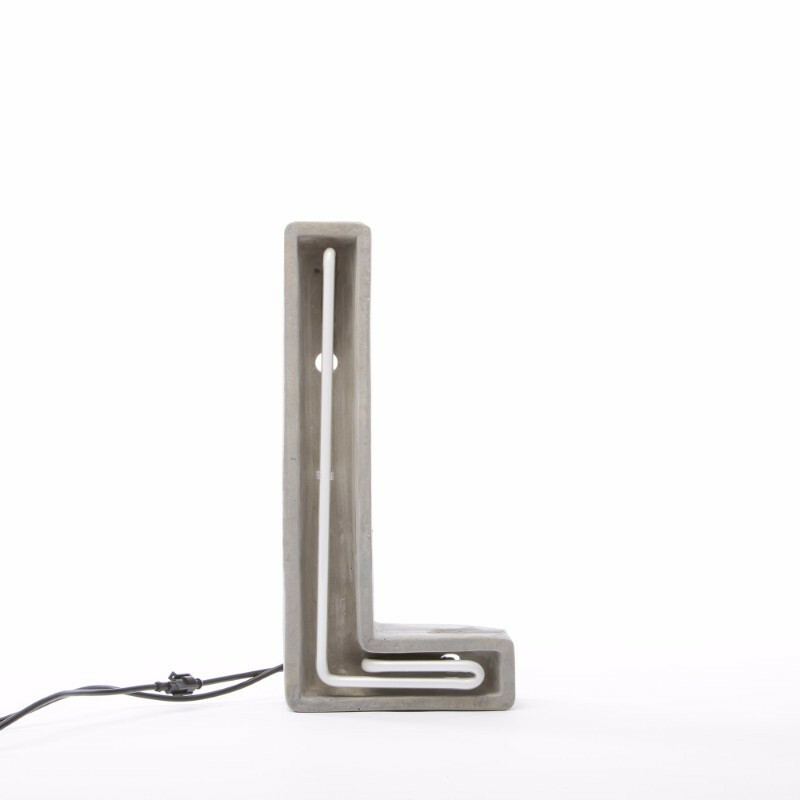 The ALPHACRETE lamp series is made out of glass and concrete and can be placed in interior or exterior spaces. 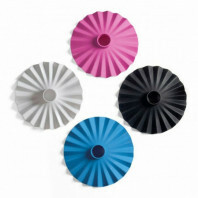 They can also be either hung or placed standing on the ground or a table. 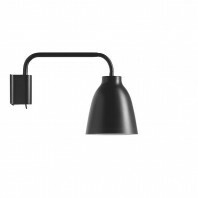 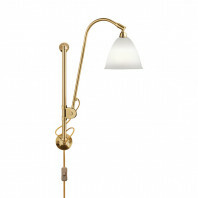 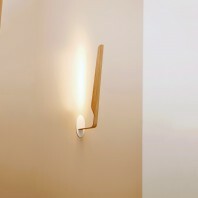 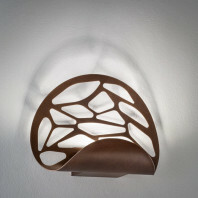 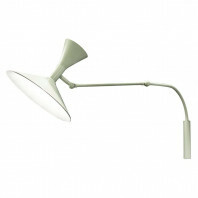 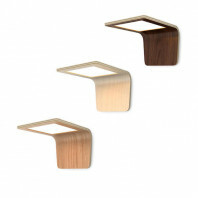 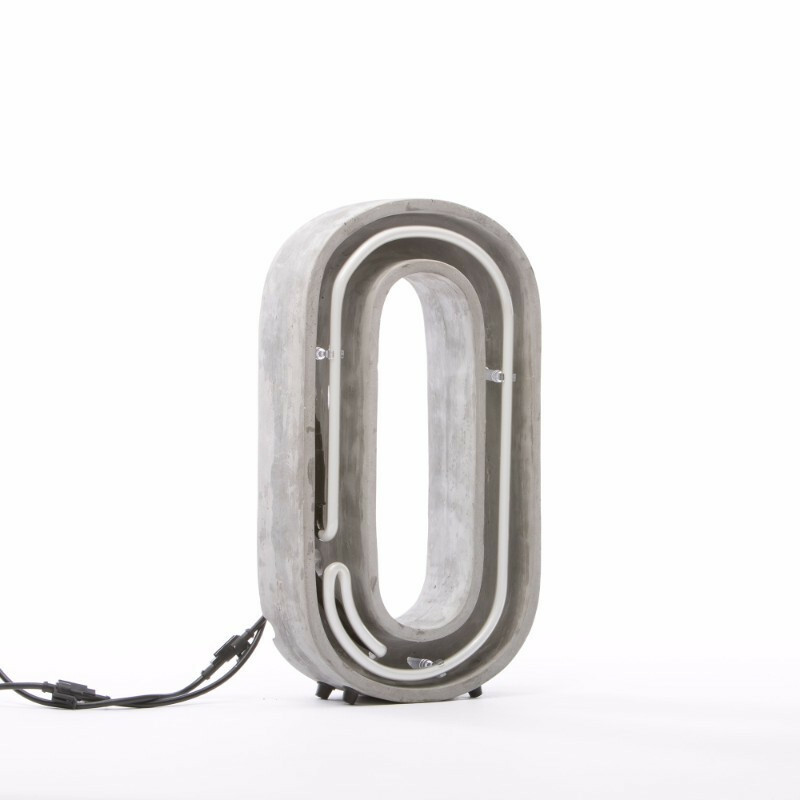 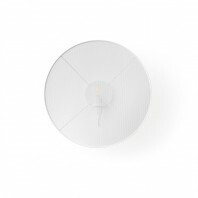 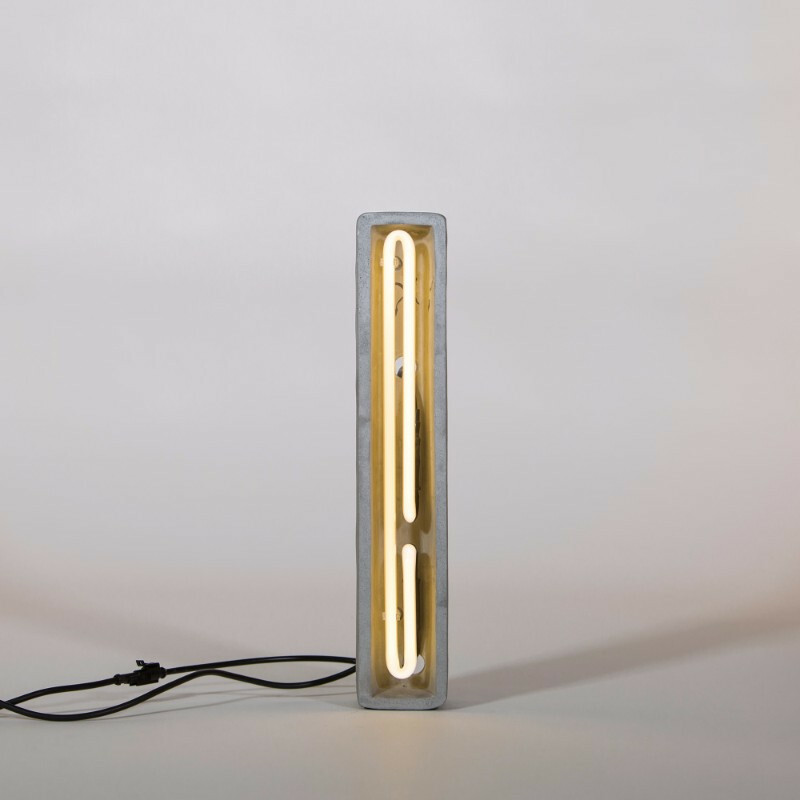 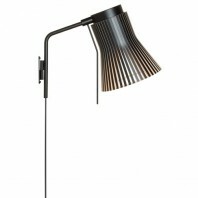 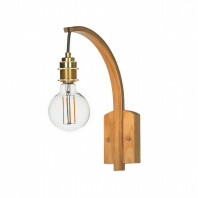 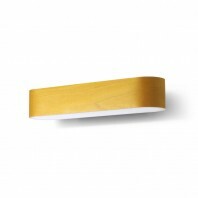 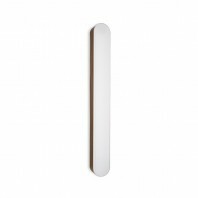 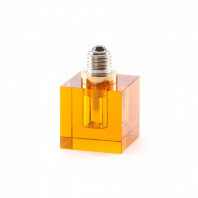 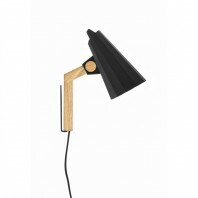 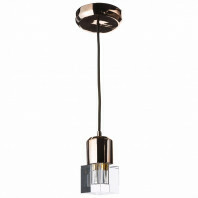 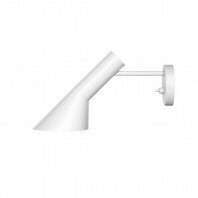 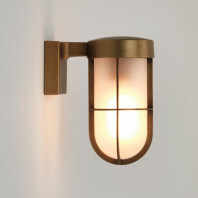 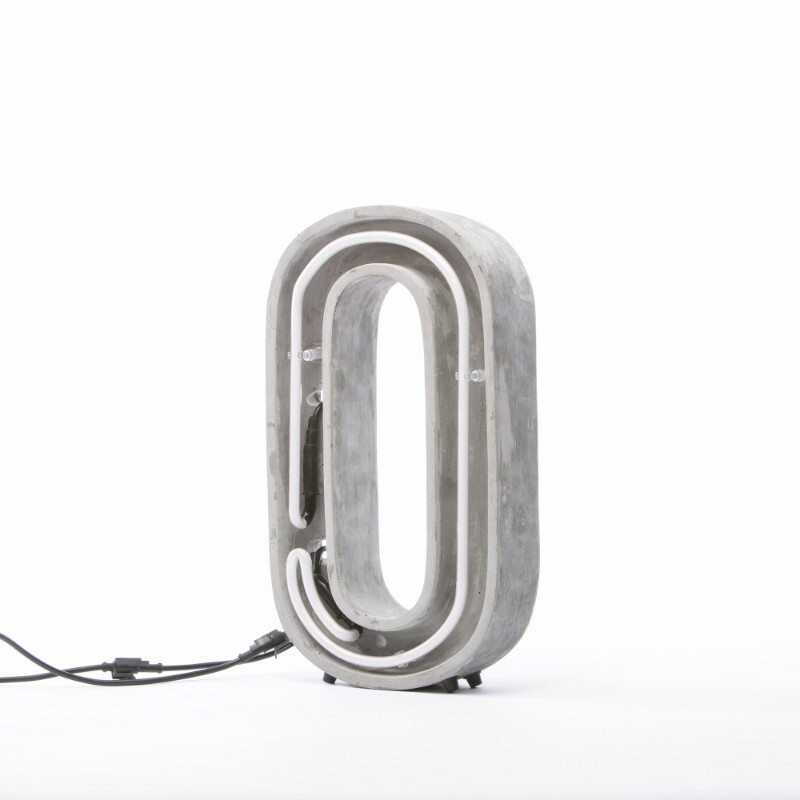 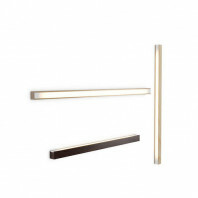 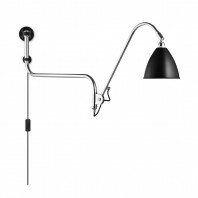 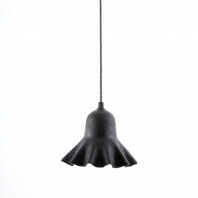 The dimensions of the ALPHACRETE lamp series is as follows: width approximately 15.7 cm and height approximately 40 cm. 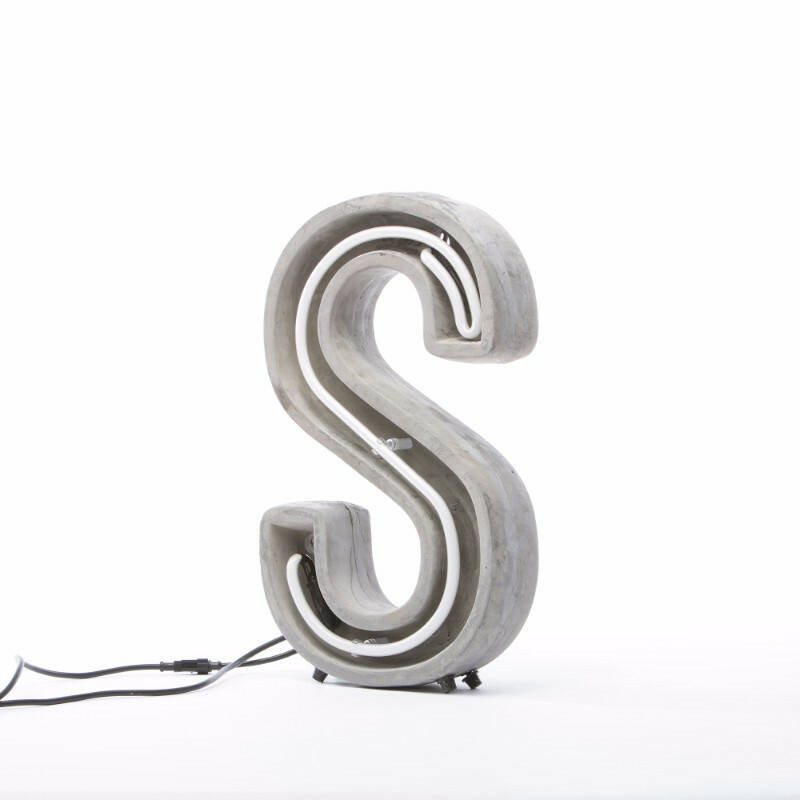 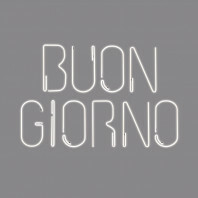 Naturally, the dimensions of each letter vary according to its particular shape. 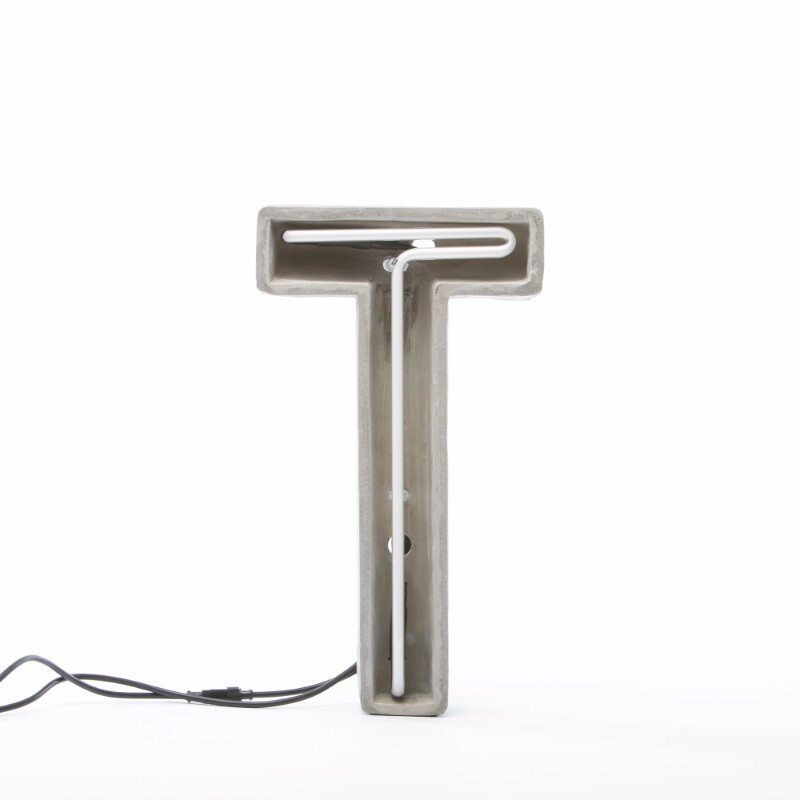 The required transformers are sold separately and the number can vary according to the type of letters used to compose the sign.